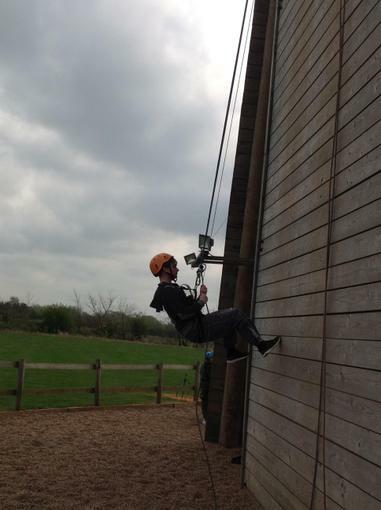 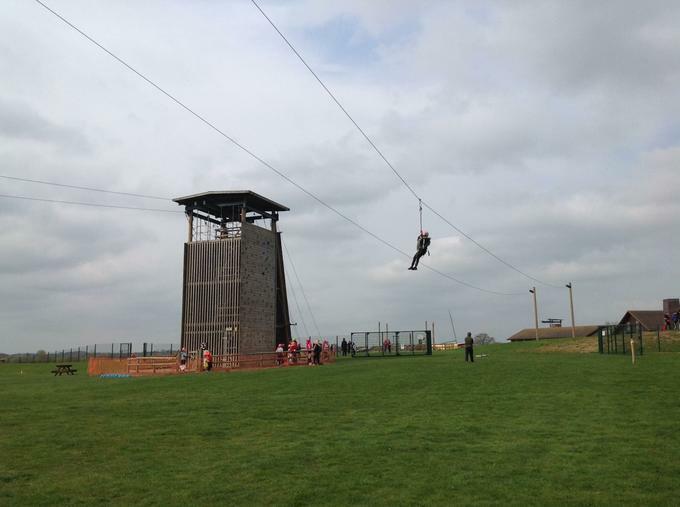 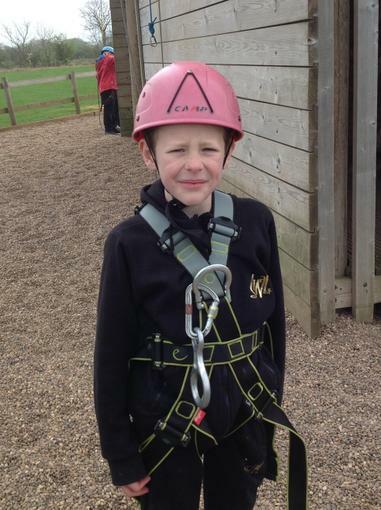 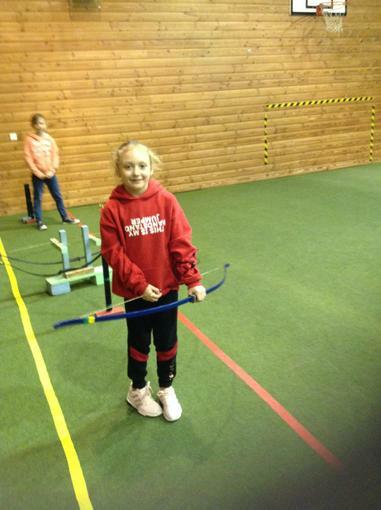 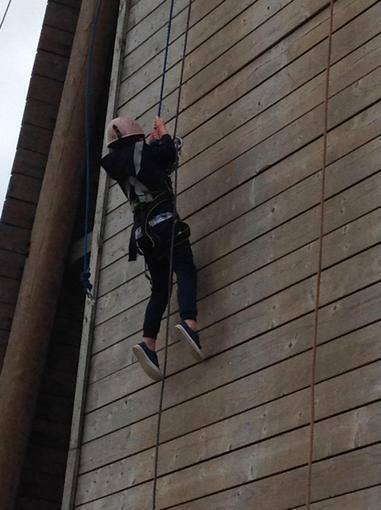 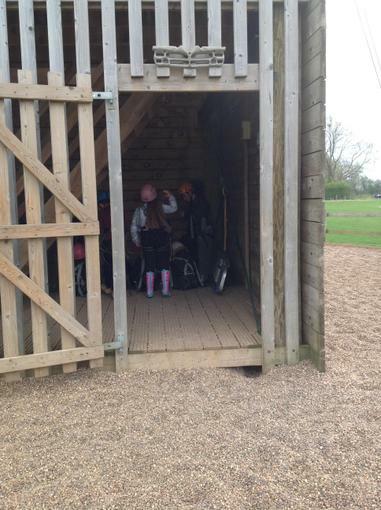 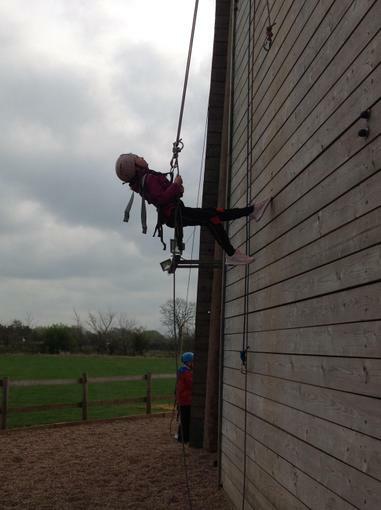 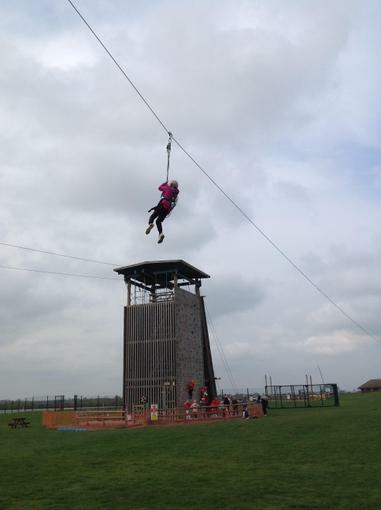 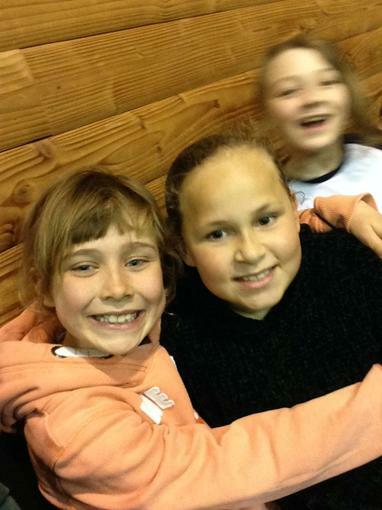 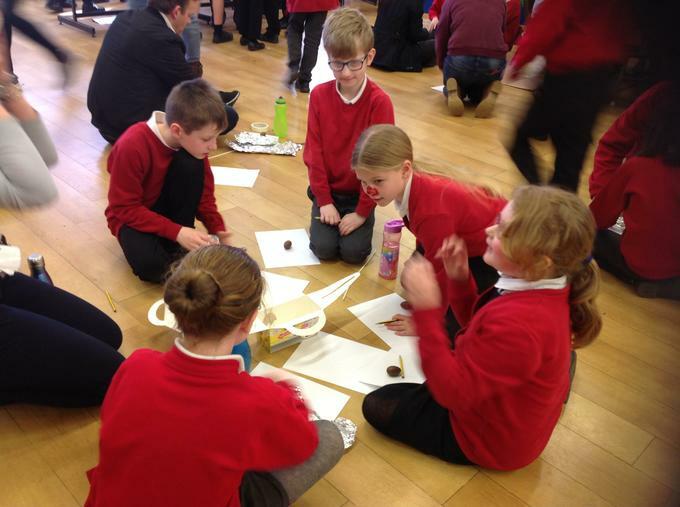 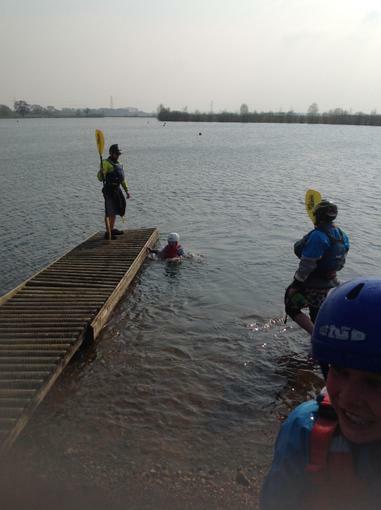 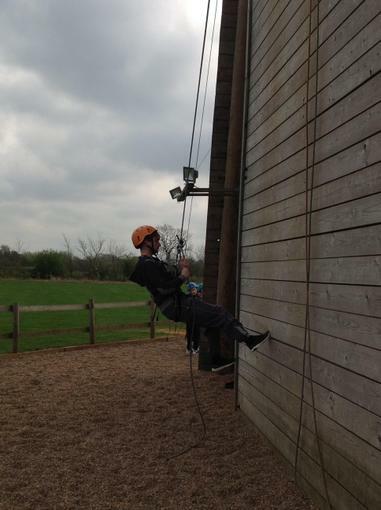 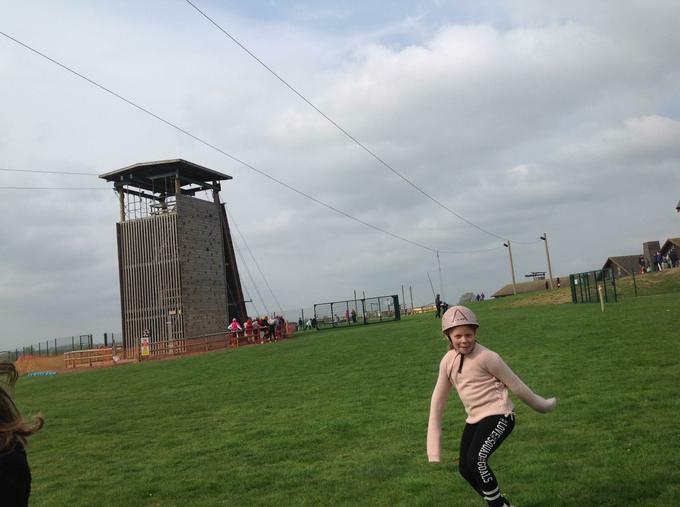 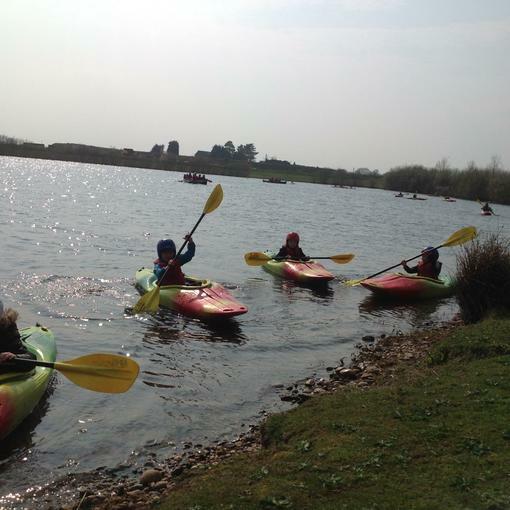 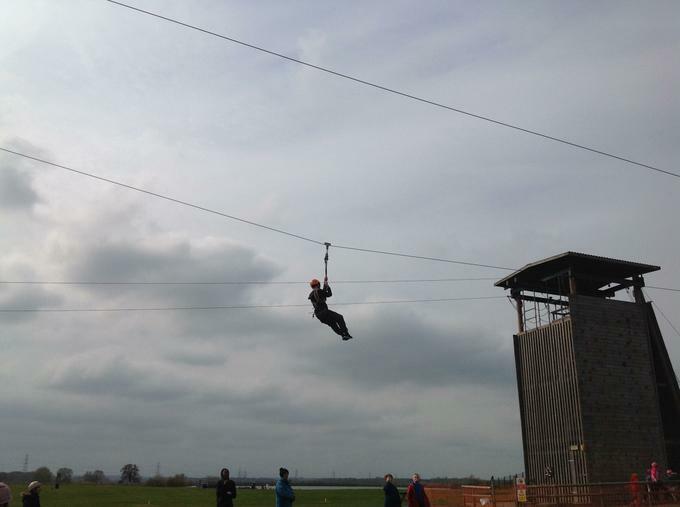 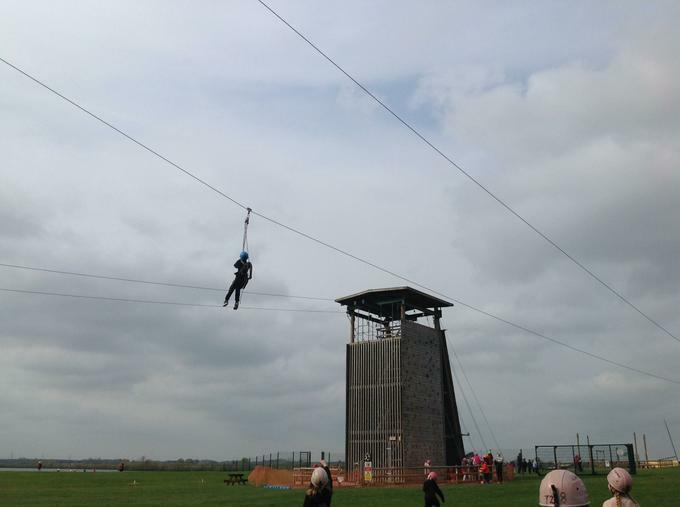 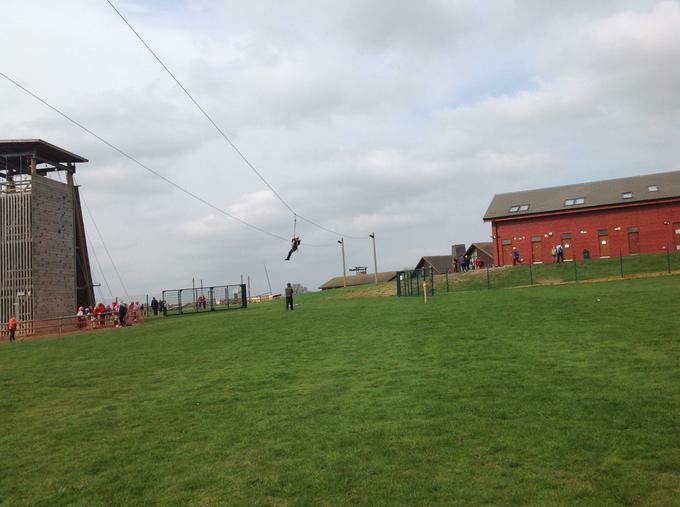 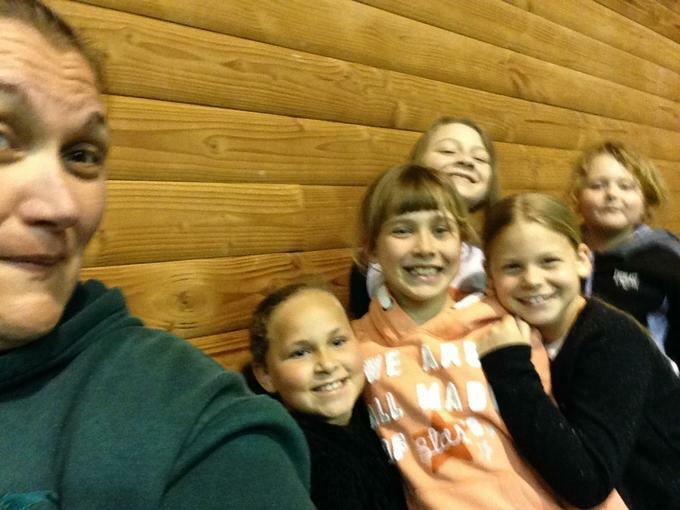 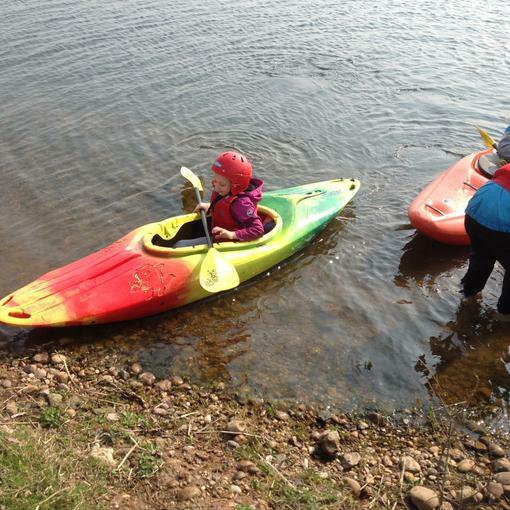 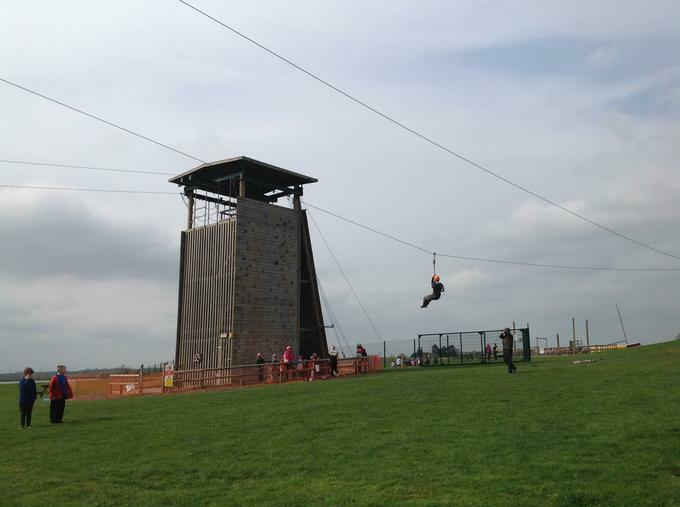 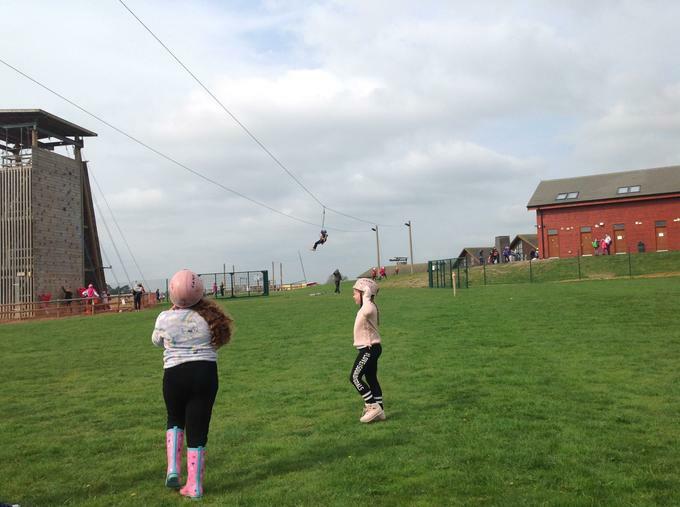 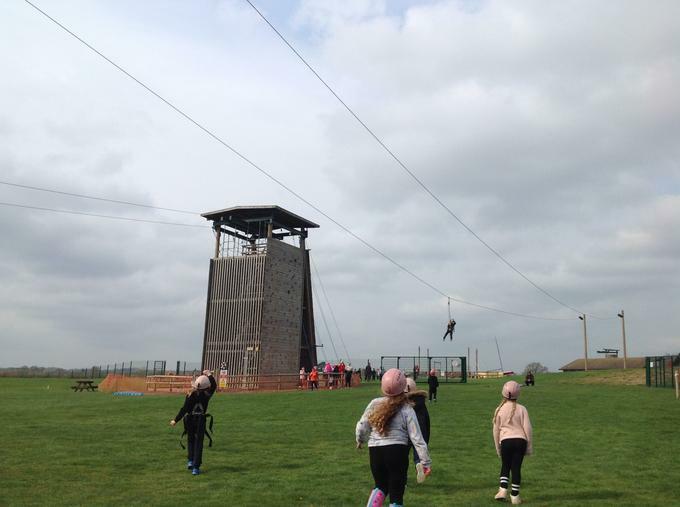 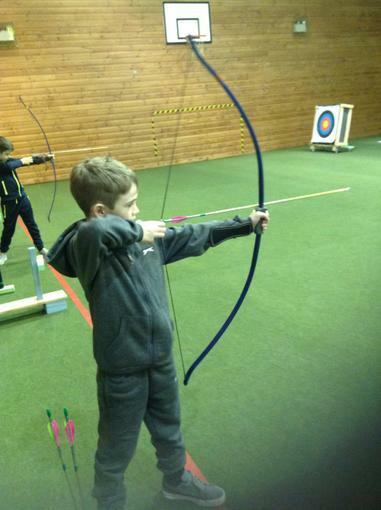 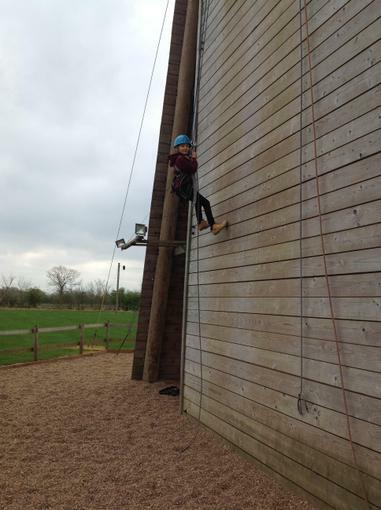 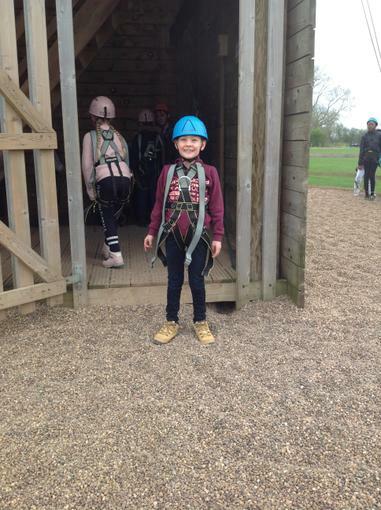 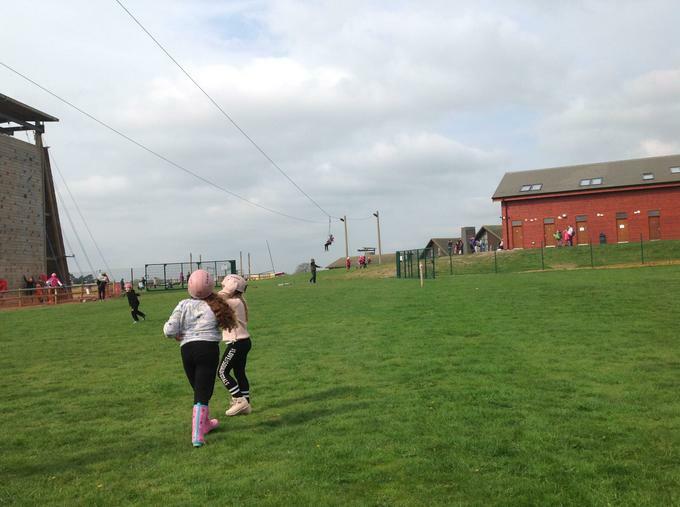 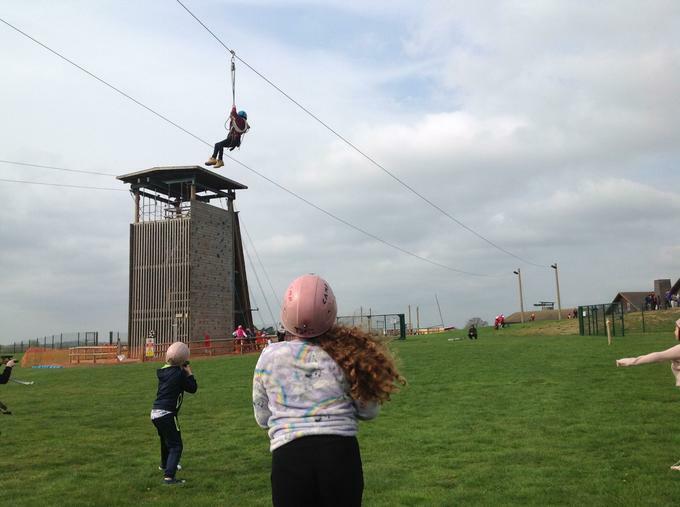 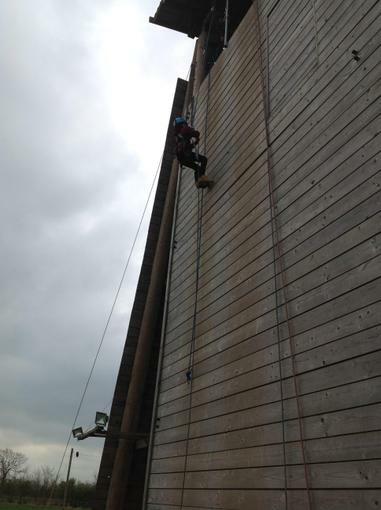 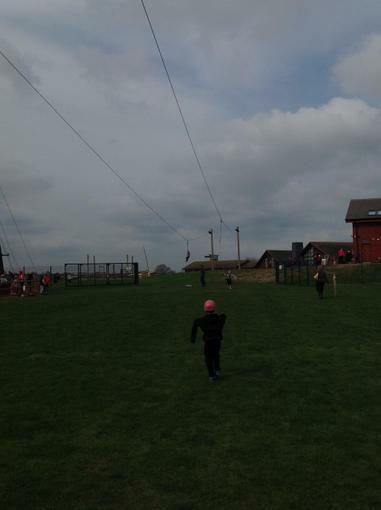 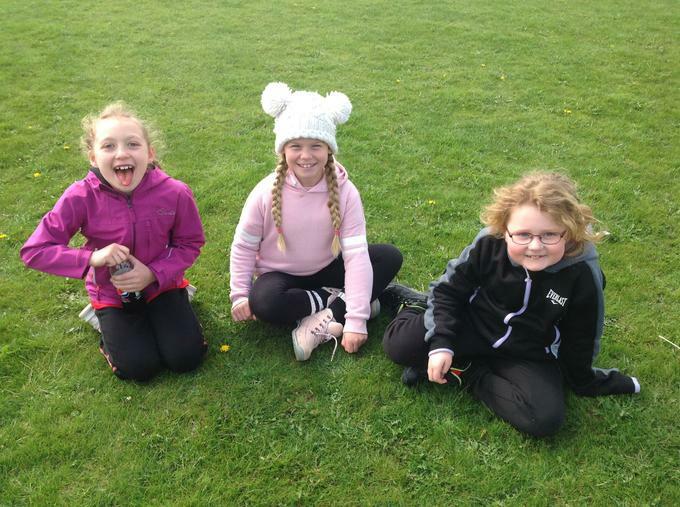 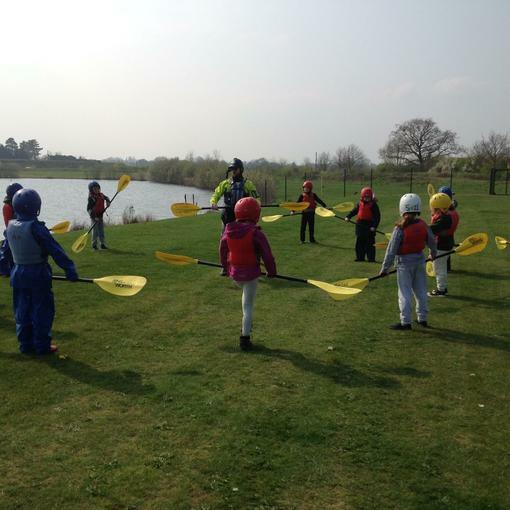 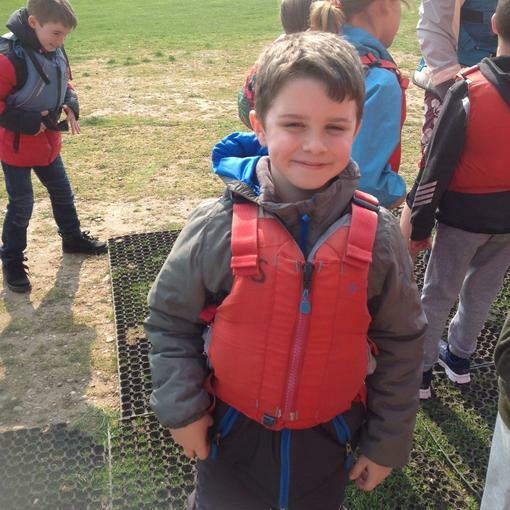 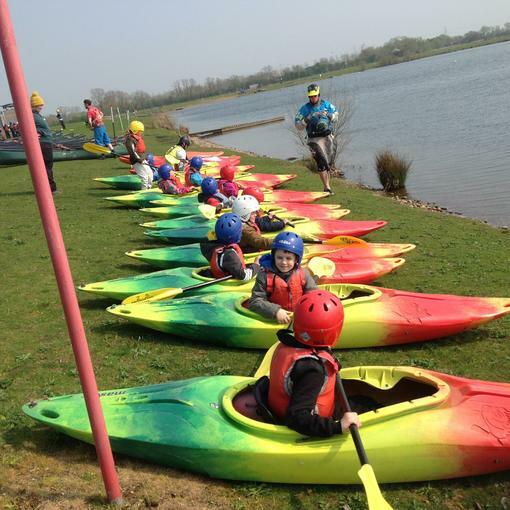 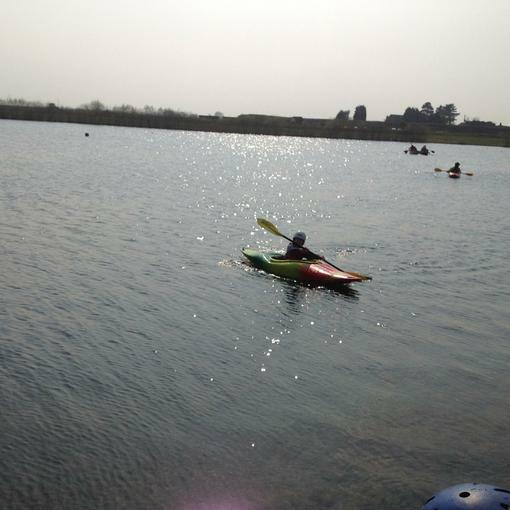 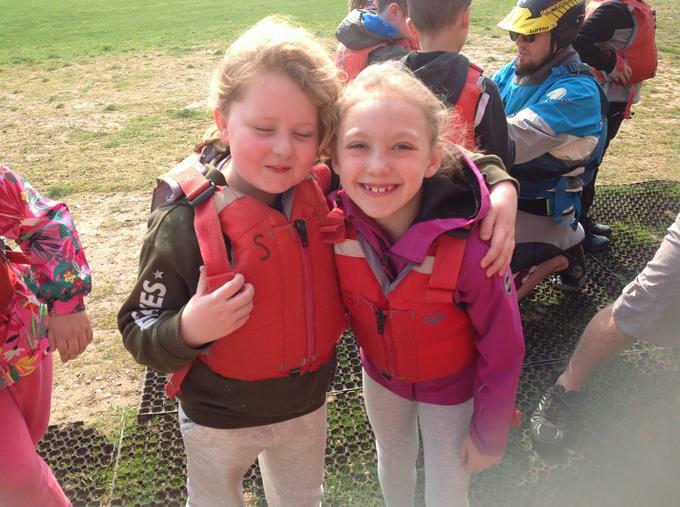 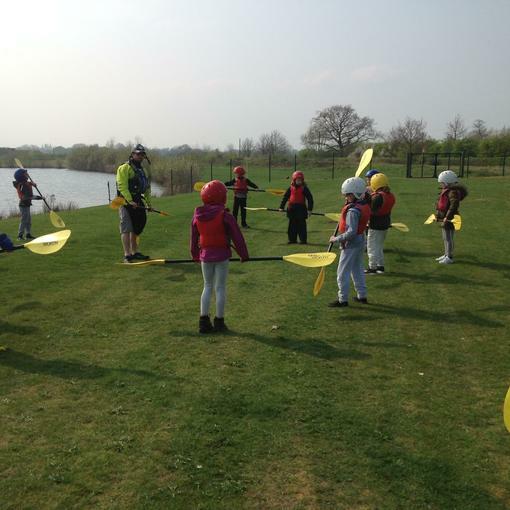 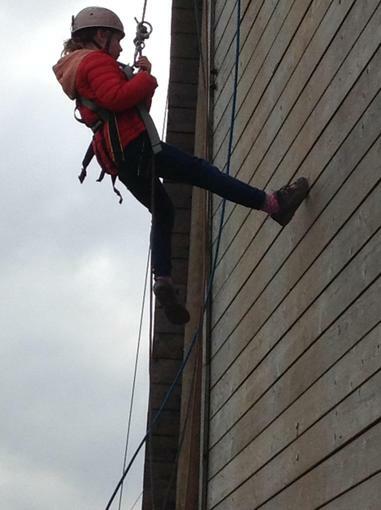 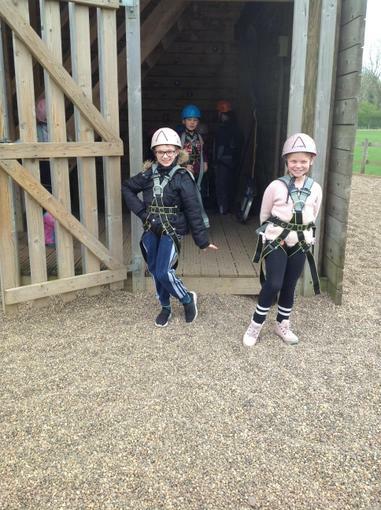 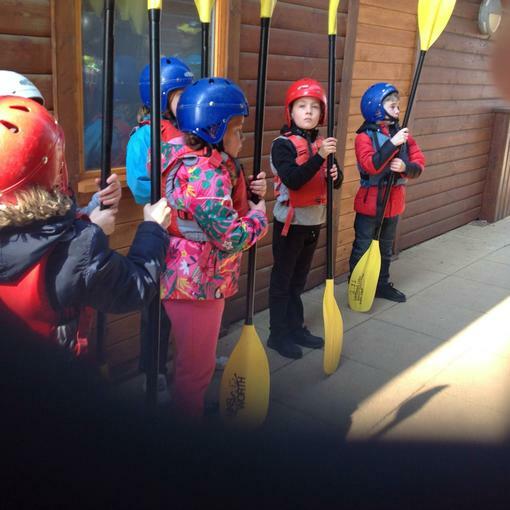 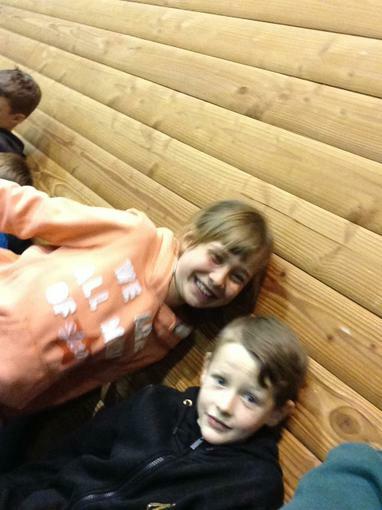 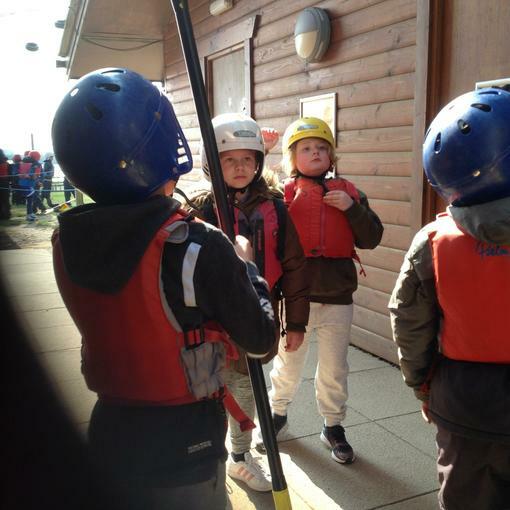 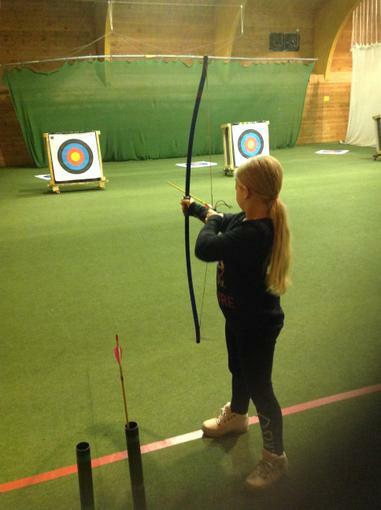 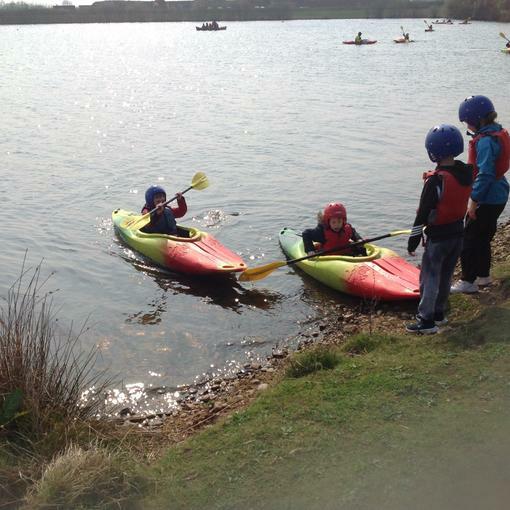 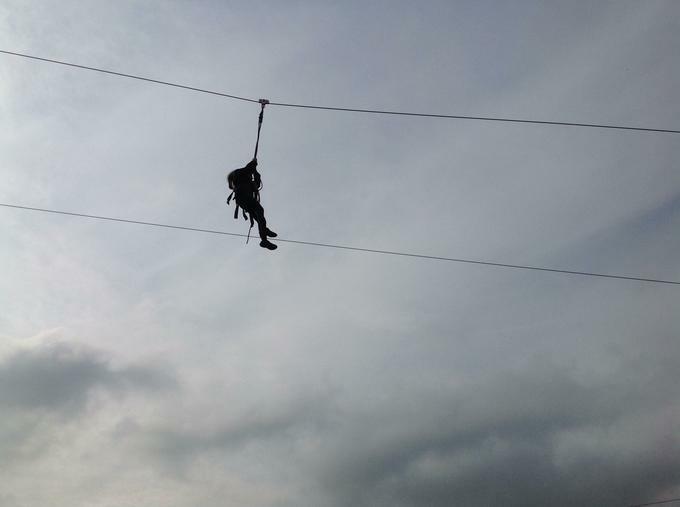 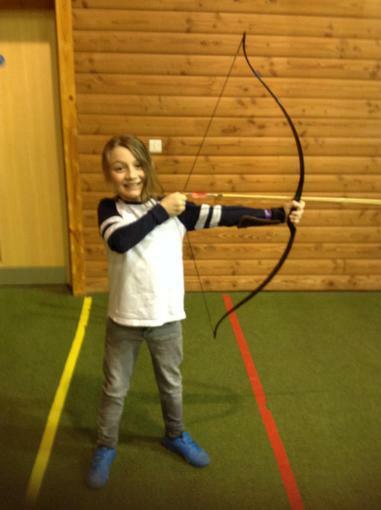 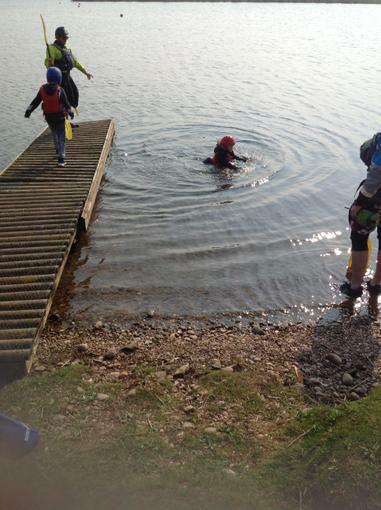 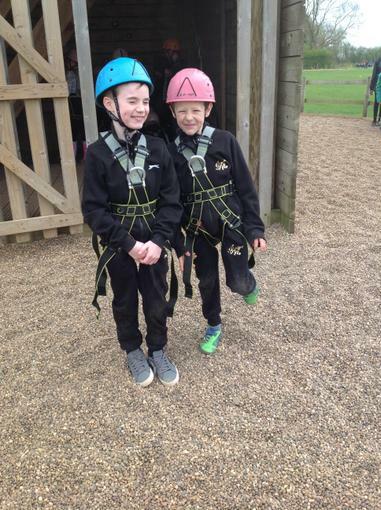 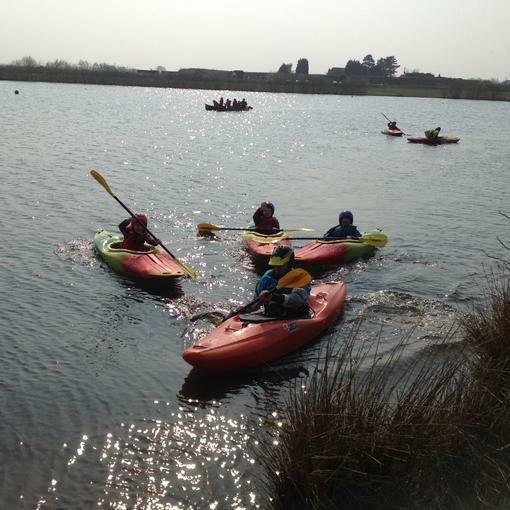 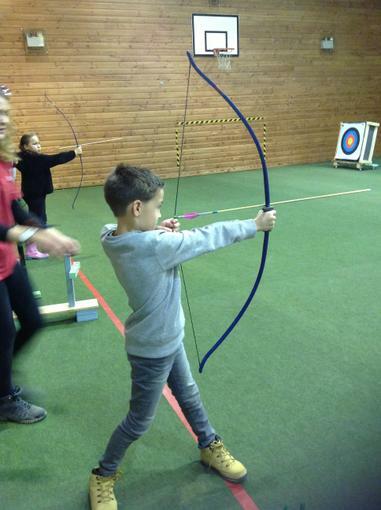 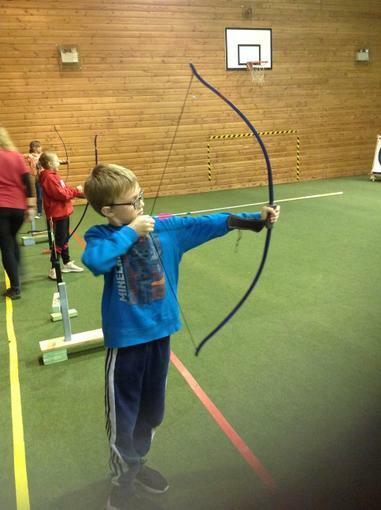 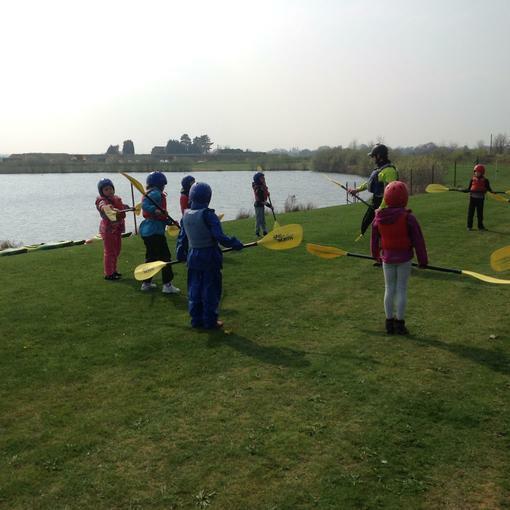 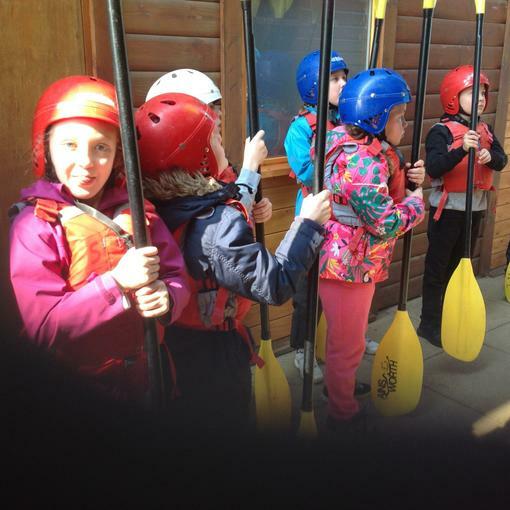 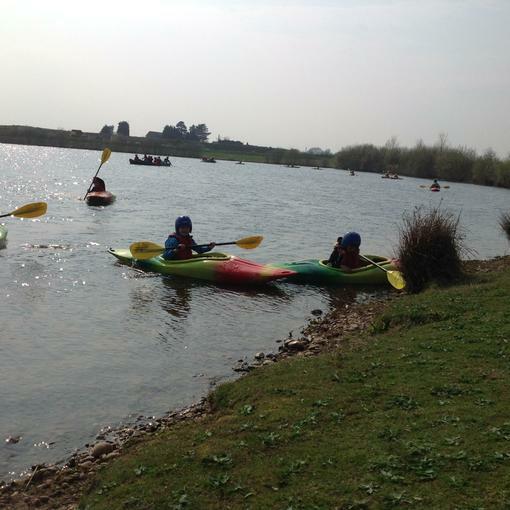 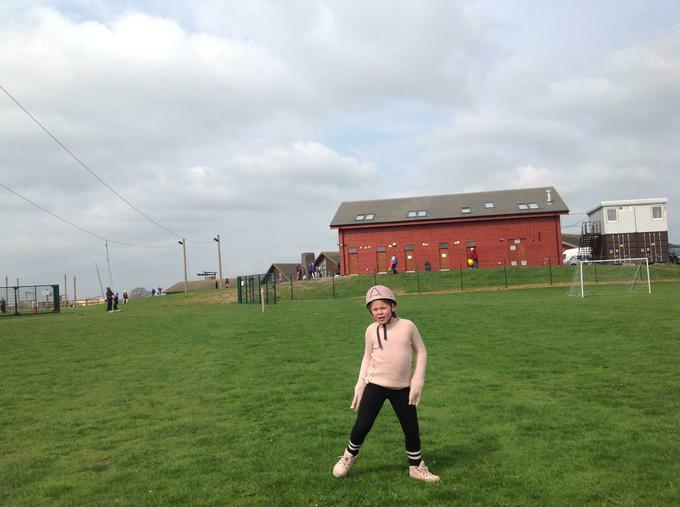 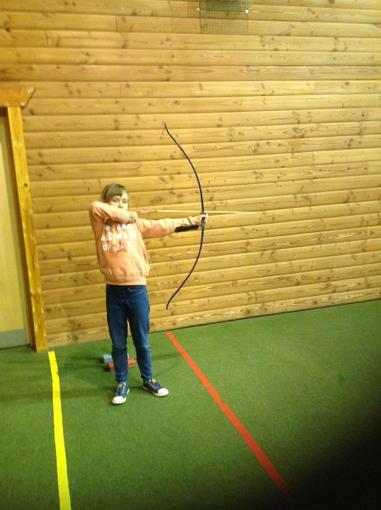 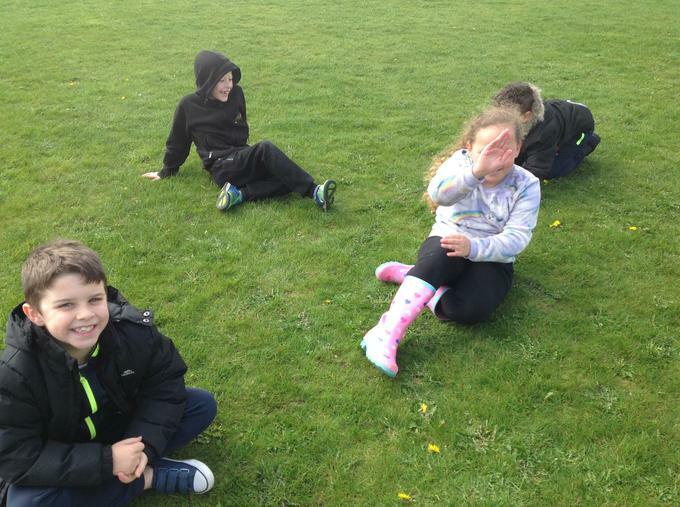 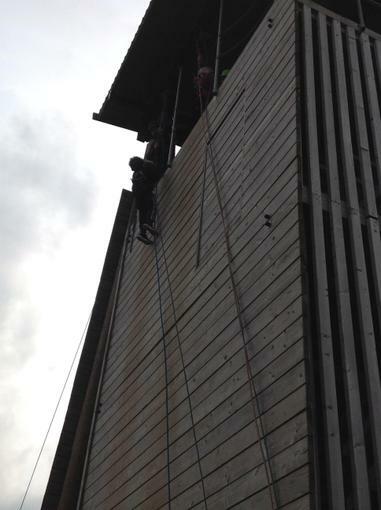 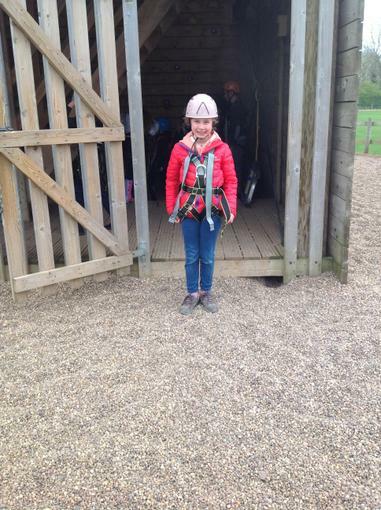 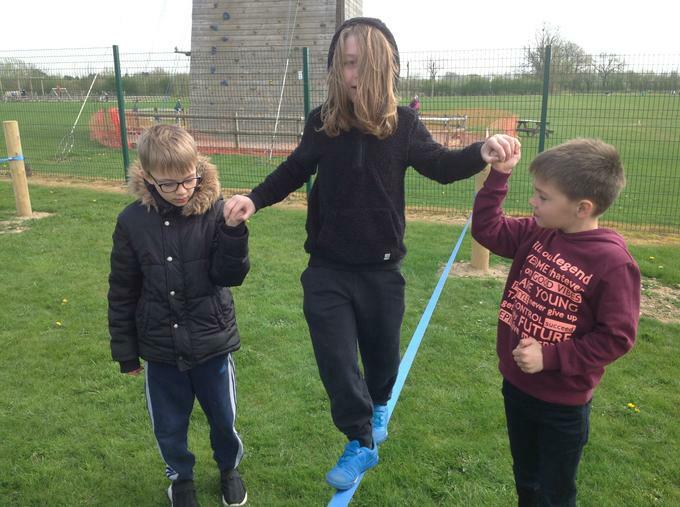 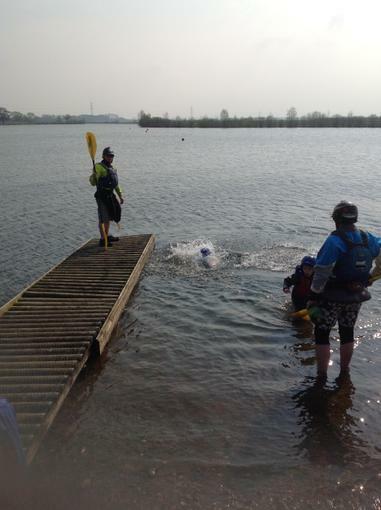 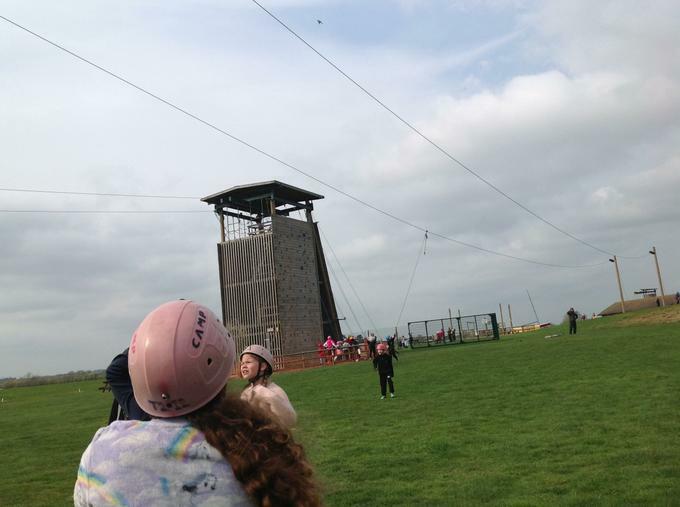 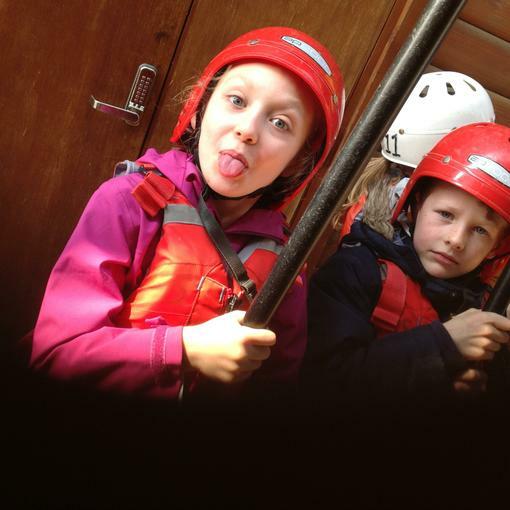 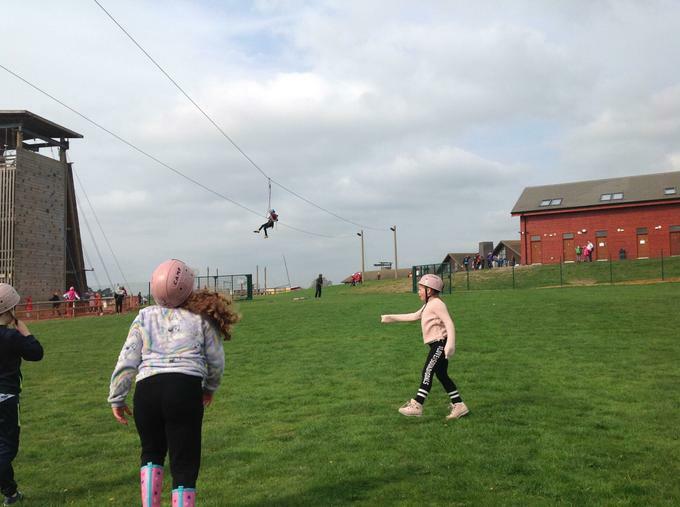 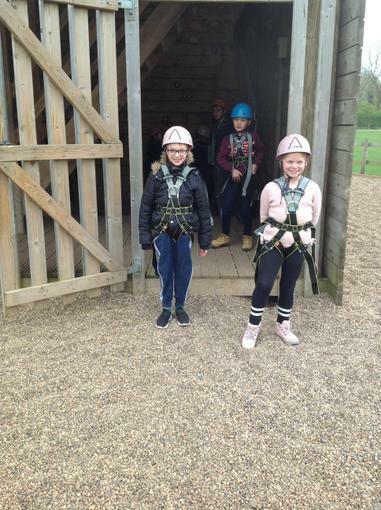 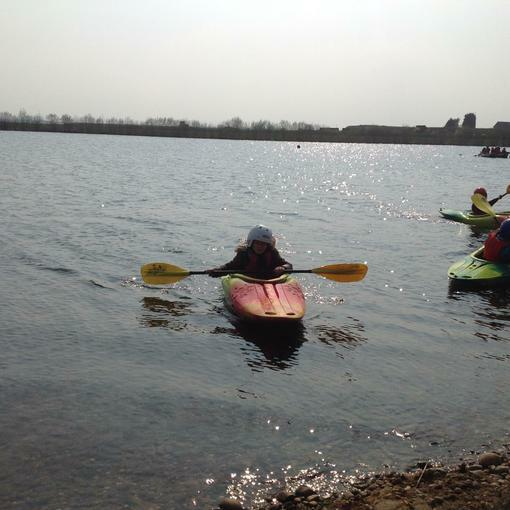 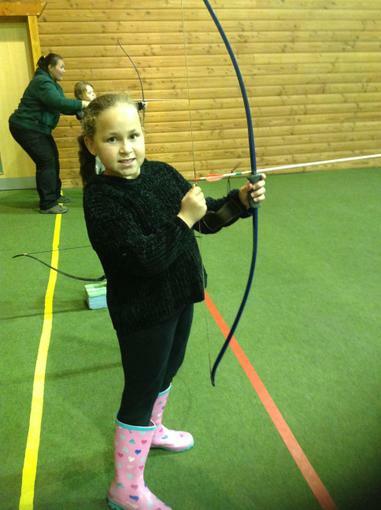 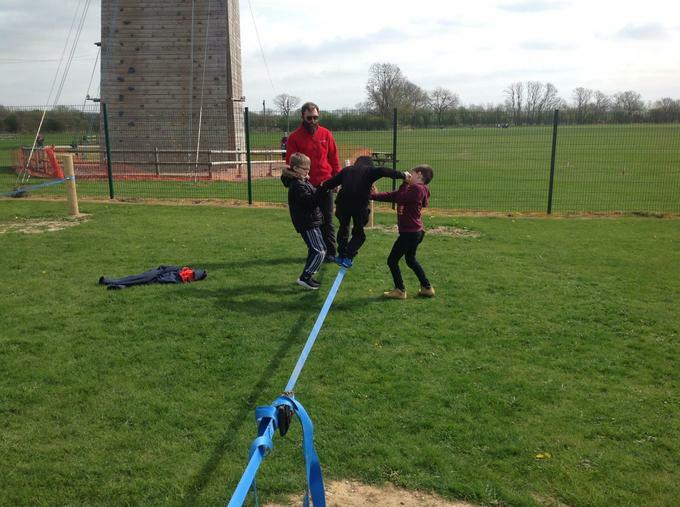 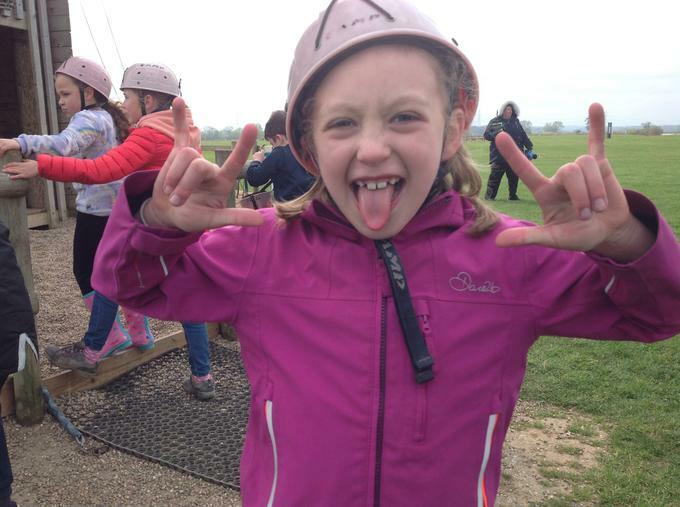 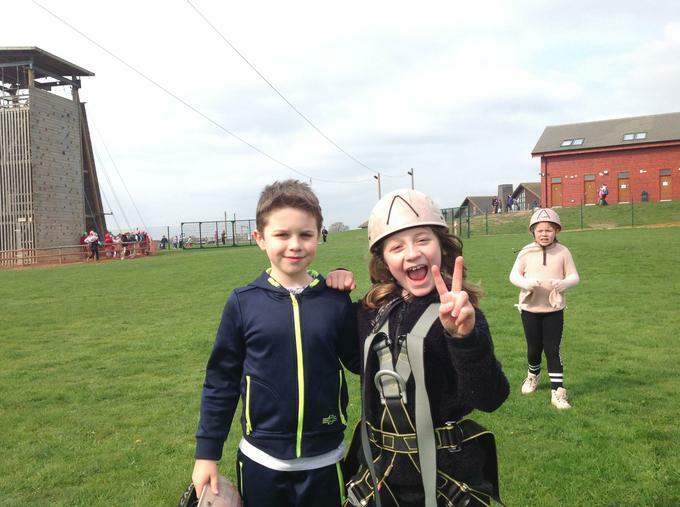 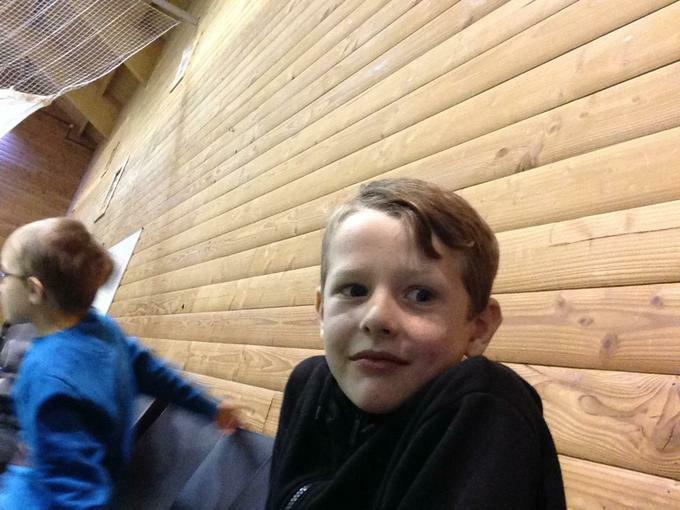 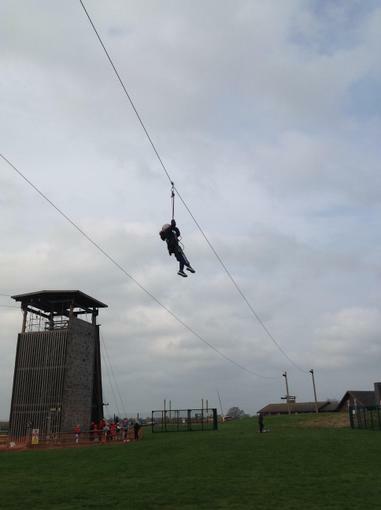 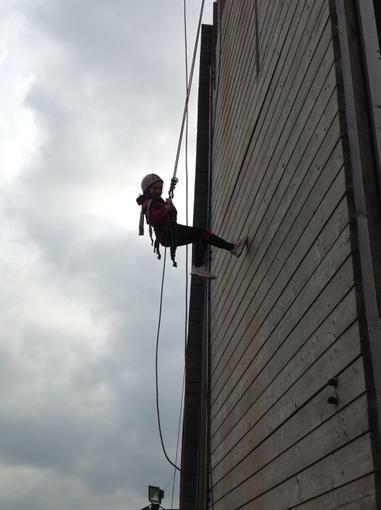 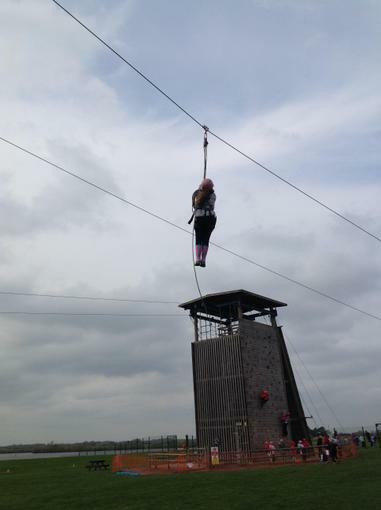 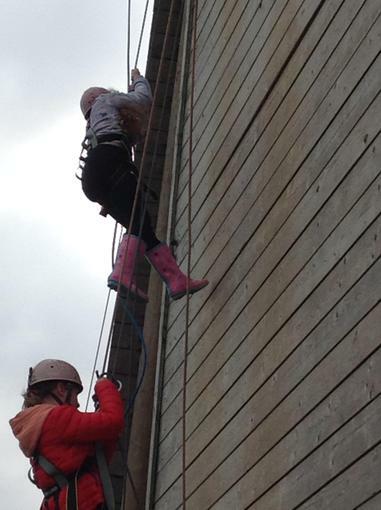 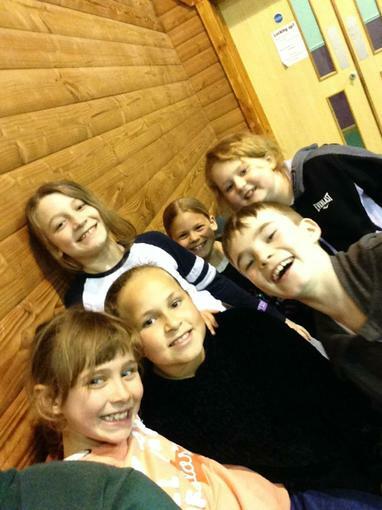 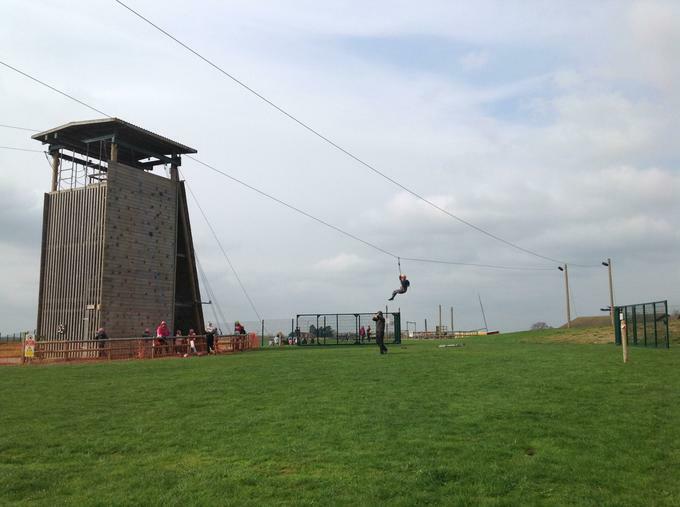 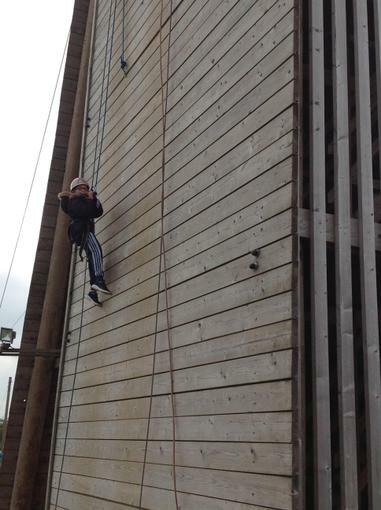 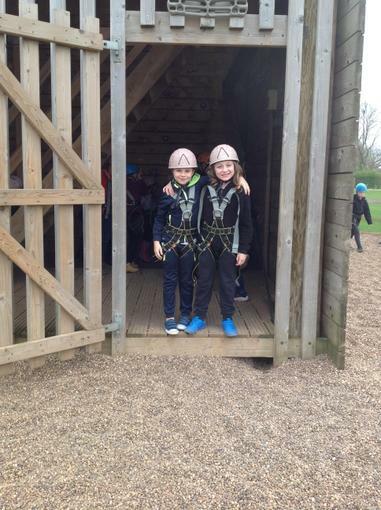 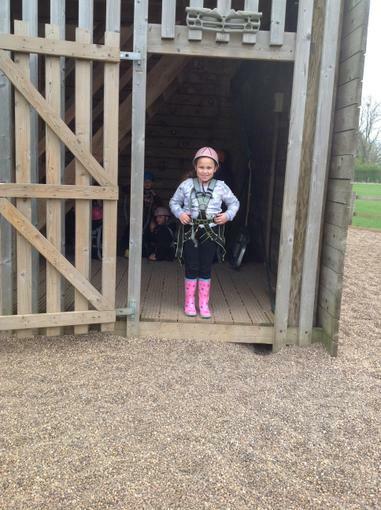 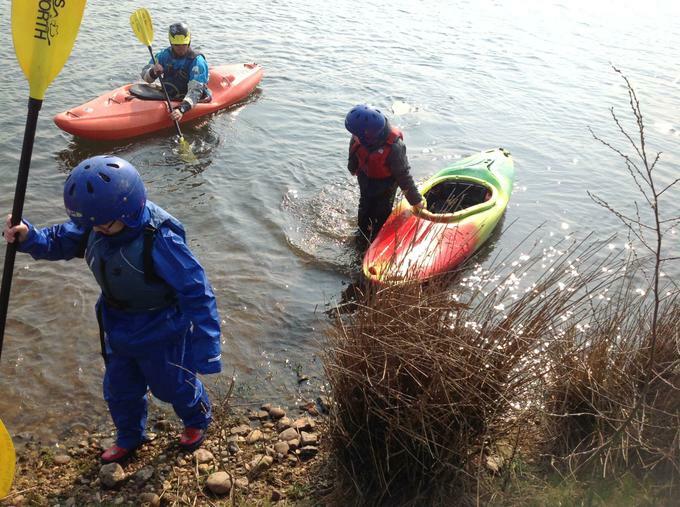 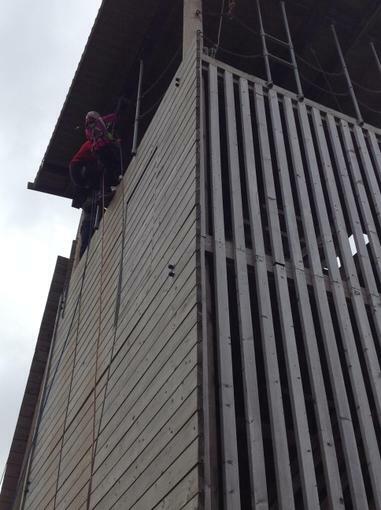 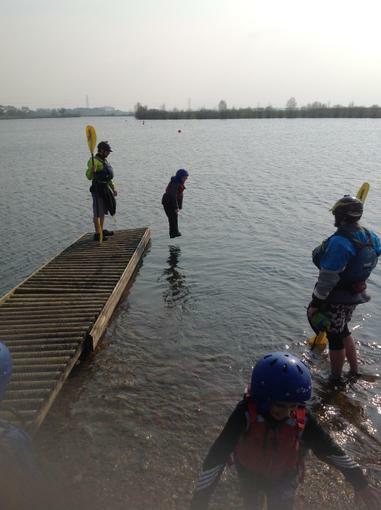 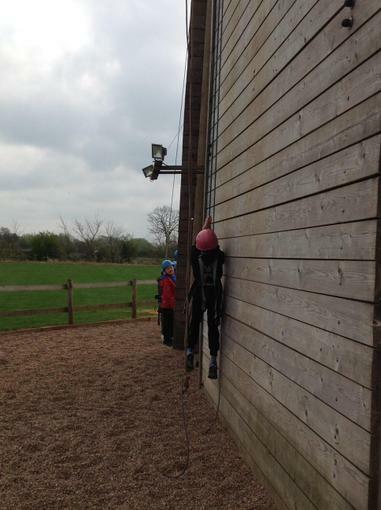 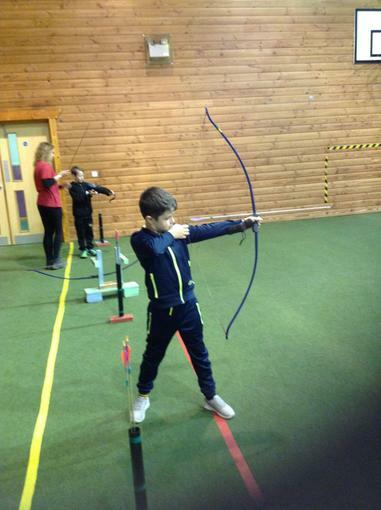 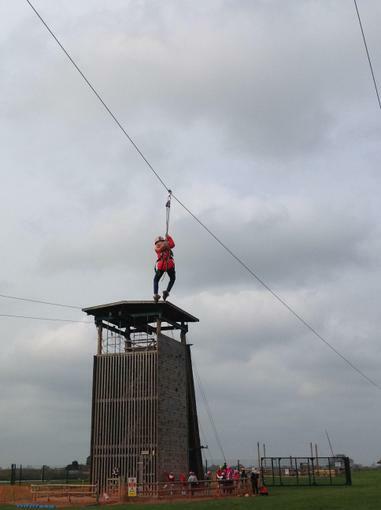 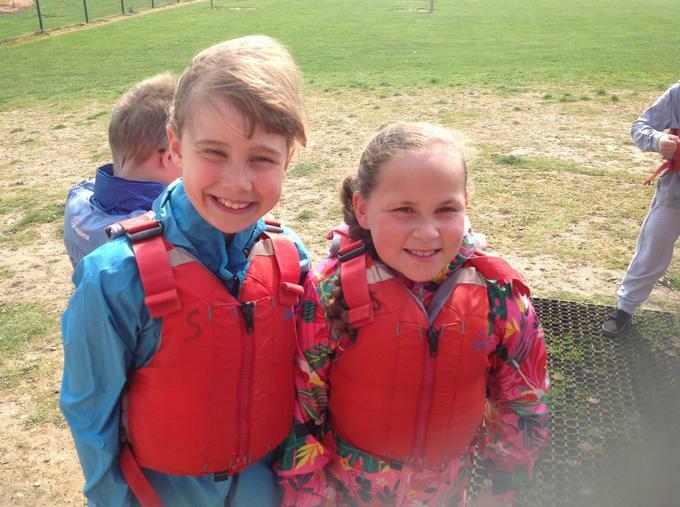 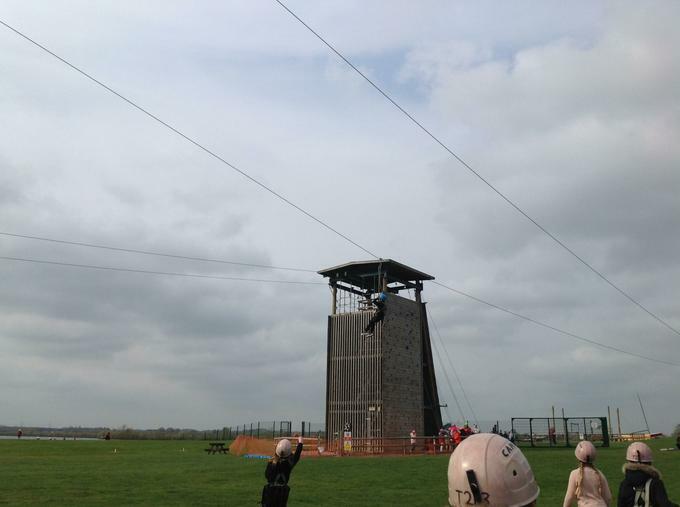 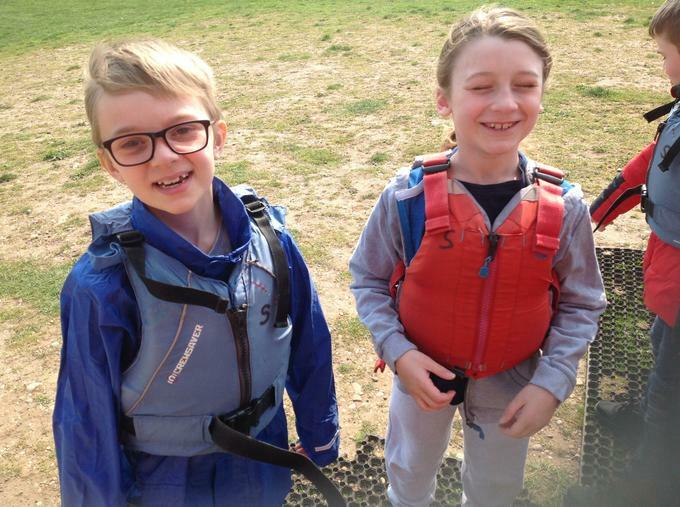 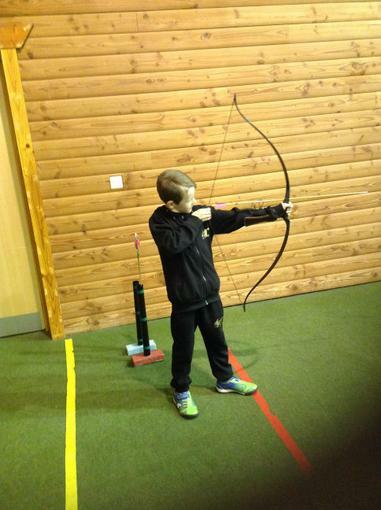 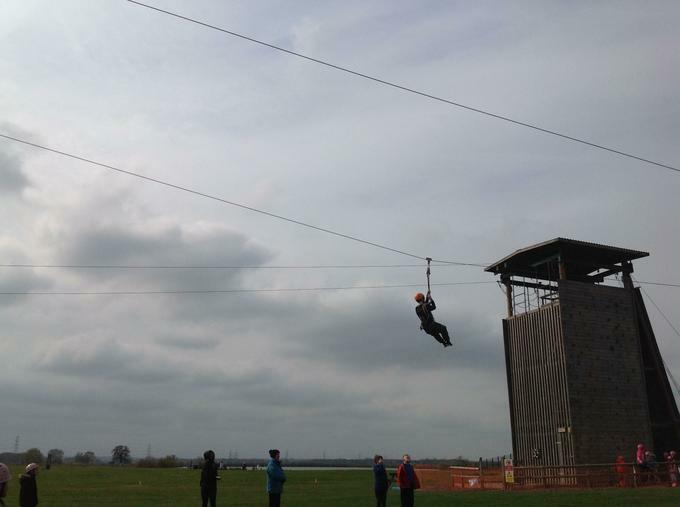 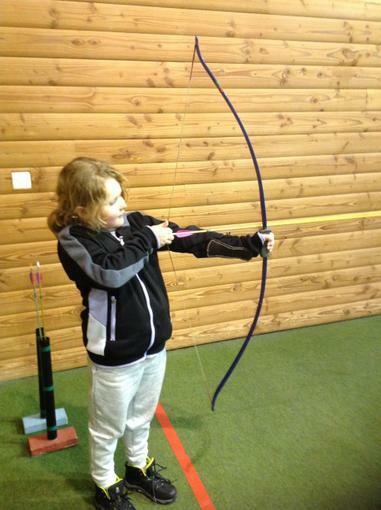 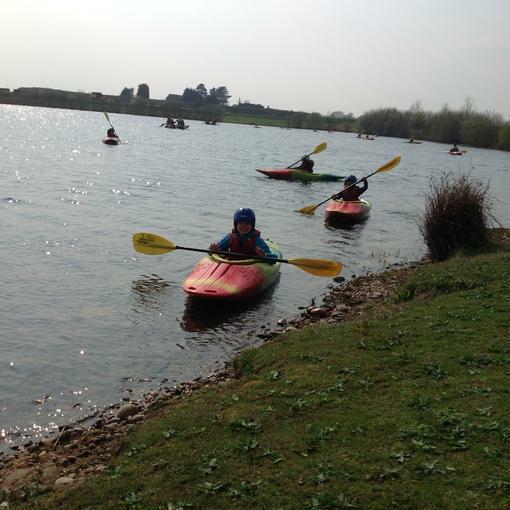 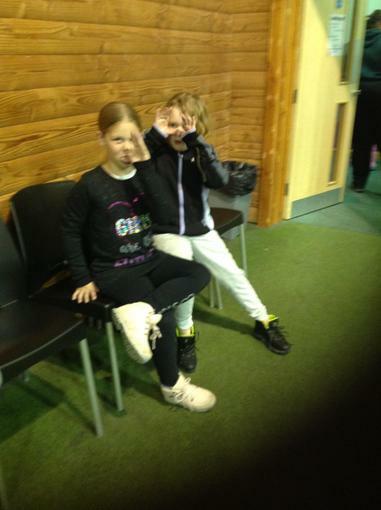 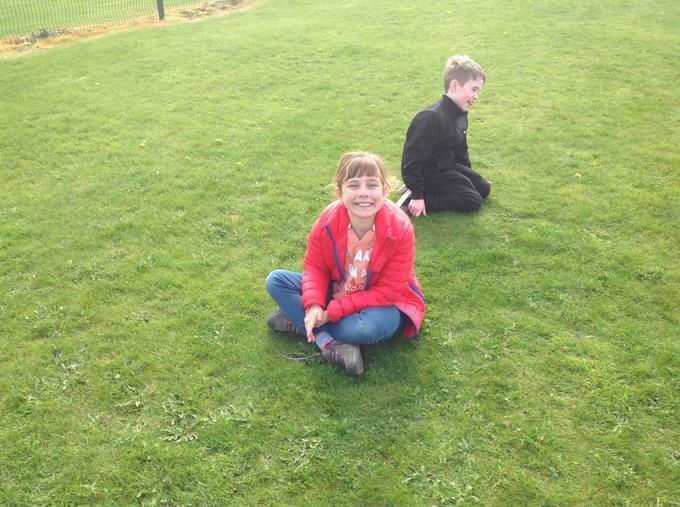 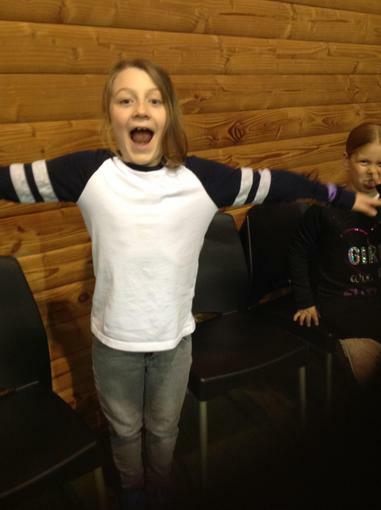 On the 8th and 9th of April the Year 4s had their residential trip to Whitemoor lakes. 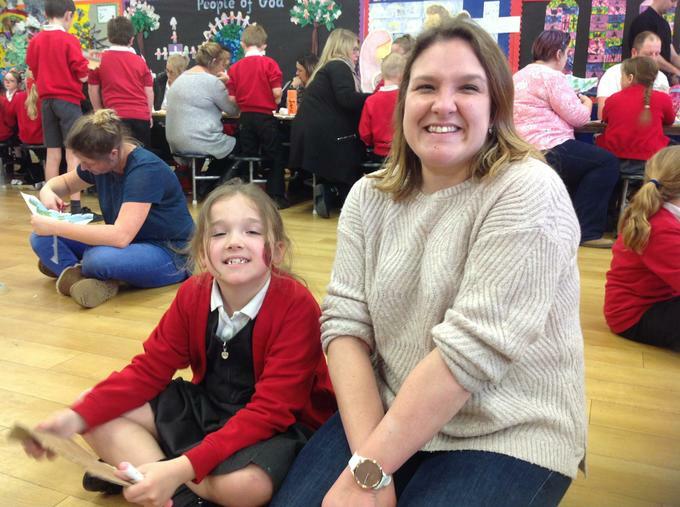 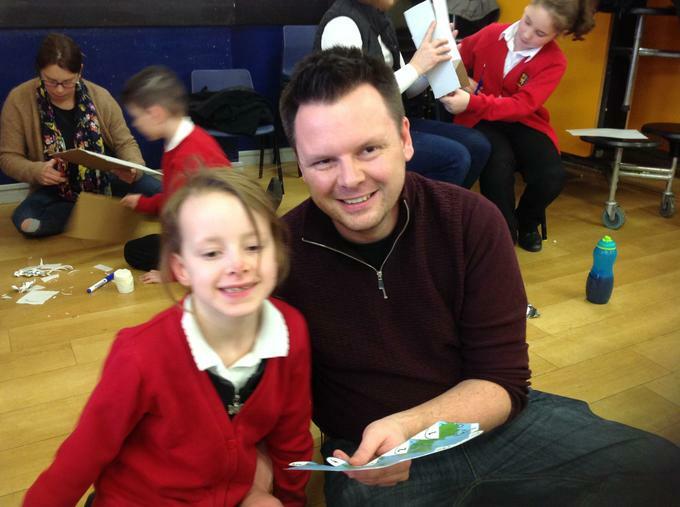 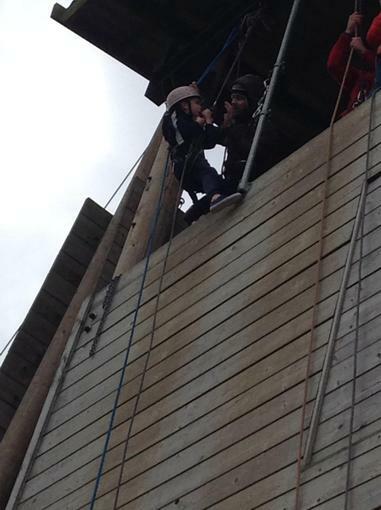 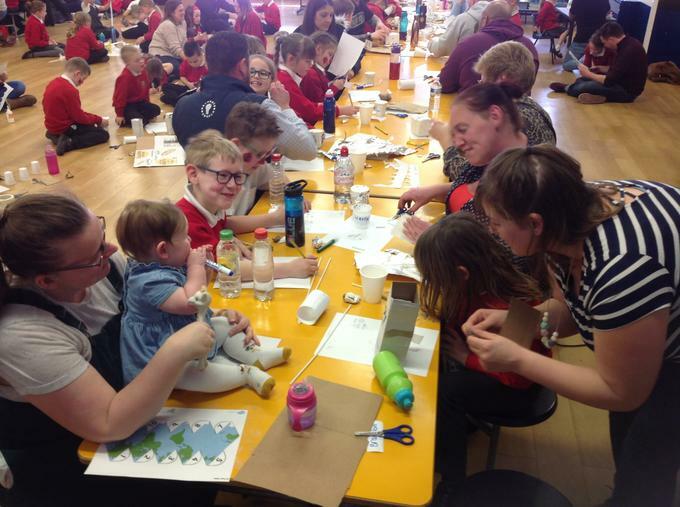 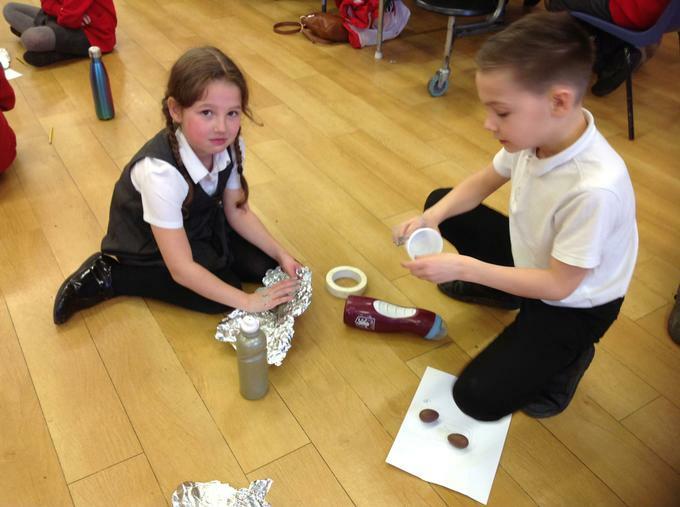 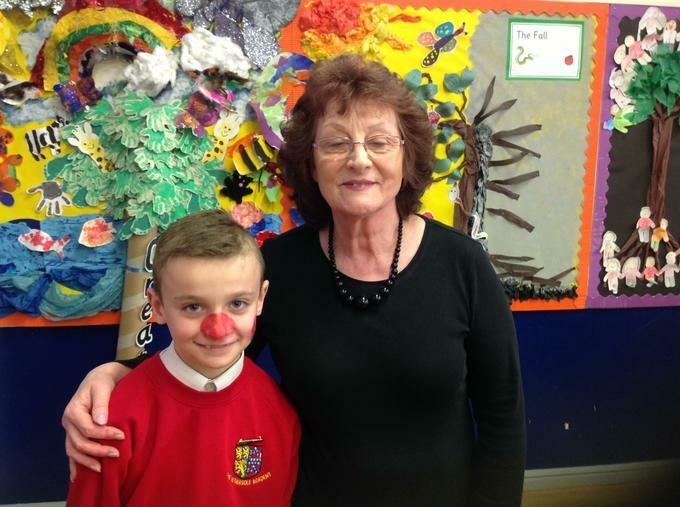 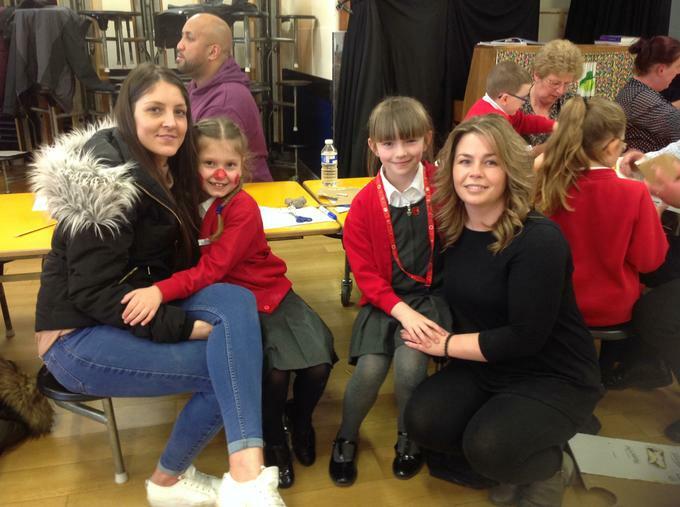 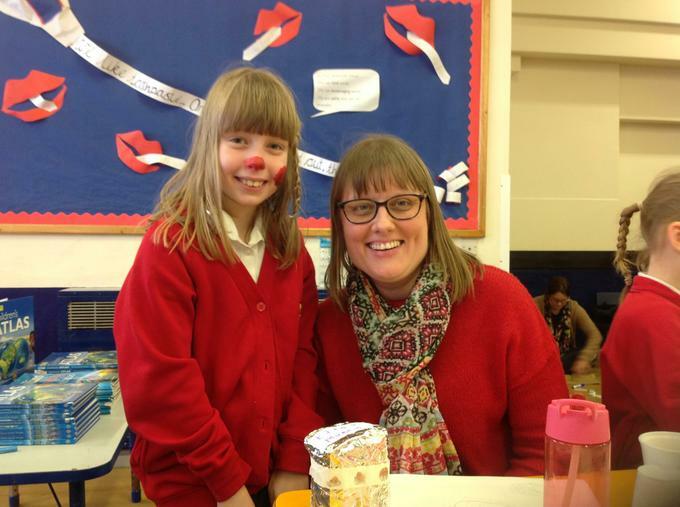 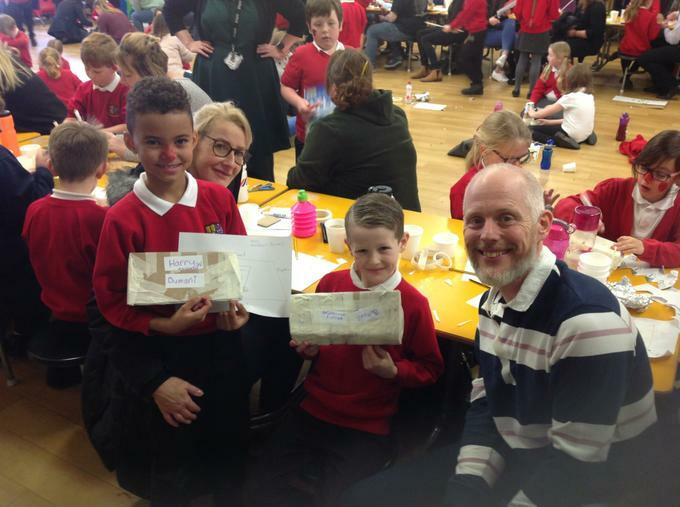 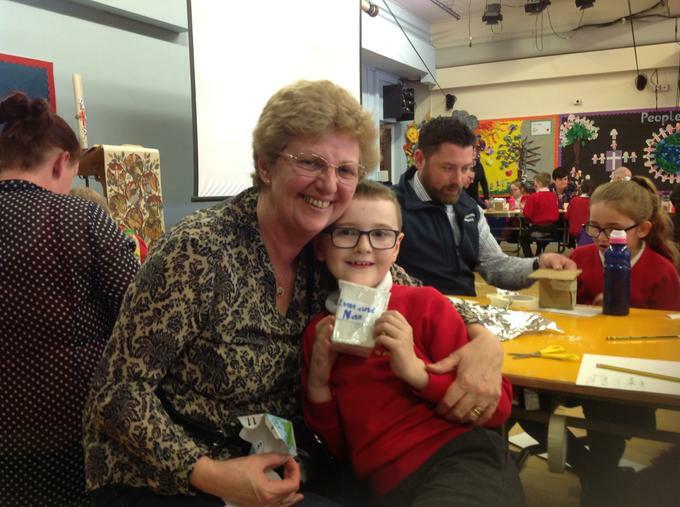 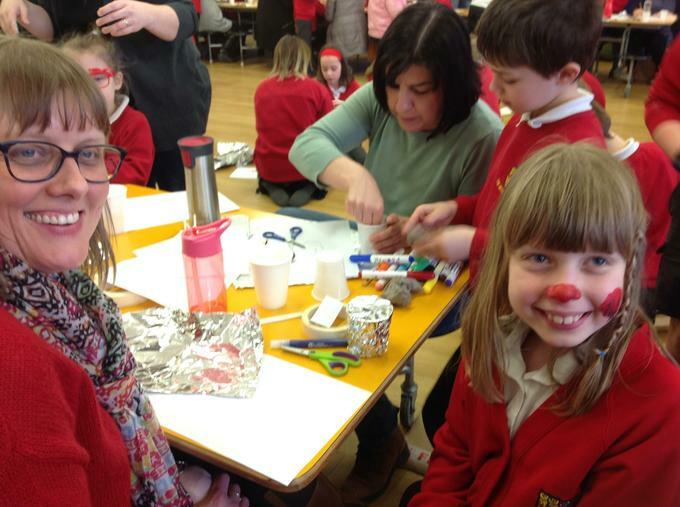 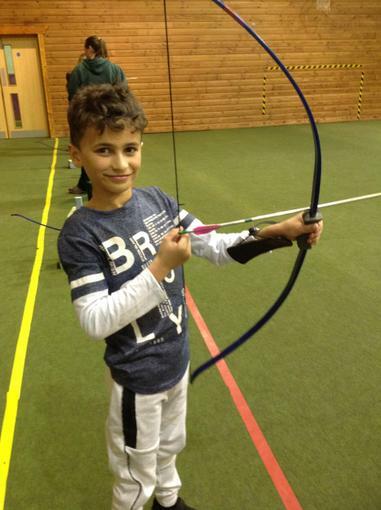 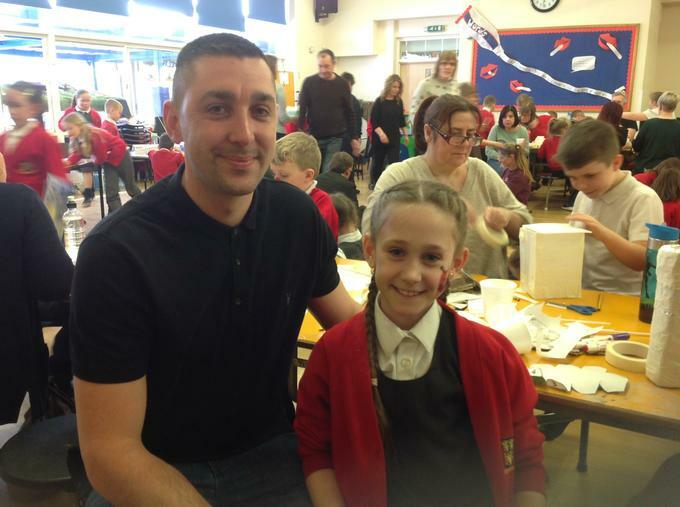 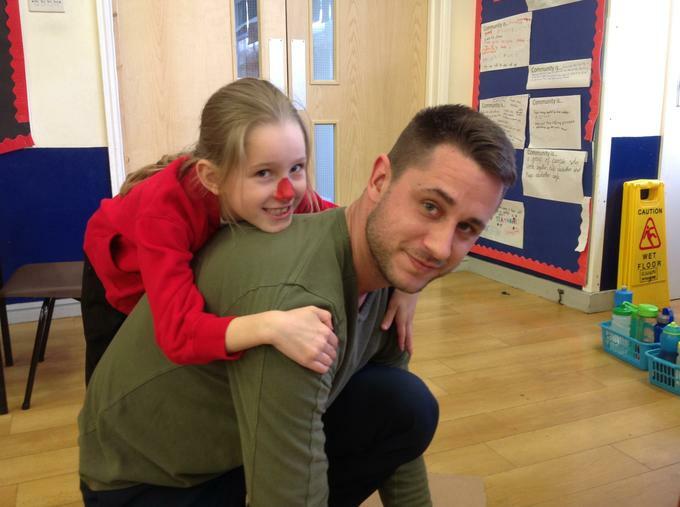 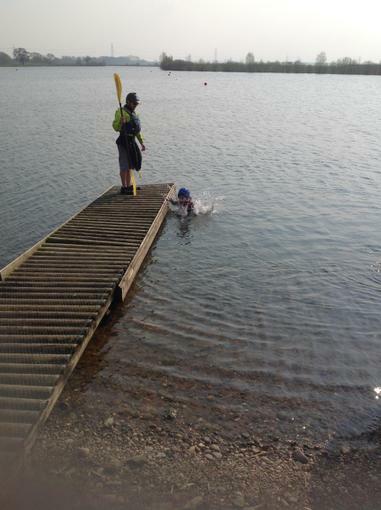 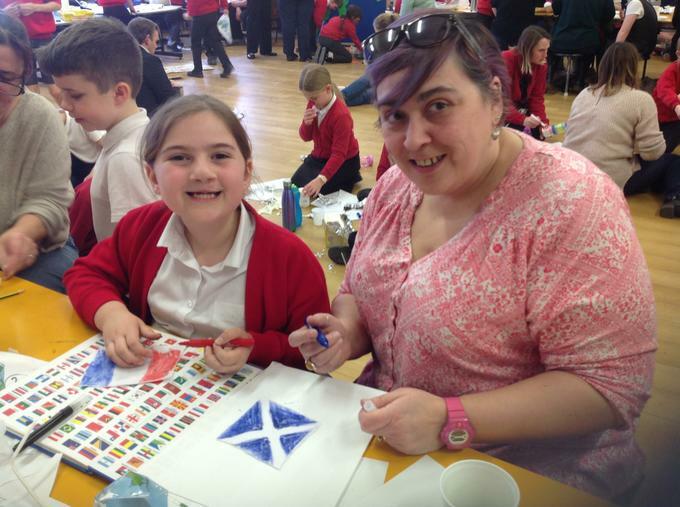 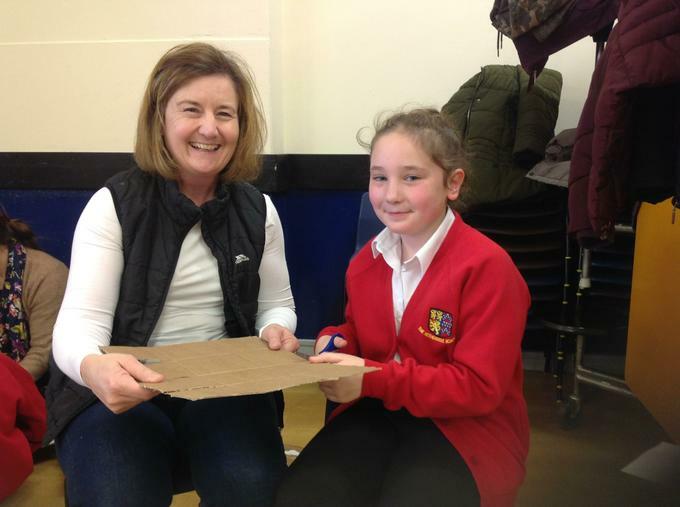 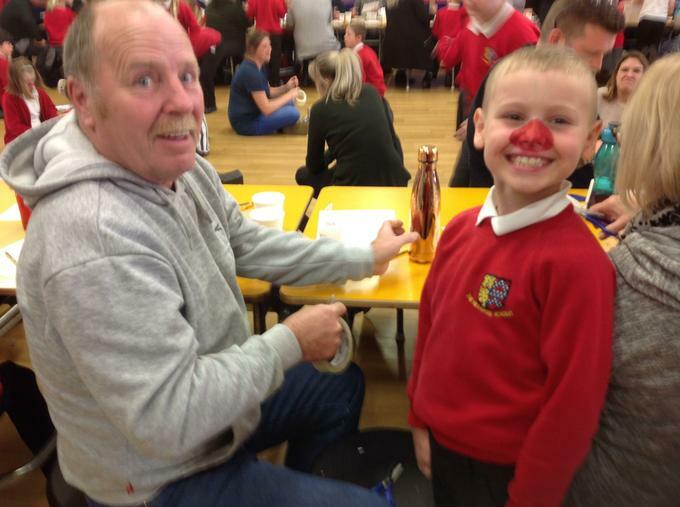 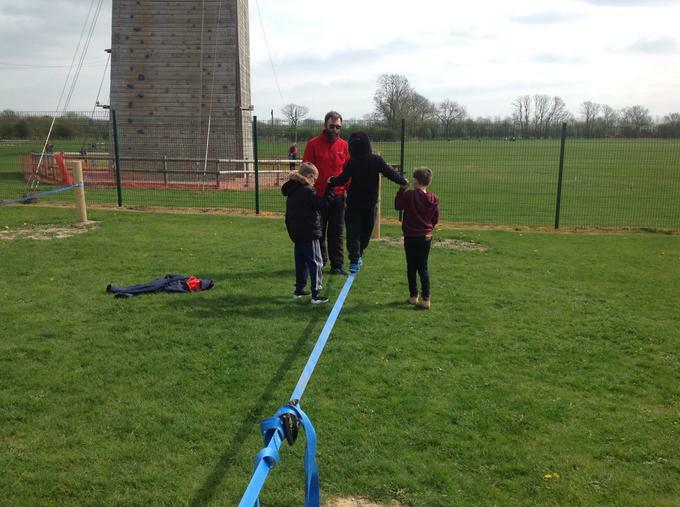 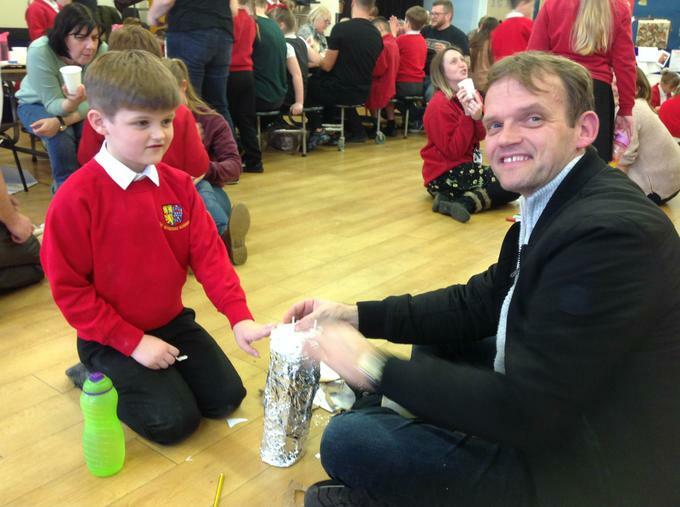 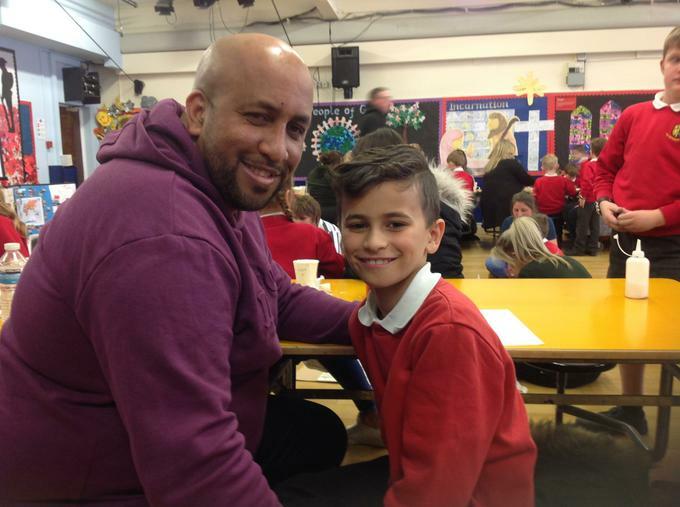 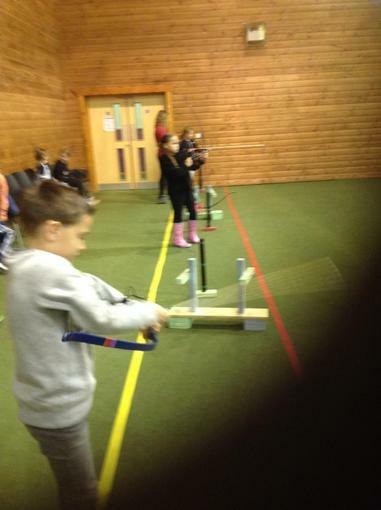 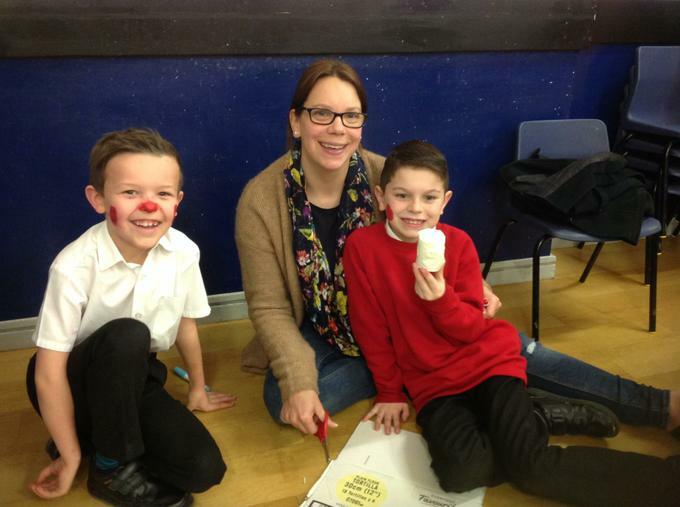 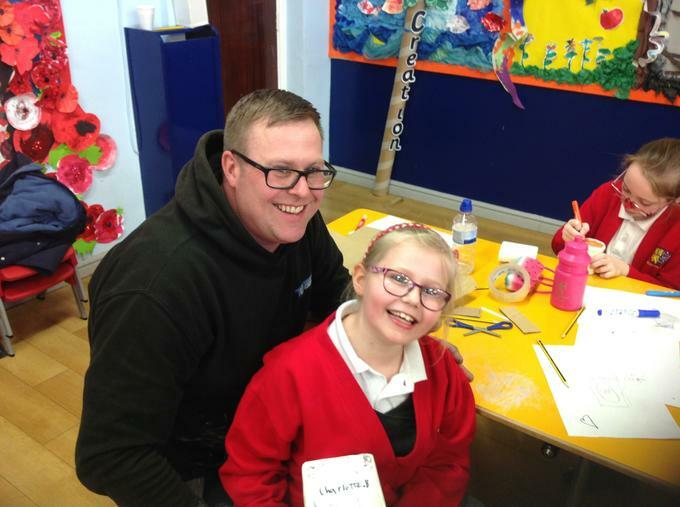 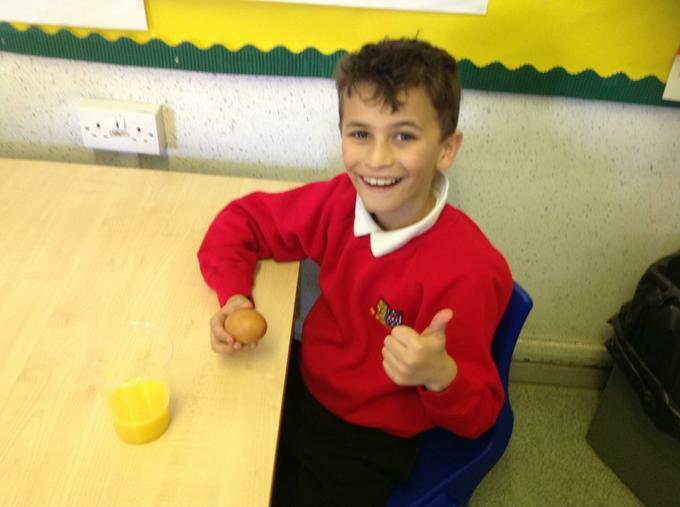 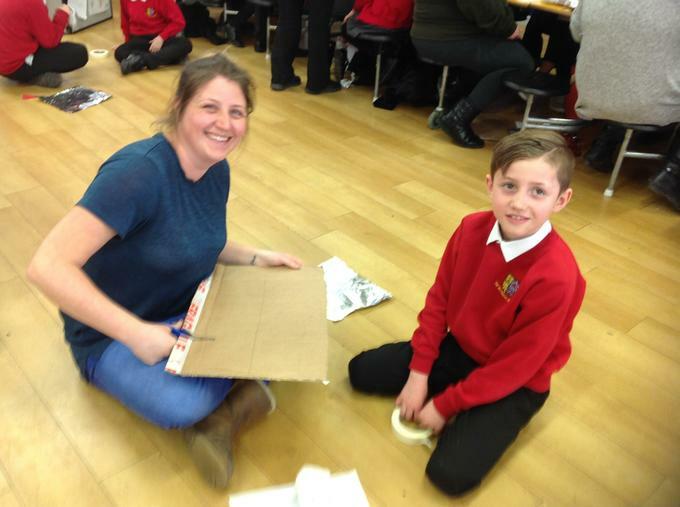 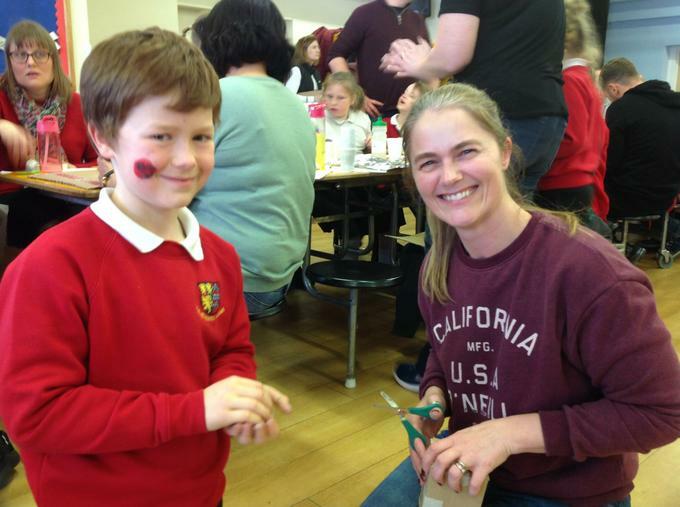 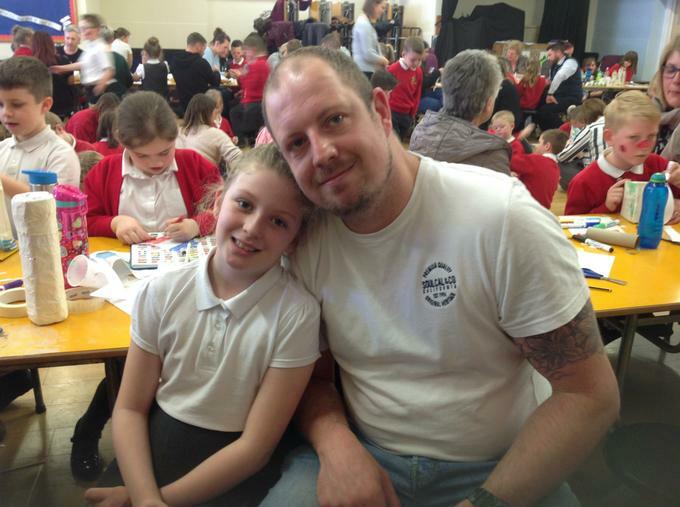 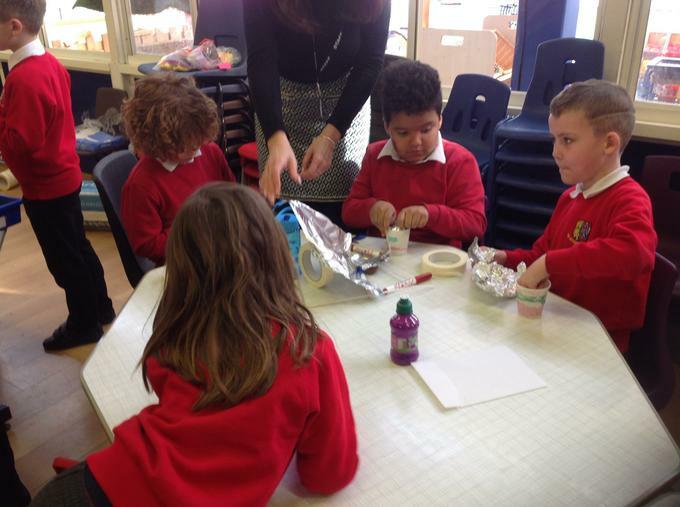 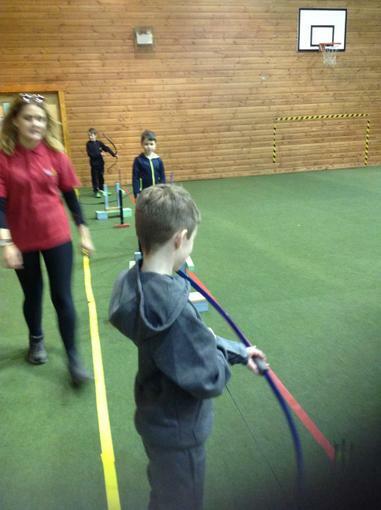 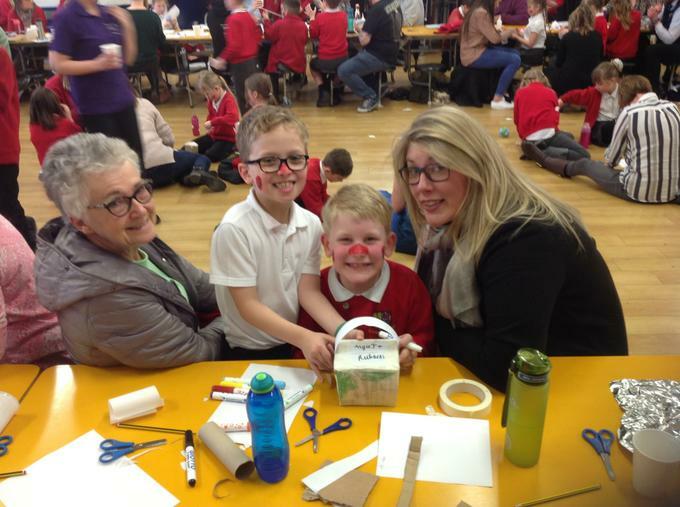 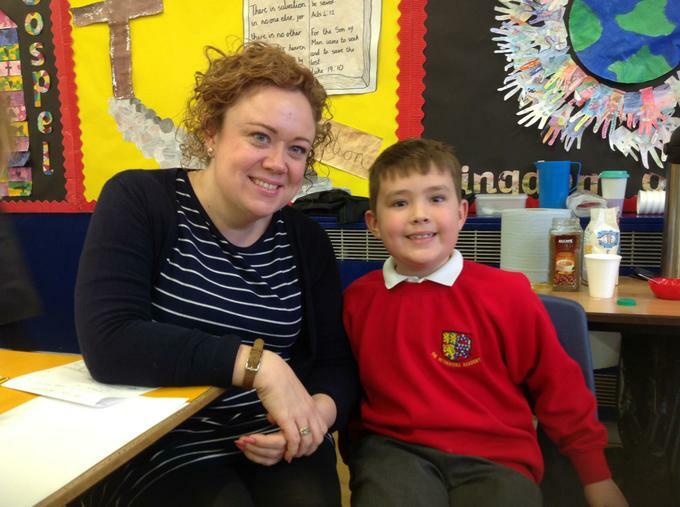 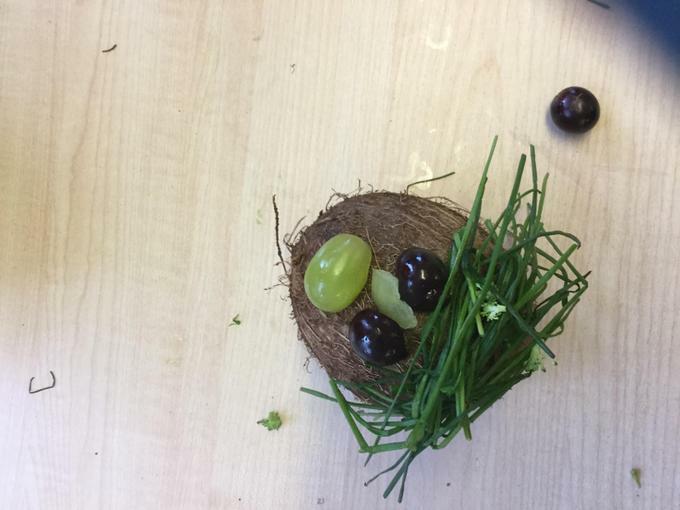 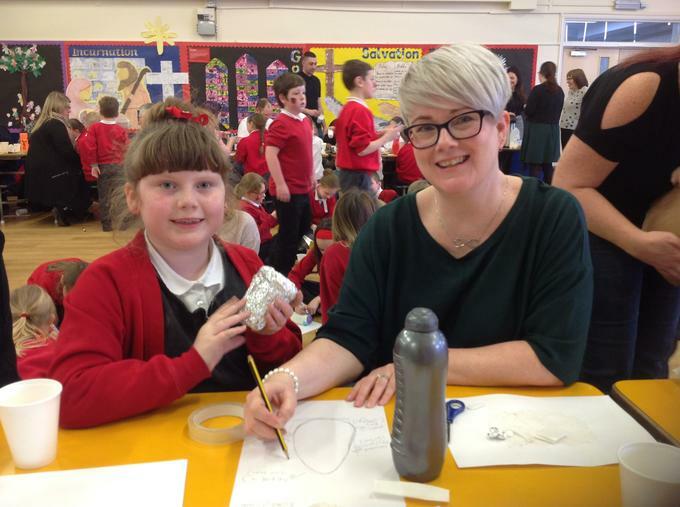 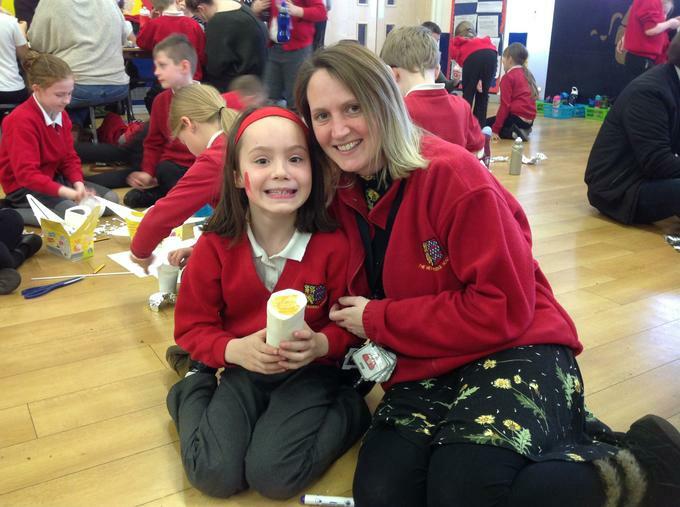 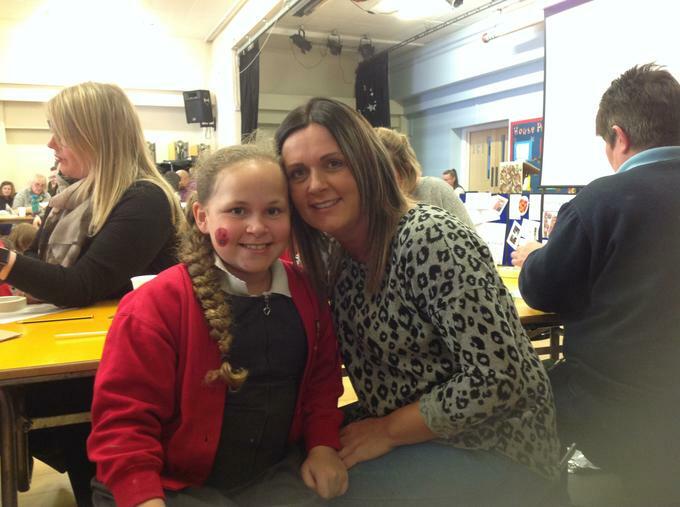 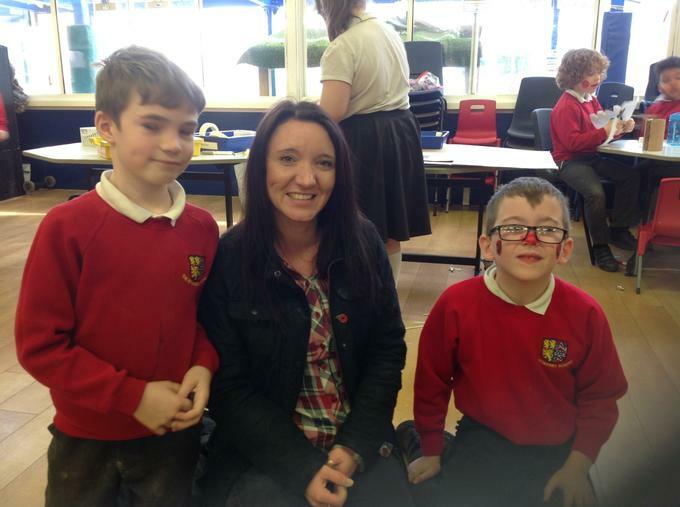 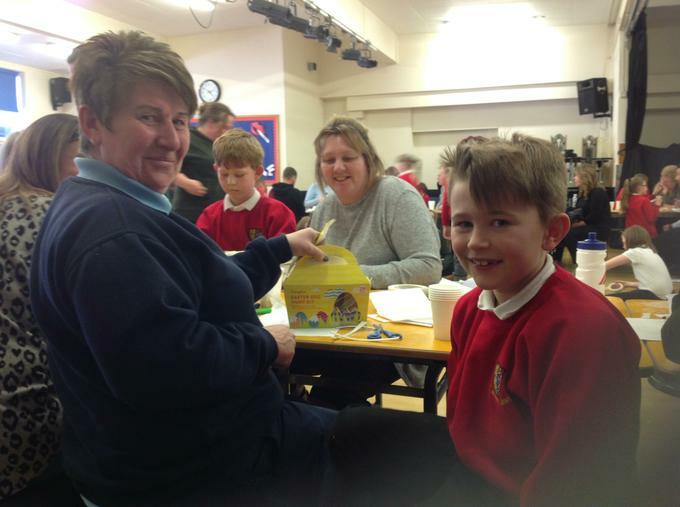 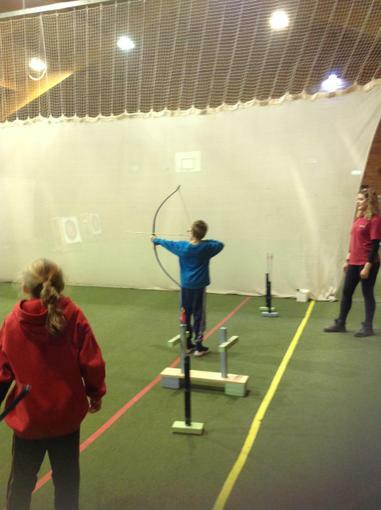 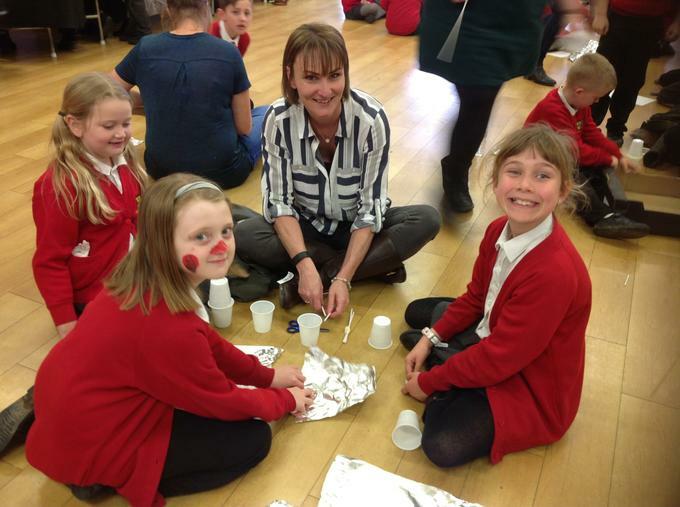 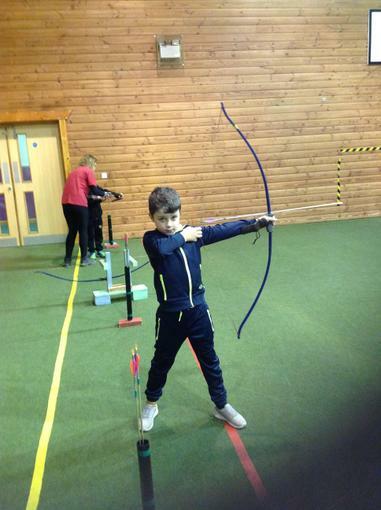 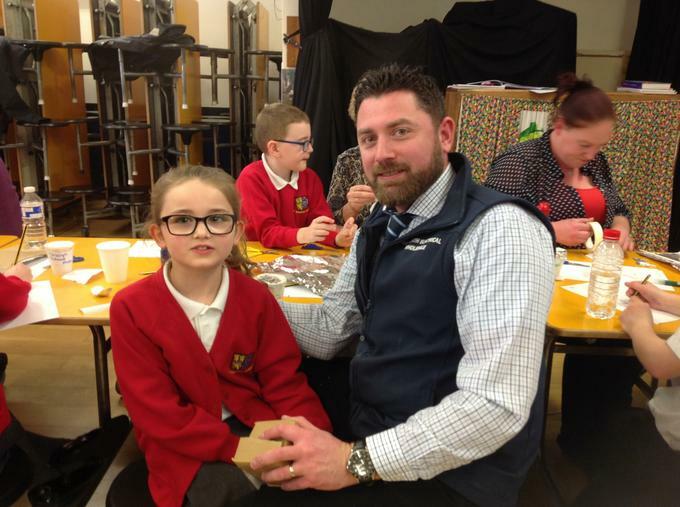 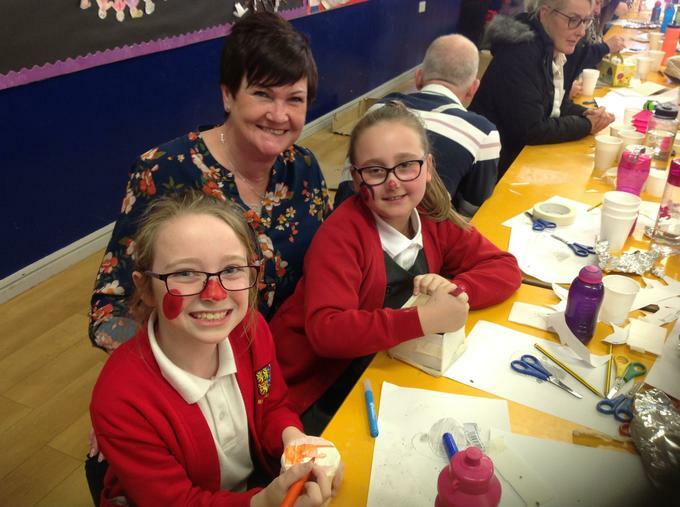 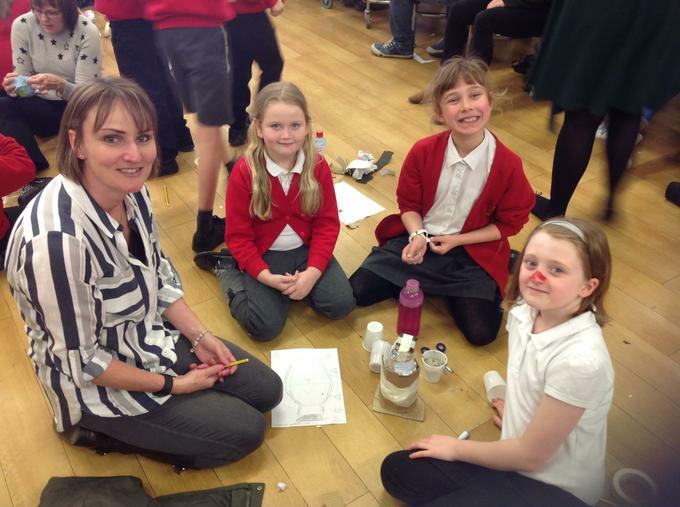 Children and staff had a fantastic time, being able to take part in a variety of activities. 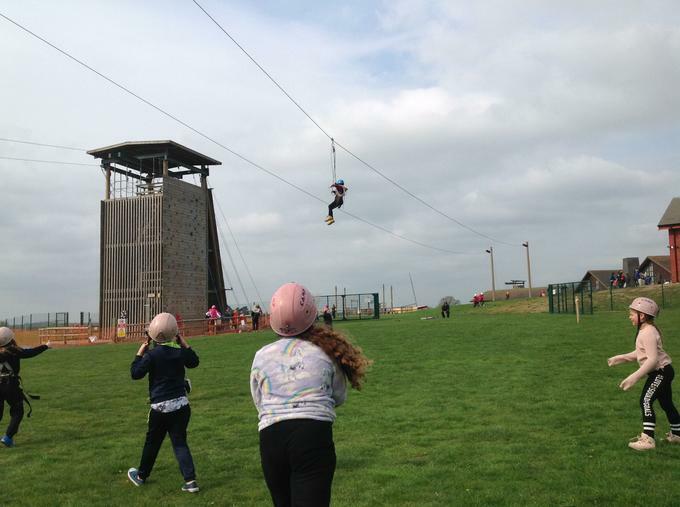 We abseiled down a climbing wall like Spiderman, flew down a zip wire like Superman, practiced archery like Hawkeye and many of us got very wet when kayaking (Like Aquaman???). 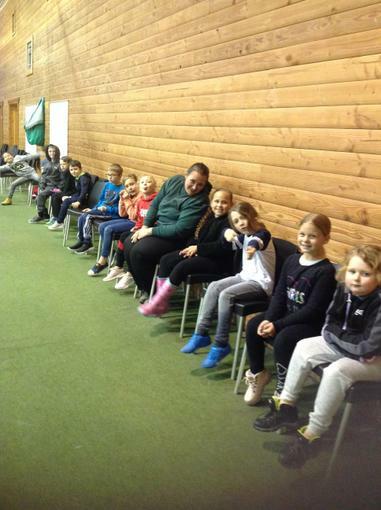 The children were all very well behaved, being excellent representatives of our school. 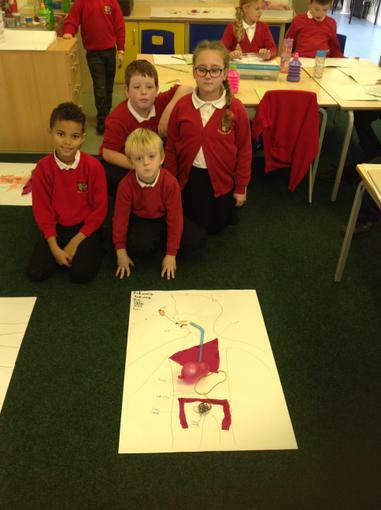 For their English work this half term, Year 3/4 are reading Krindlekrax by Philip Ridley. 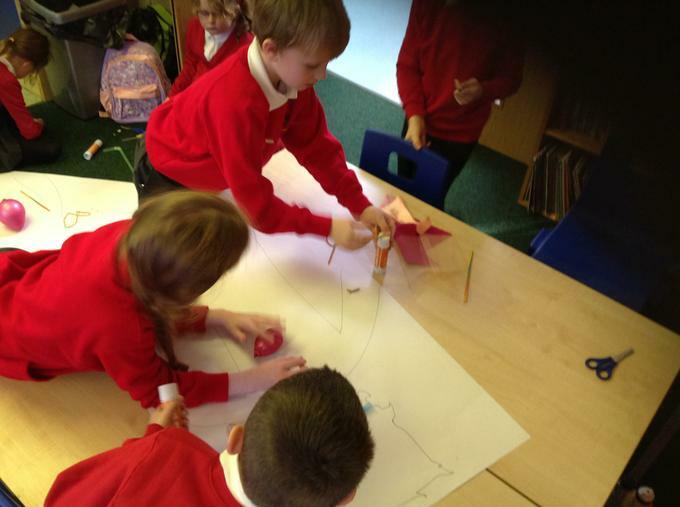 Before they started reading the book, they looked at three different front covers and used their art skills to recreate them. 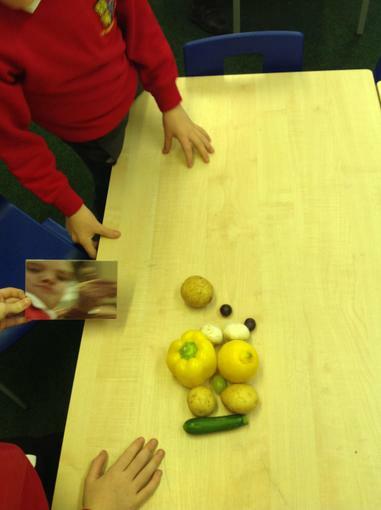 Then they used their pictures as a stimulus, to help them predict what they thought would happen in the story. 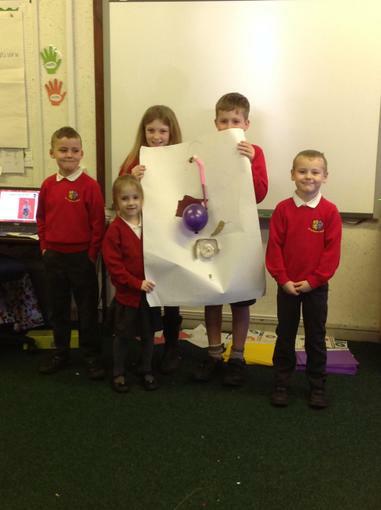 We enjoyed wondering about what could happen to the crocodile in this story. 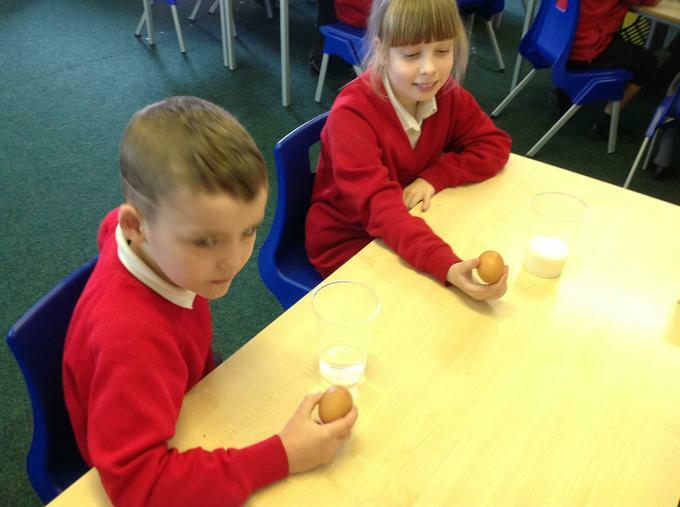 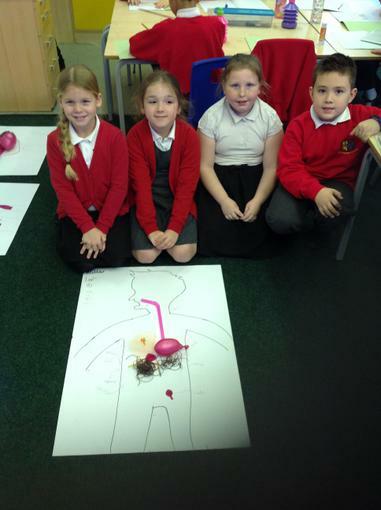 In Science this term we will be investigating animals including humans. 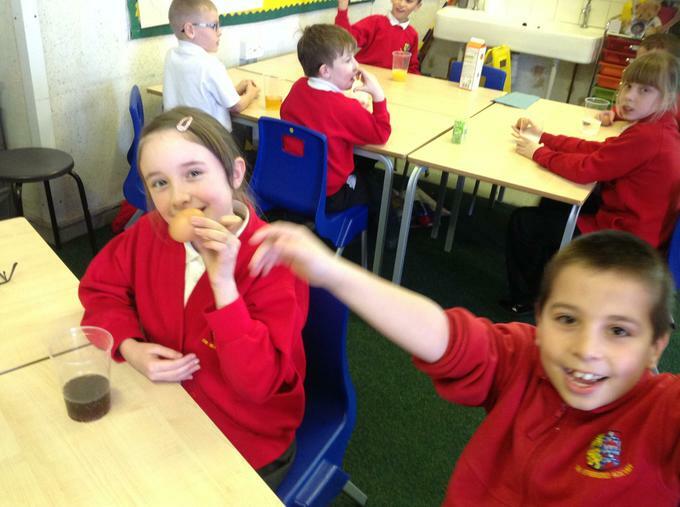 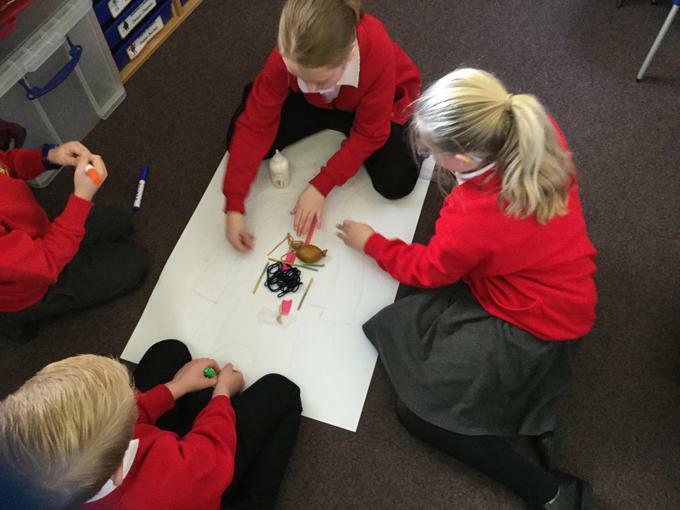 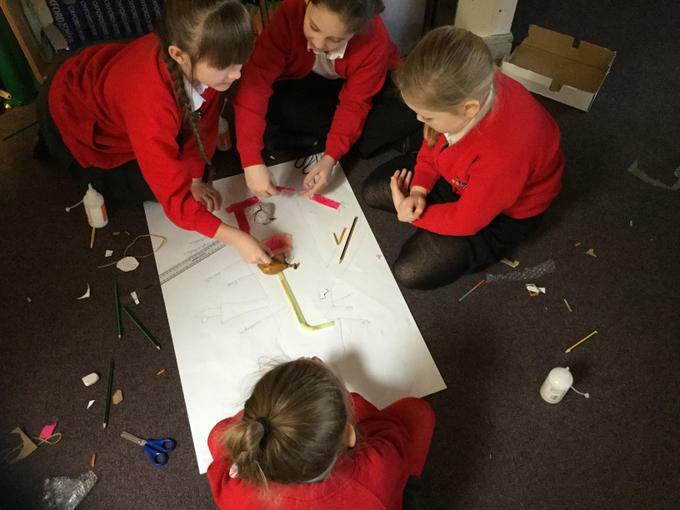 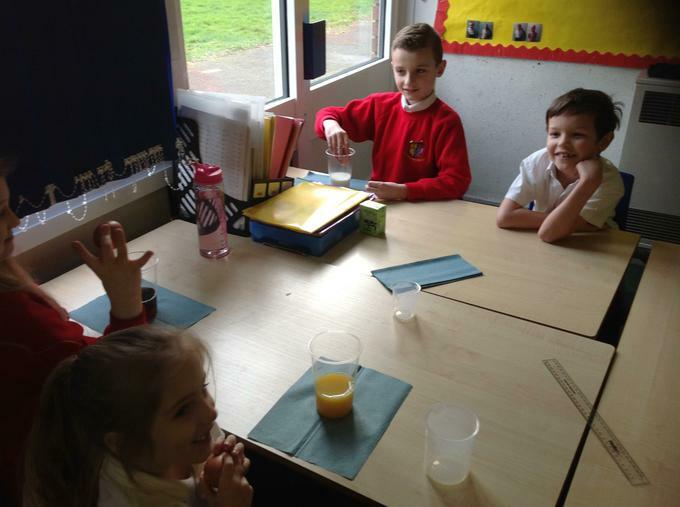 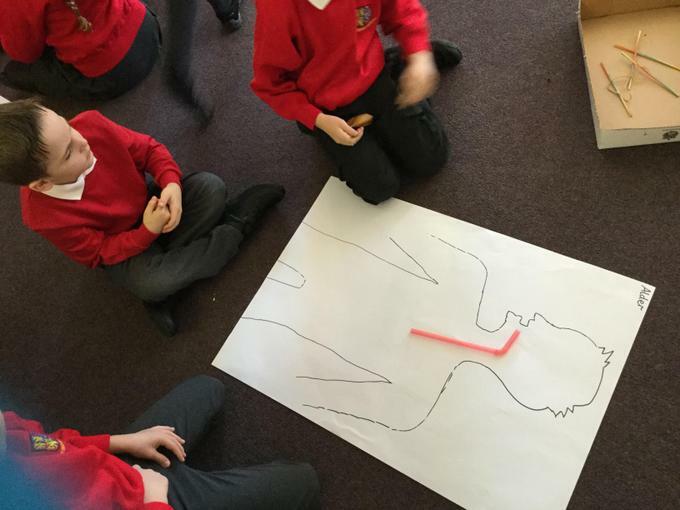 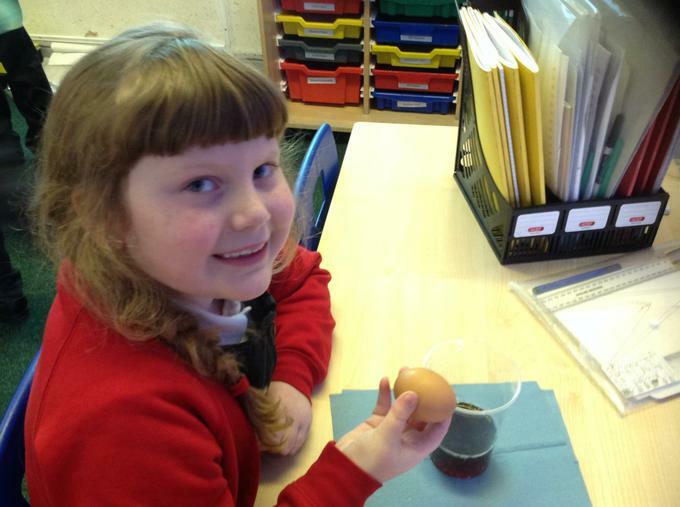 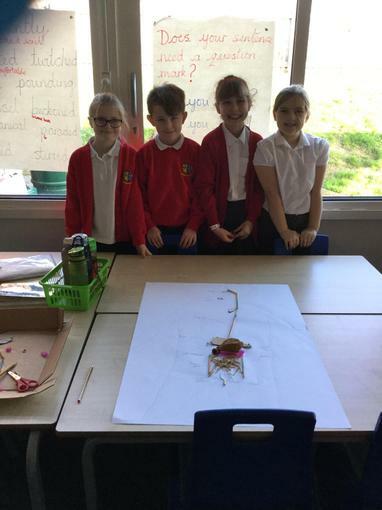 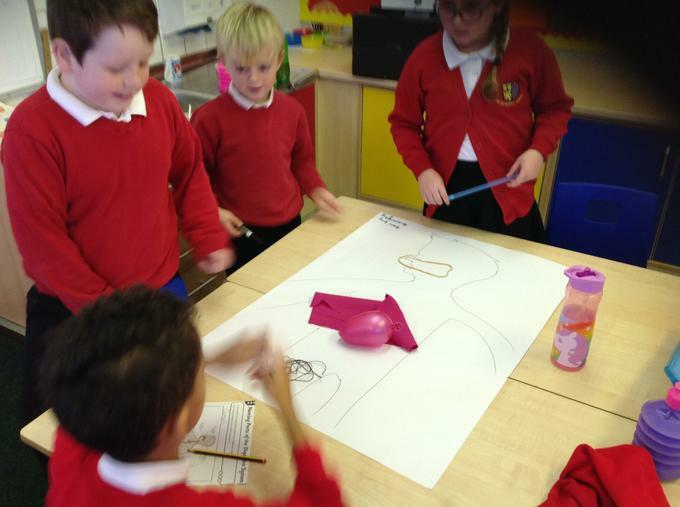 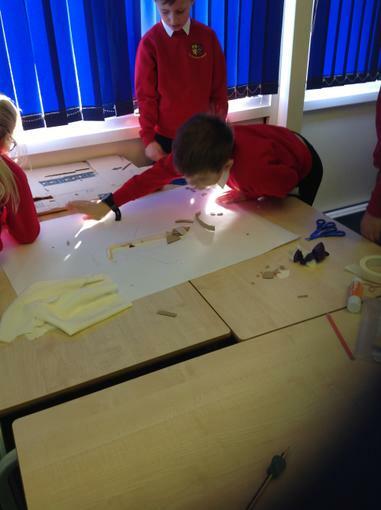 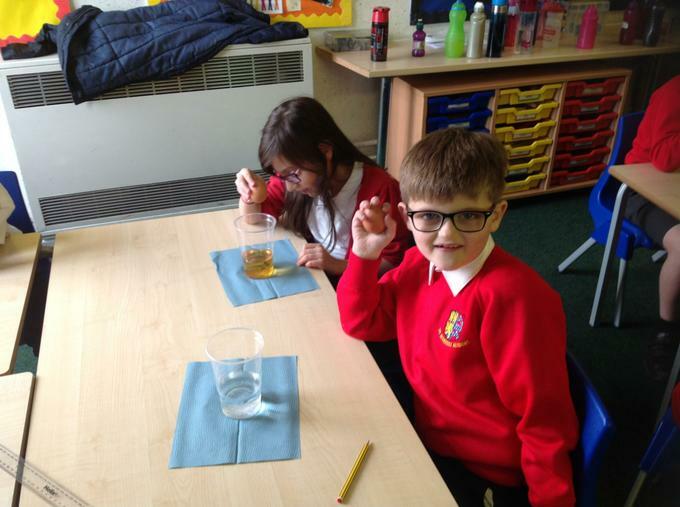 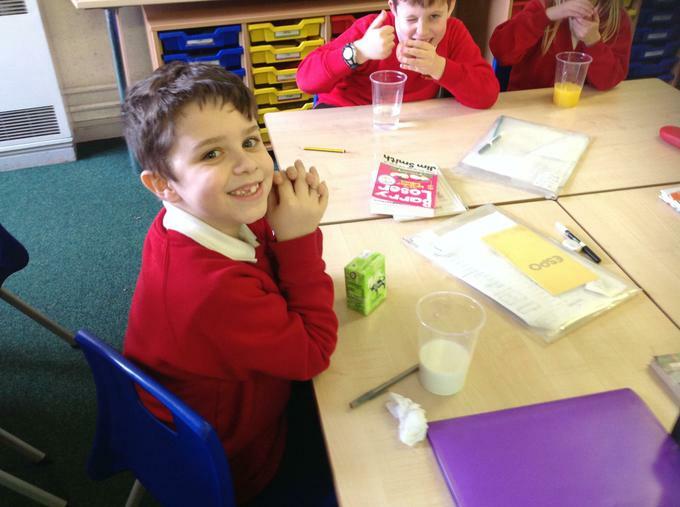 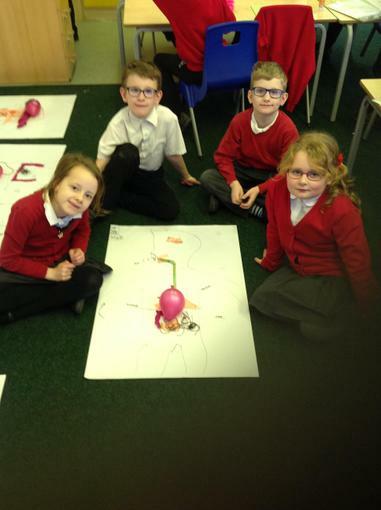 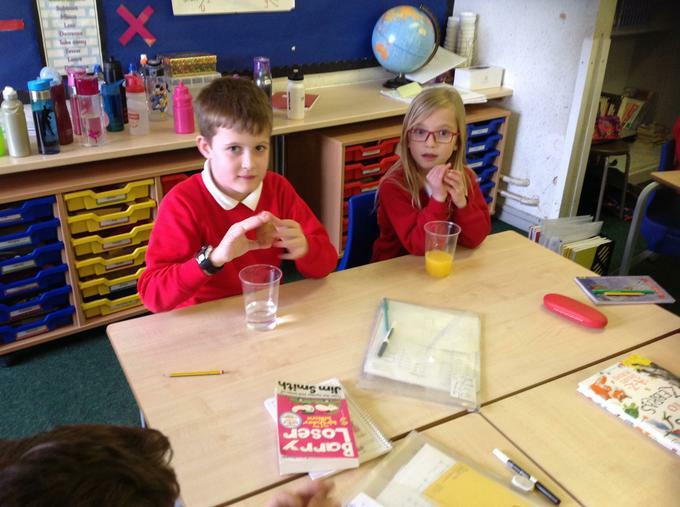 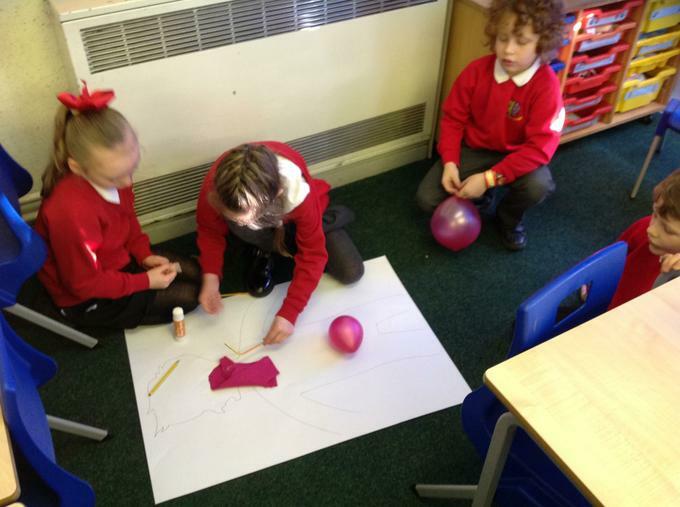 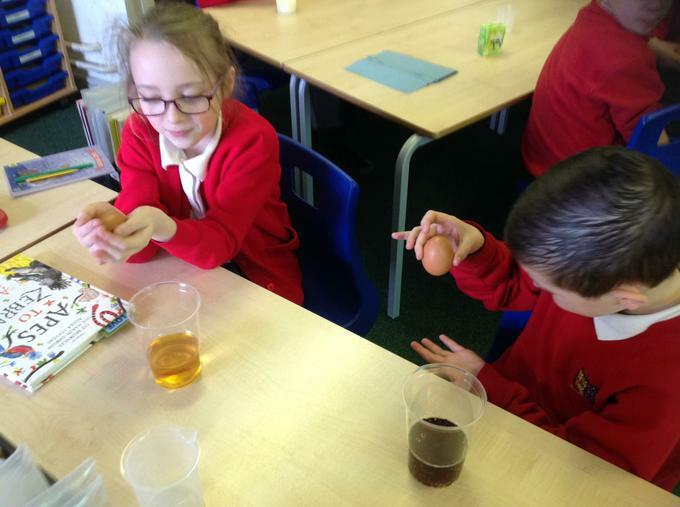 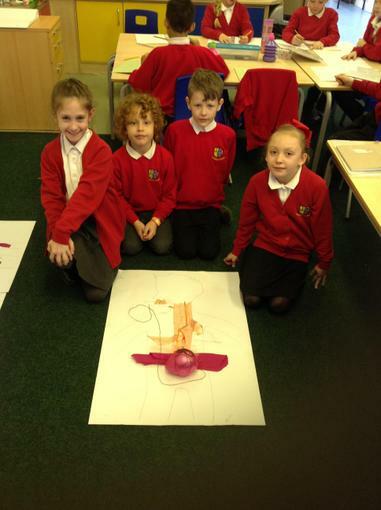 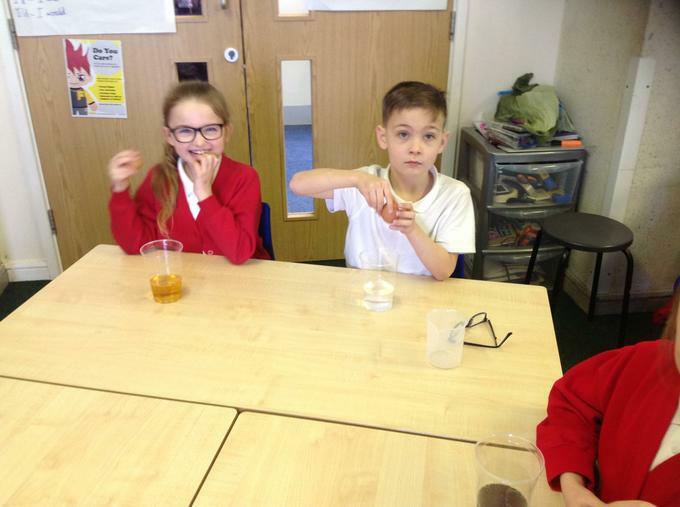 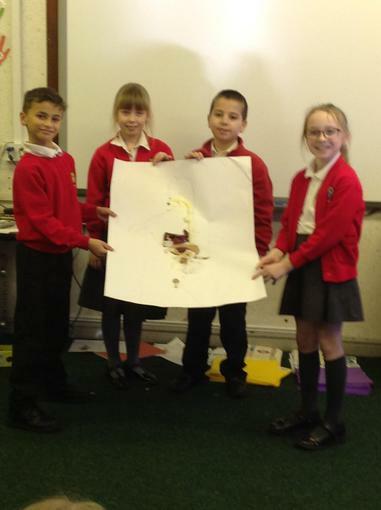 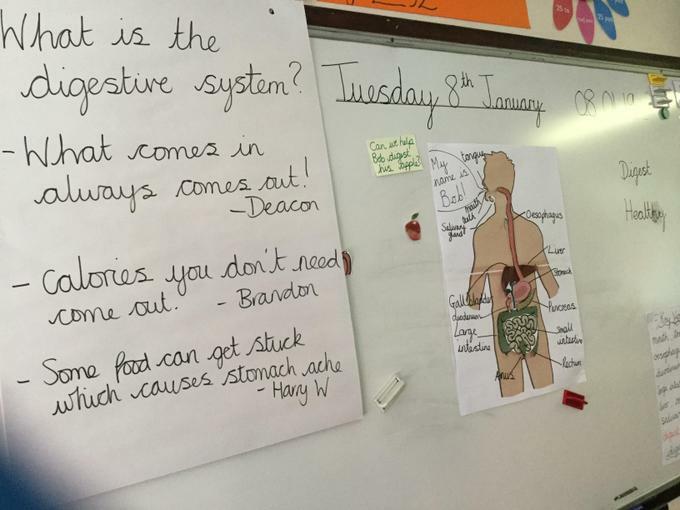 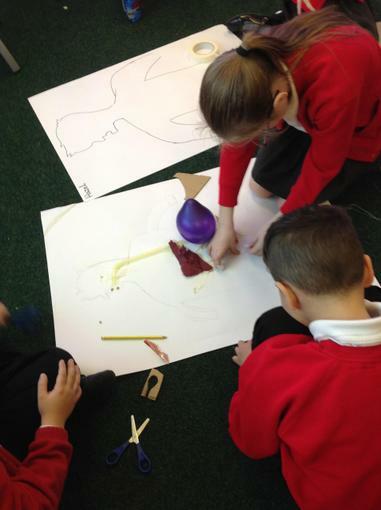 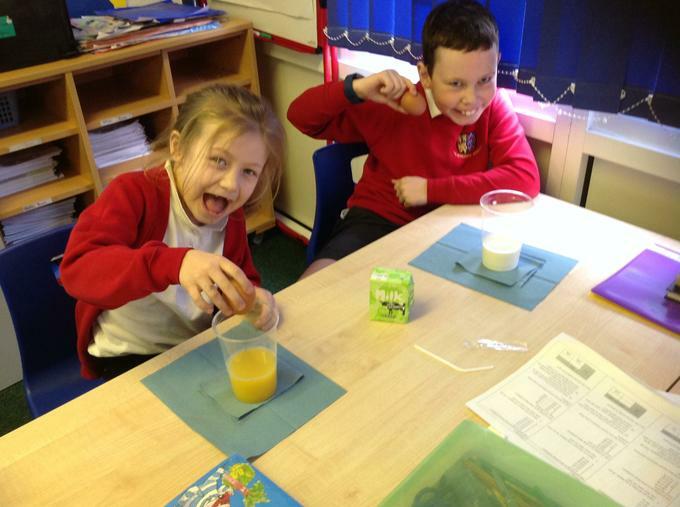 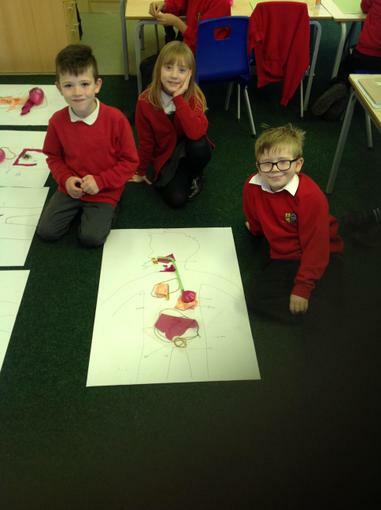 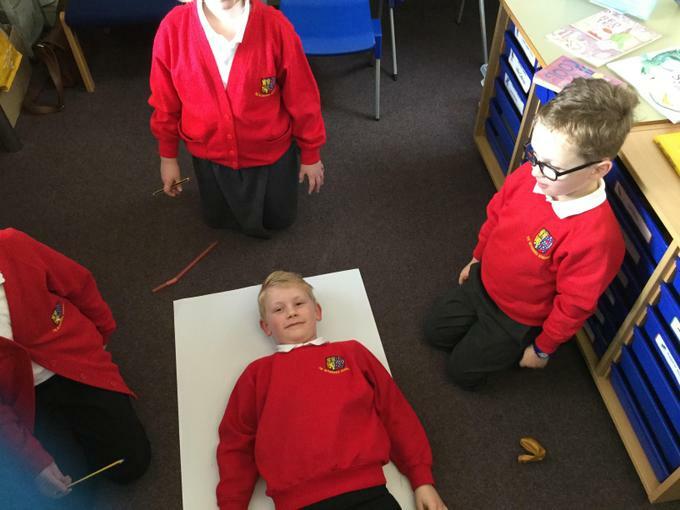 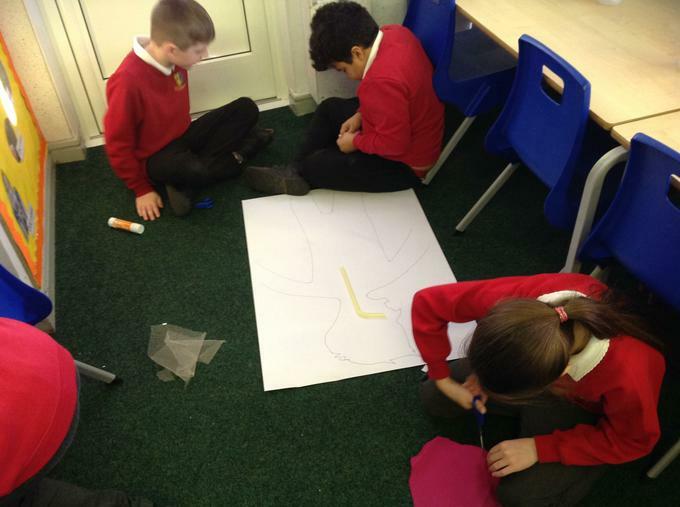 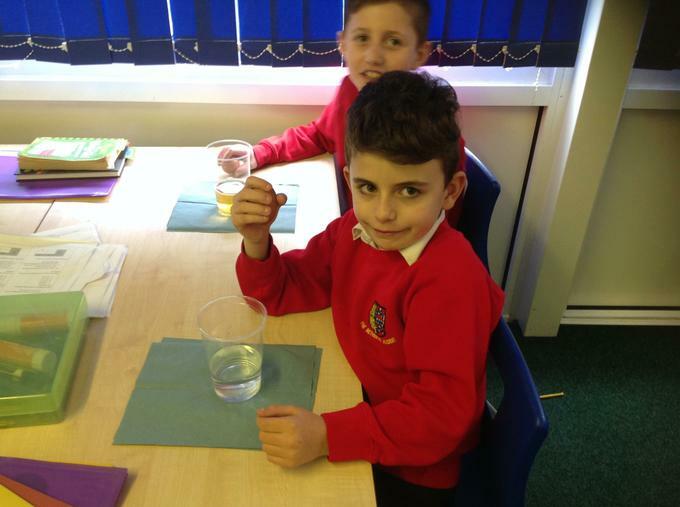 To start this topic we spent the day finding out about the digestive system in the human body. 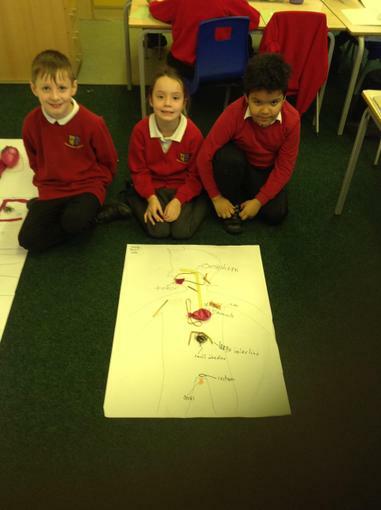 We found out the names of the organs which make up the digestive system, where they are in our bodies and what they look like. 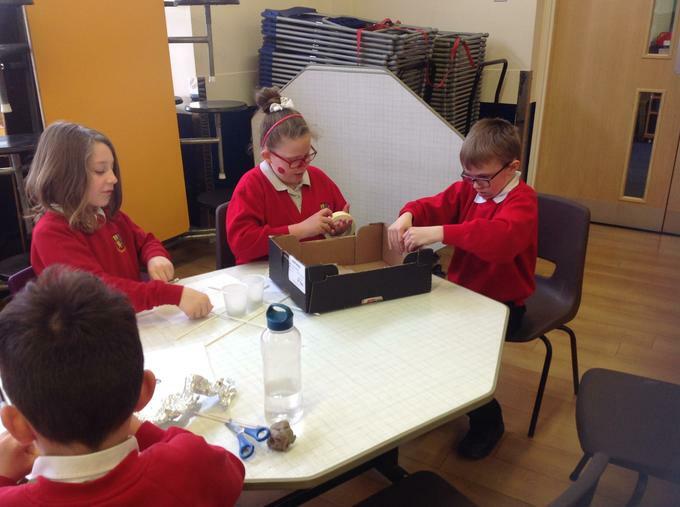 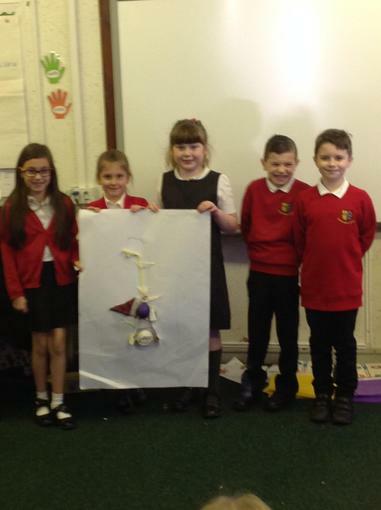 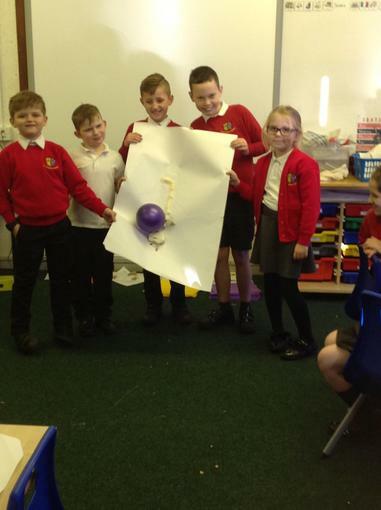 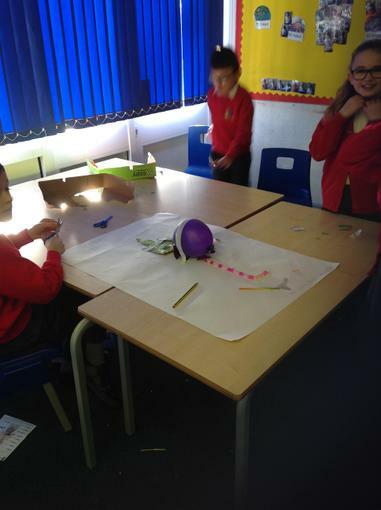 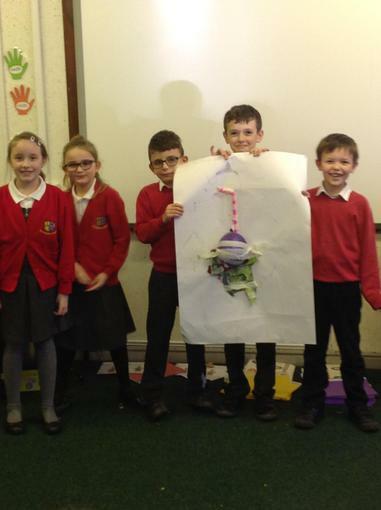 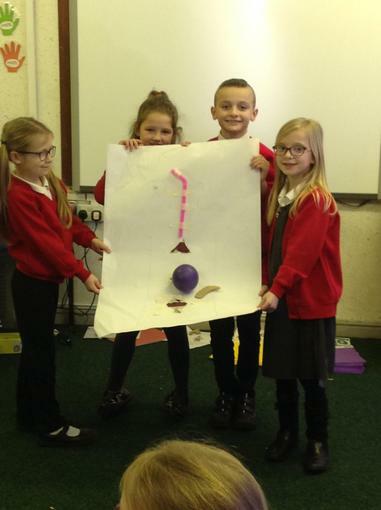 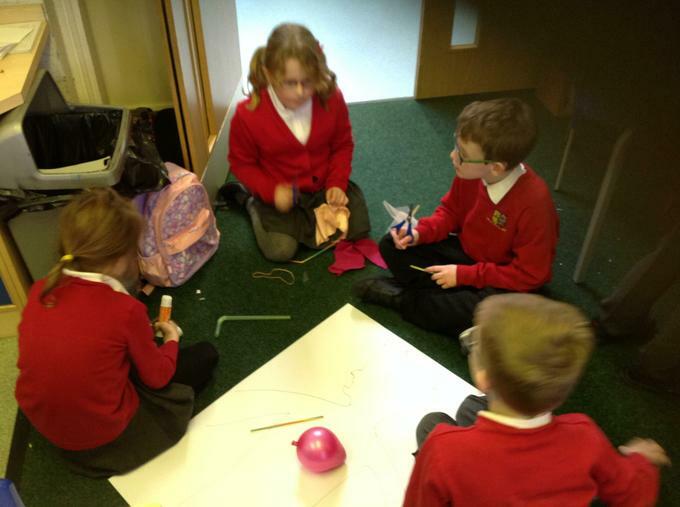 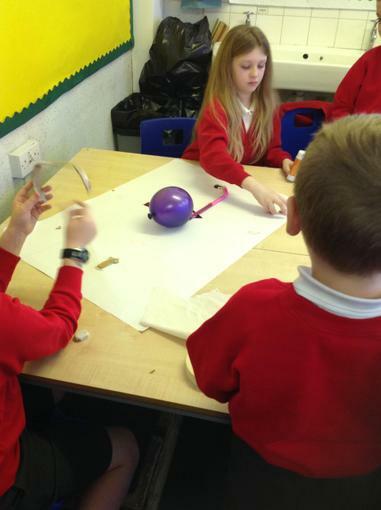 In groups, we made a 3D digestive system using scraps of material, string, netting and straws. 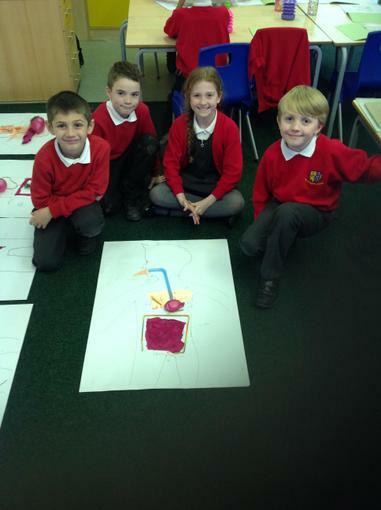 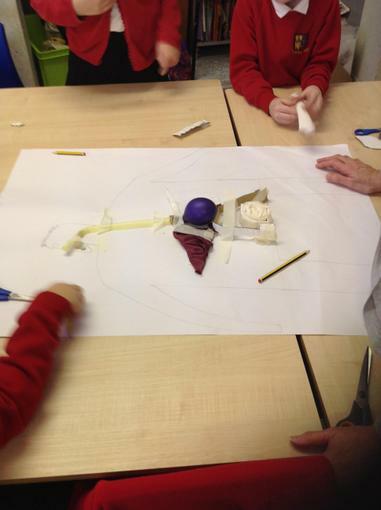 We had a great time putting all of the organs in the right place and creating our 3D digestive systems. 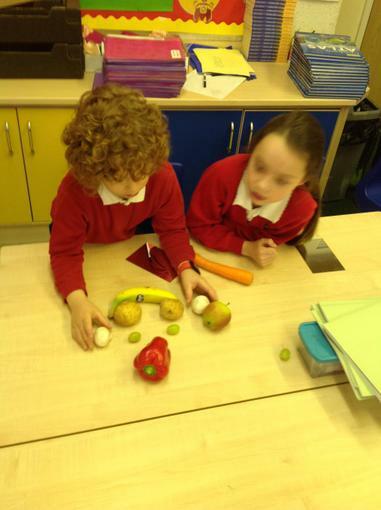 This terms topic is titled 'world kitchen'. 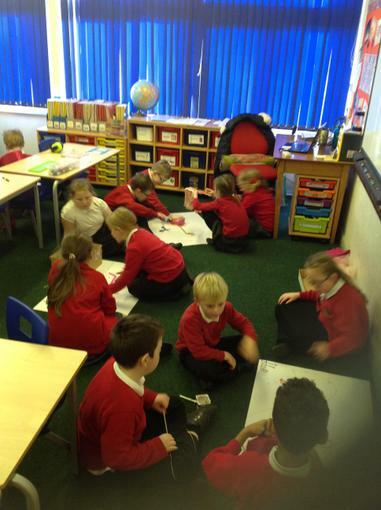 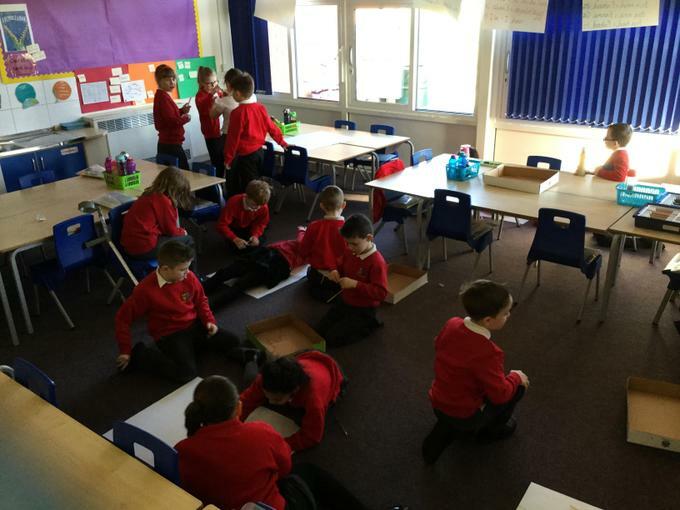 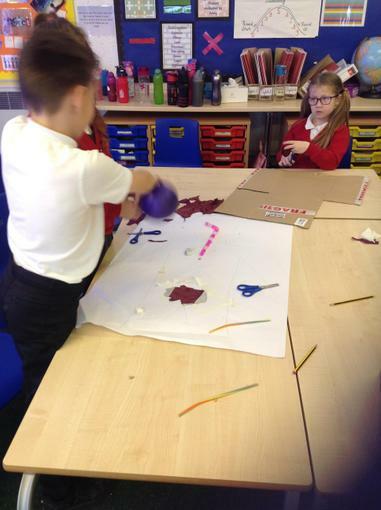 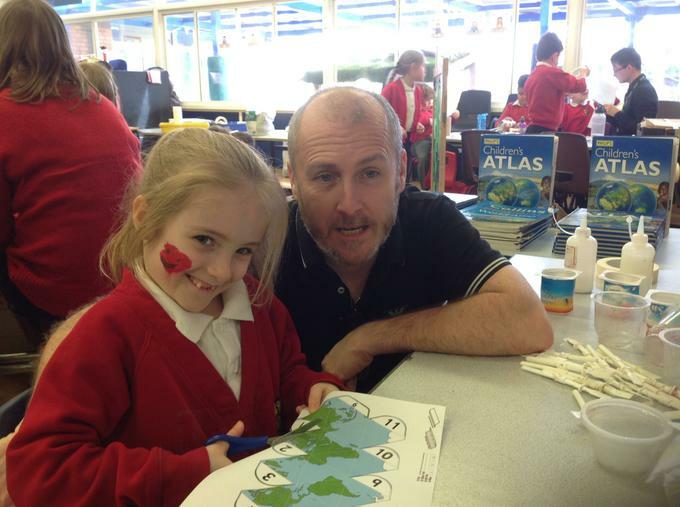 During our topic day we spent some time learning about continents and countries. 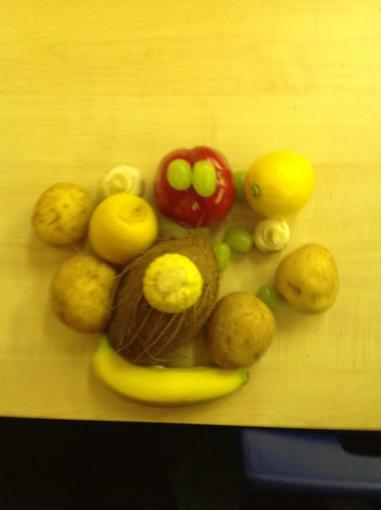 We then learnt about the portrait artist called Giuseppe Arcimboldo. 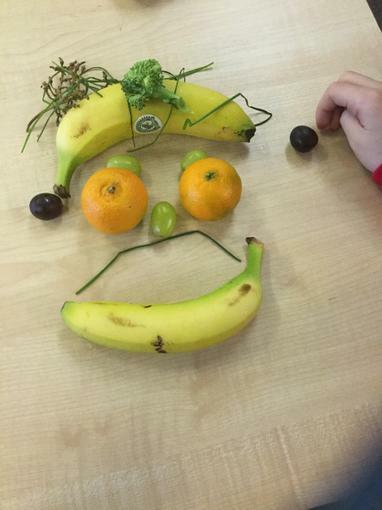 He is most famous for his portraits that look 'normal' from a distance, but up close it is clear that they are constructed from fruits and vegetables. 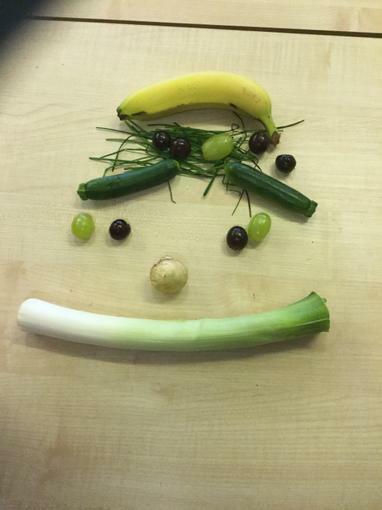 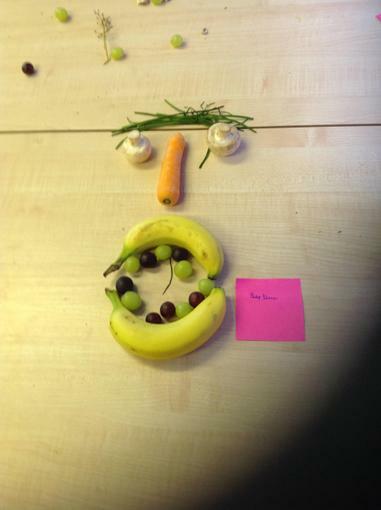 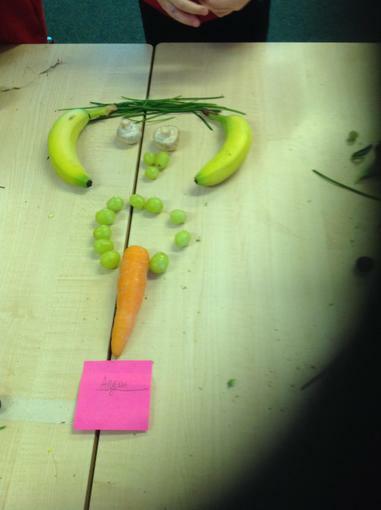 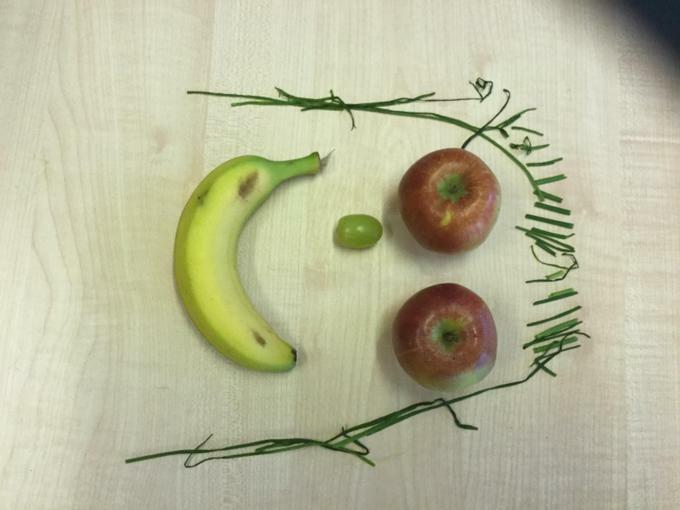 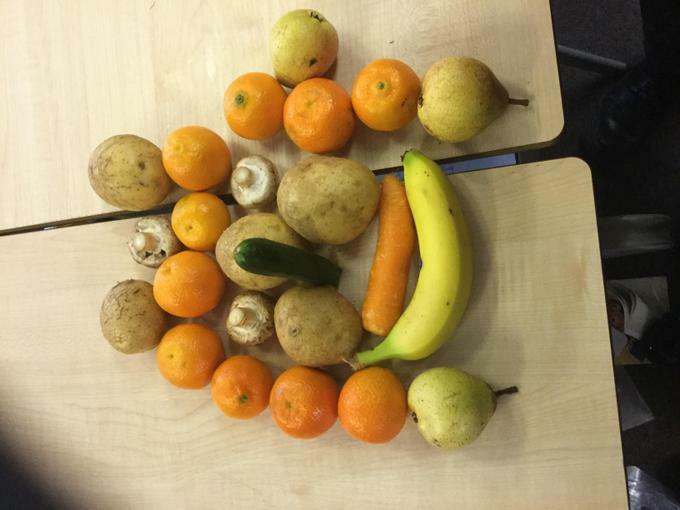 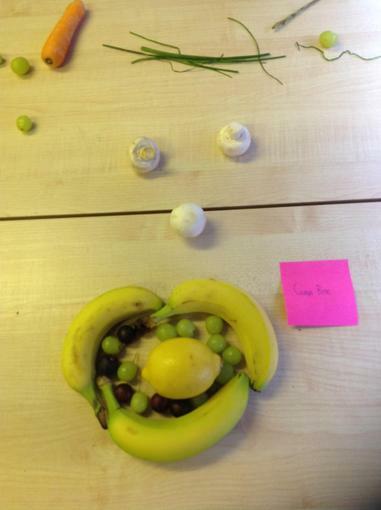 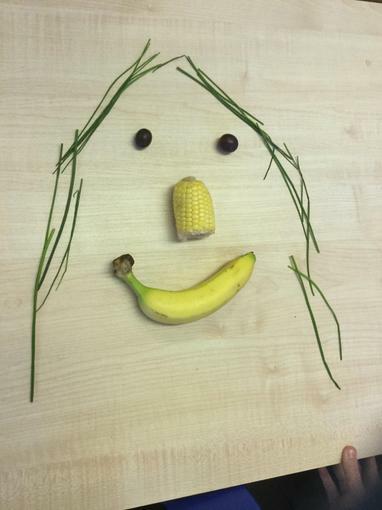 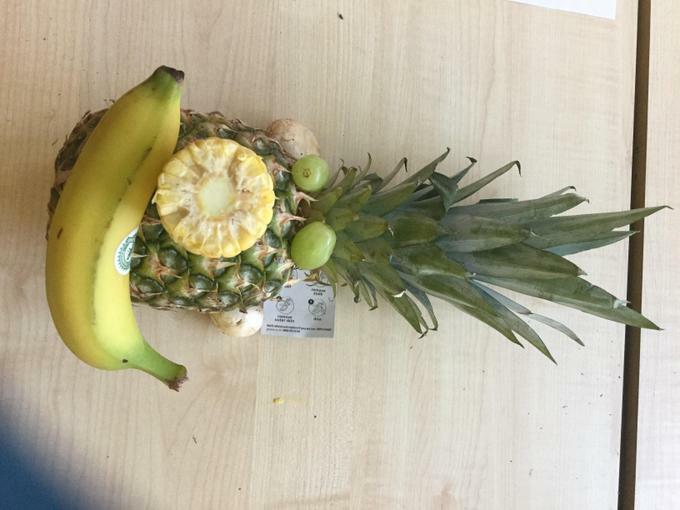 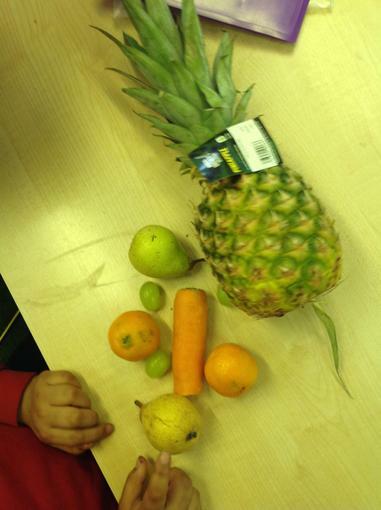 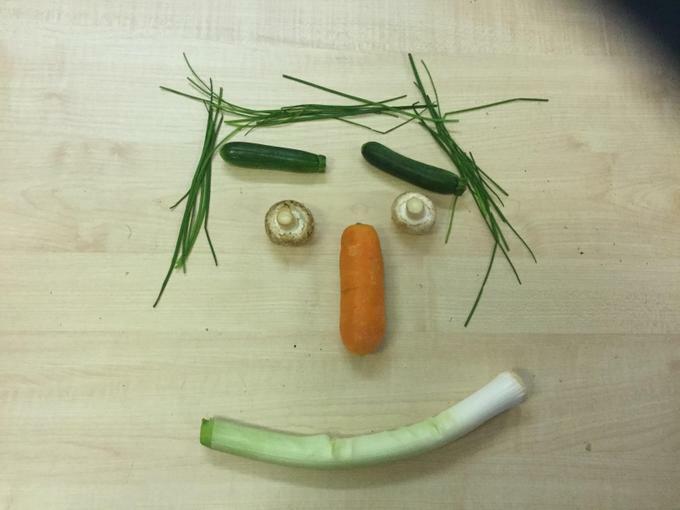 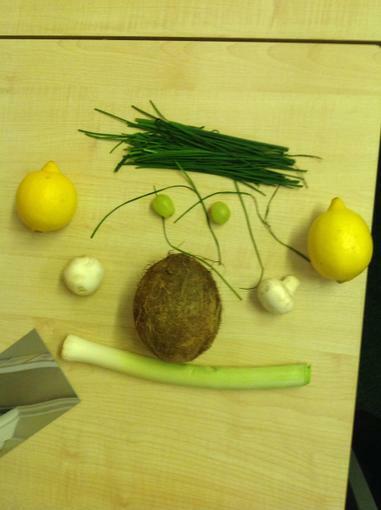 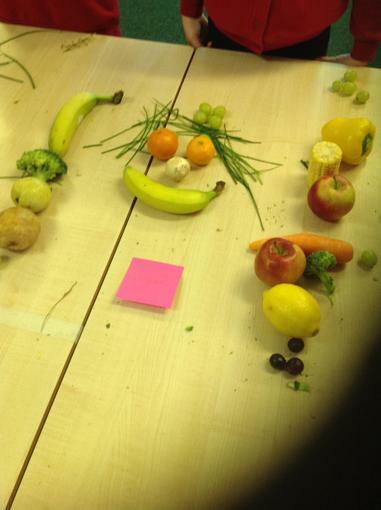 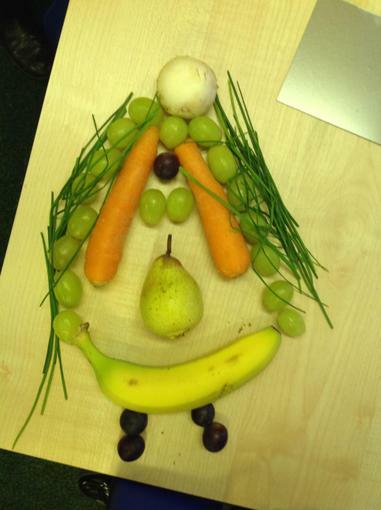 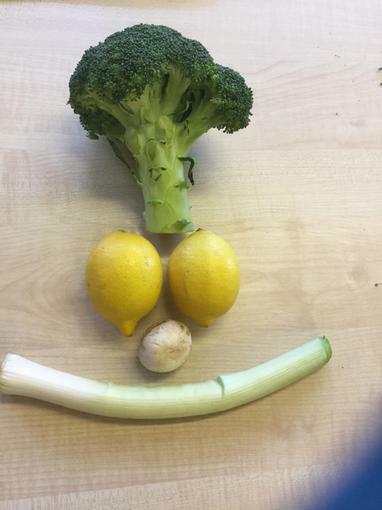 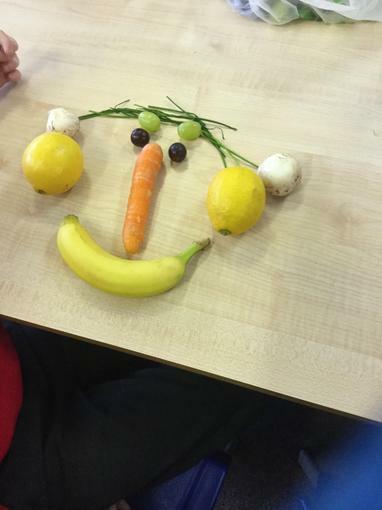 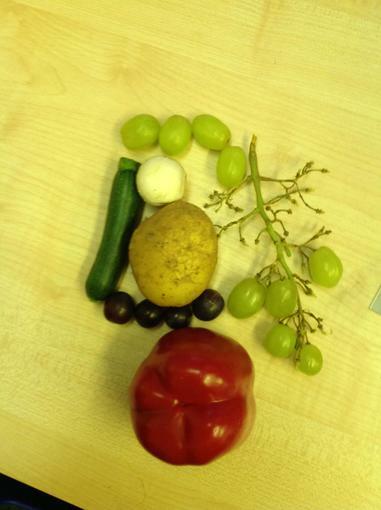 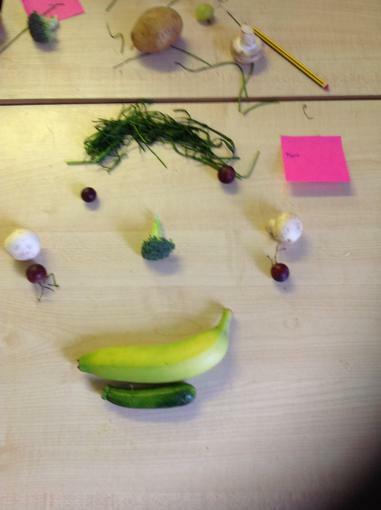 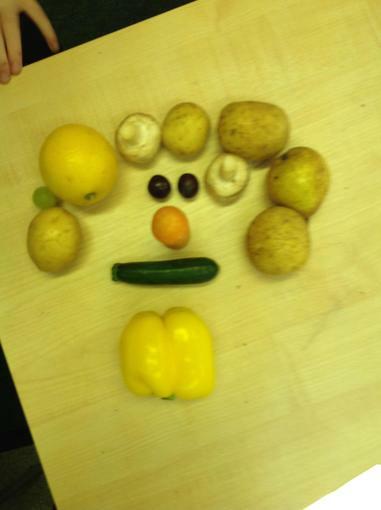 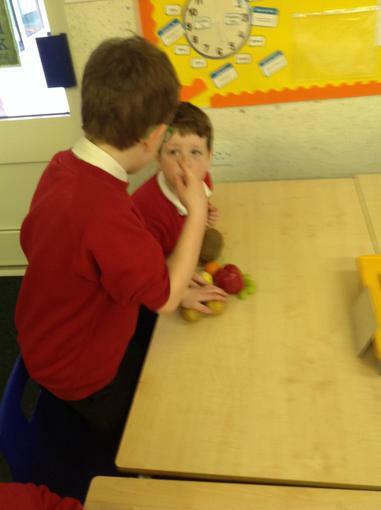 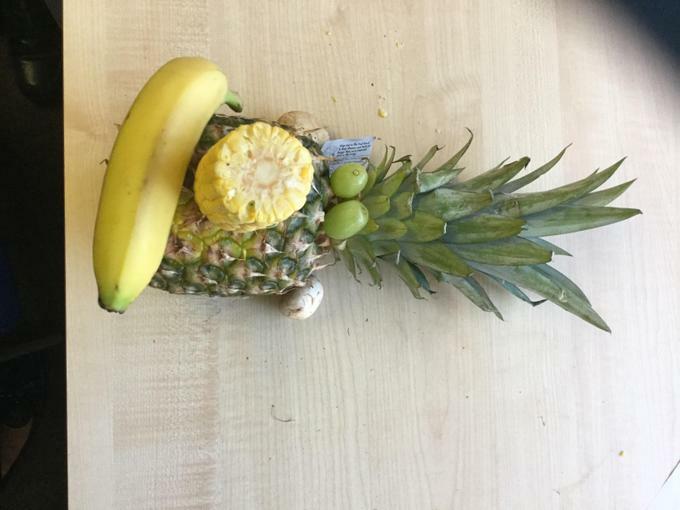 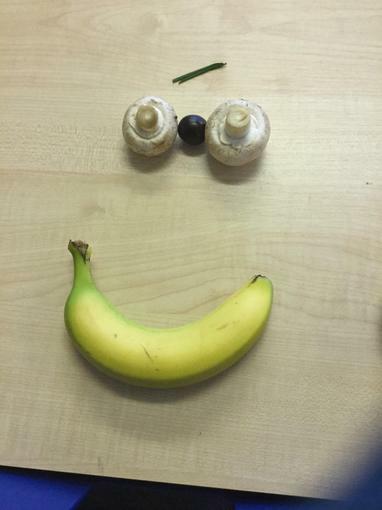 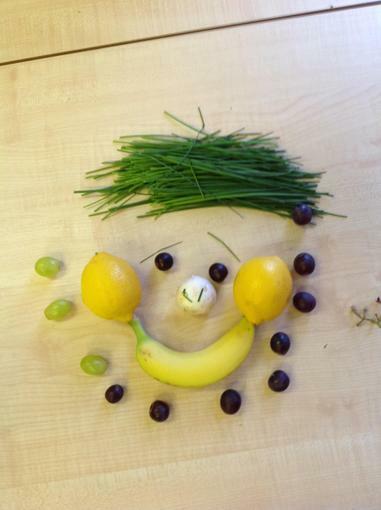 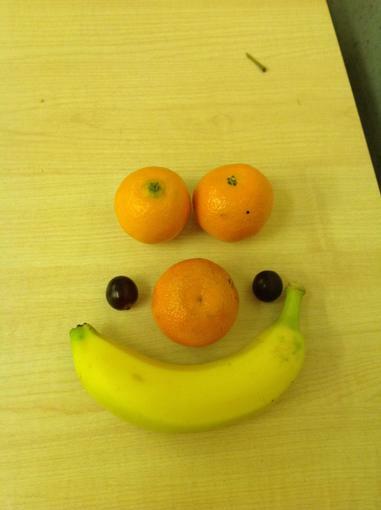 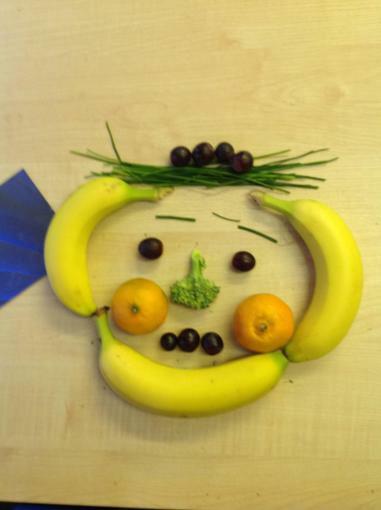 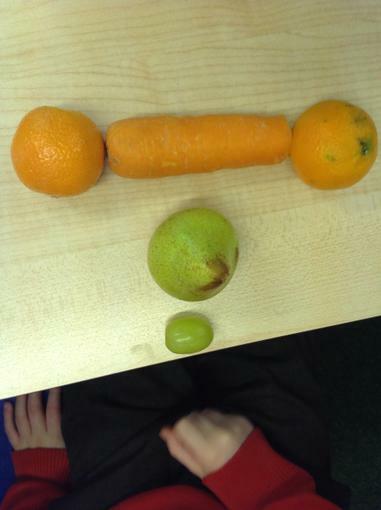 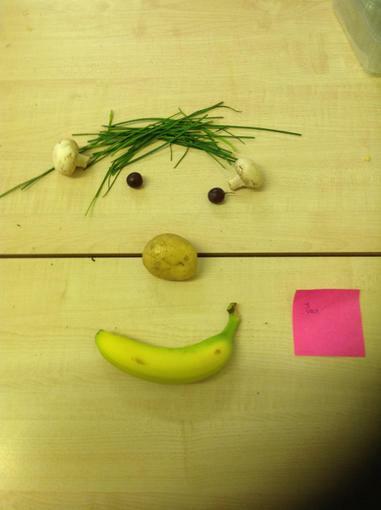 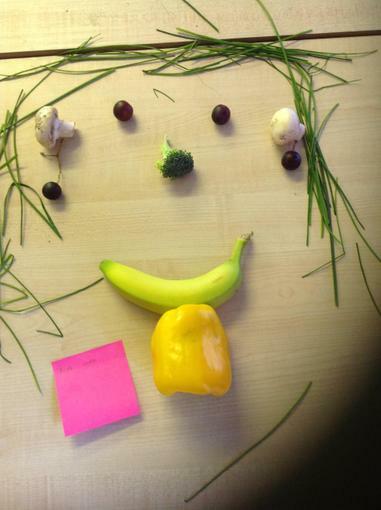 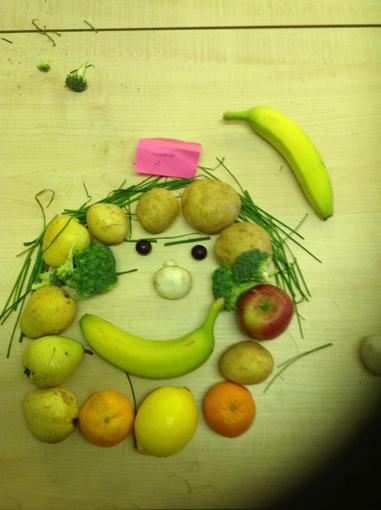 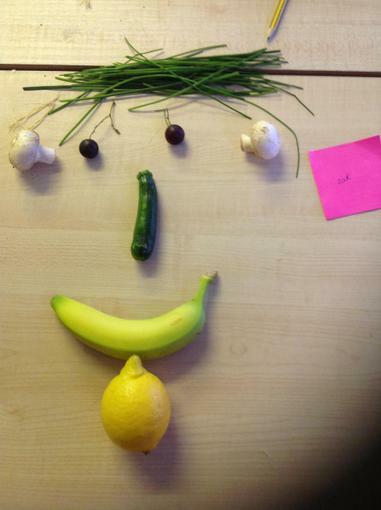 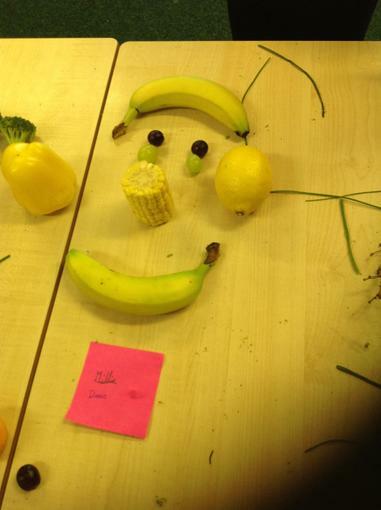 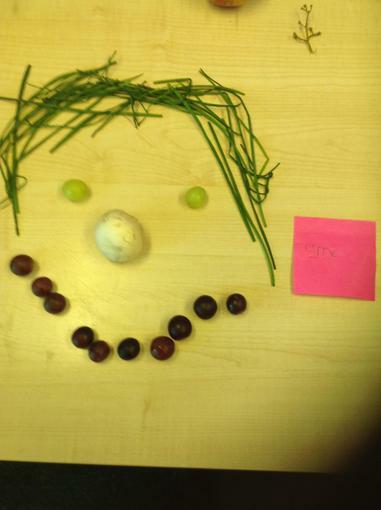 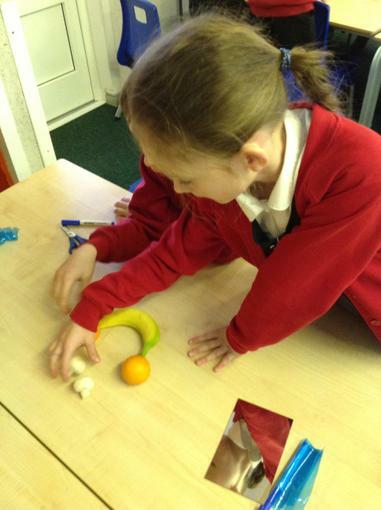 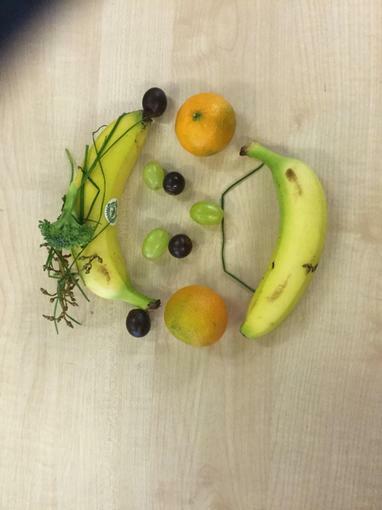 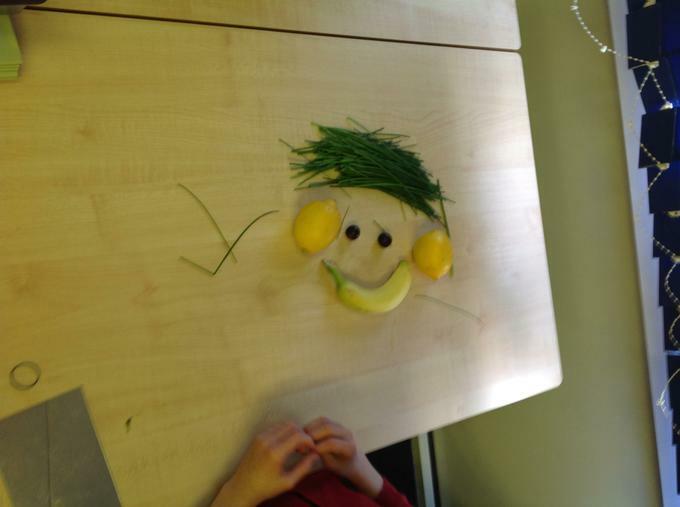 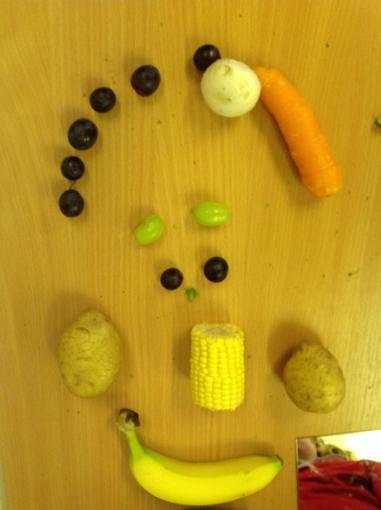 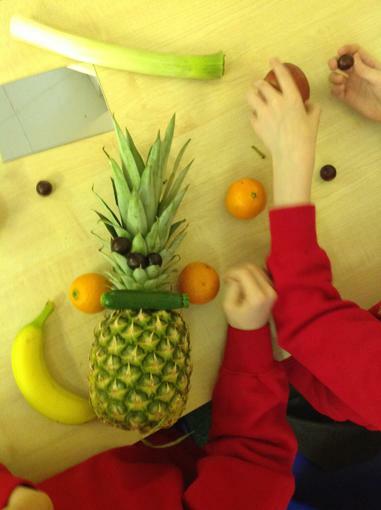 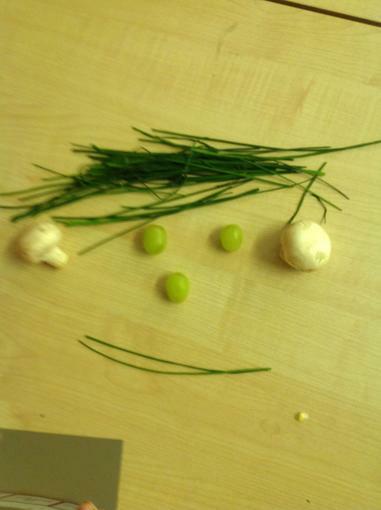 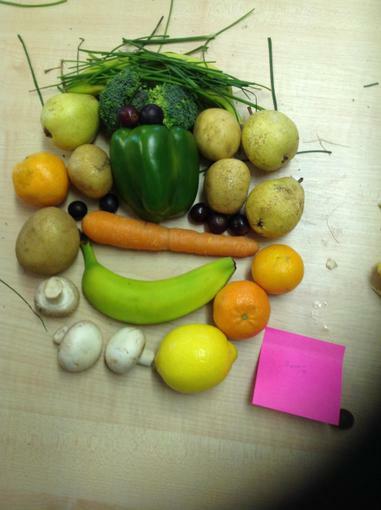 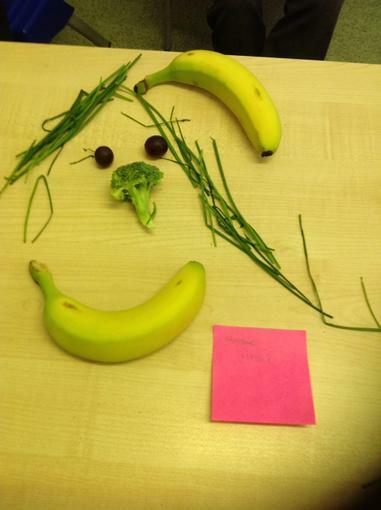 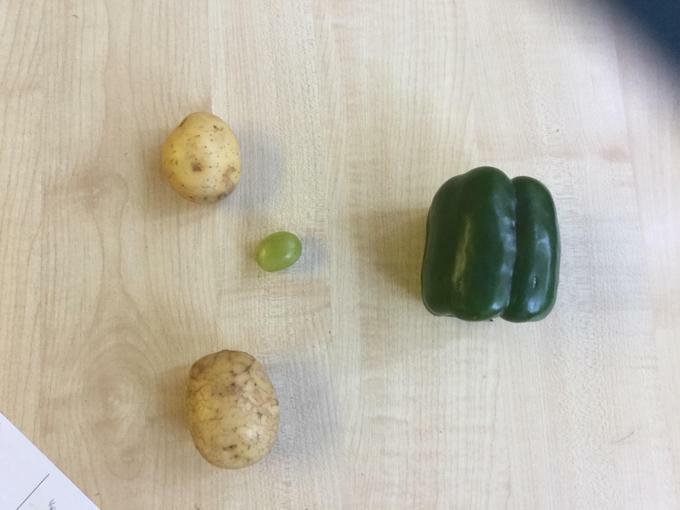 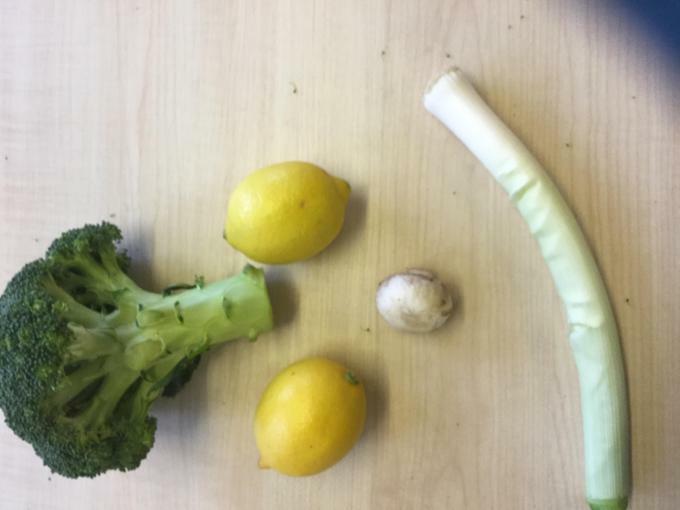 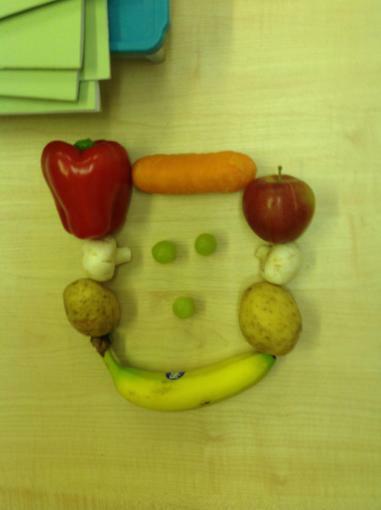 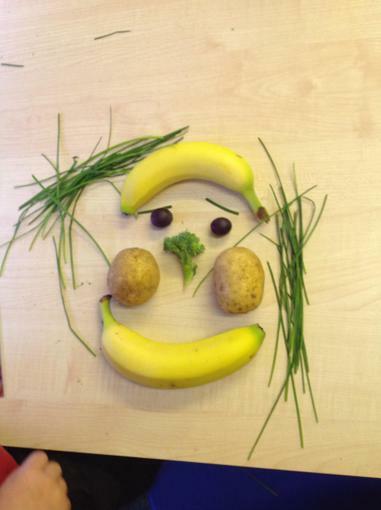 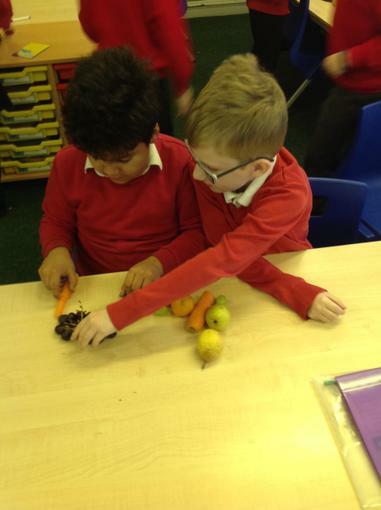 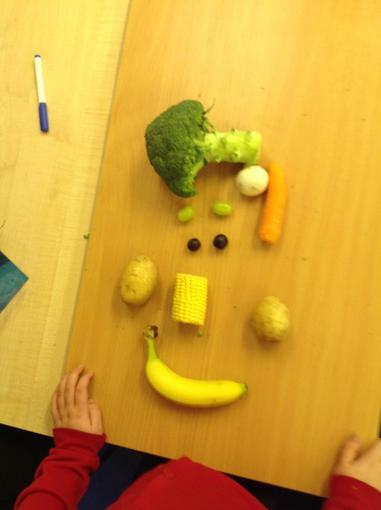 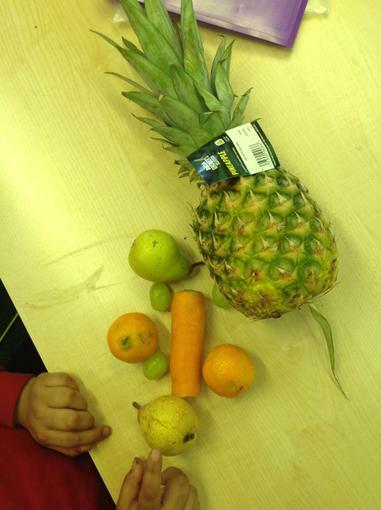 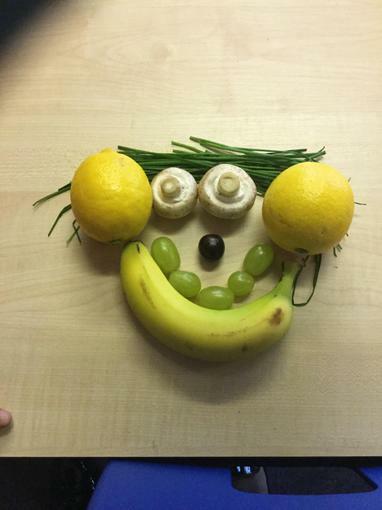 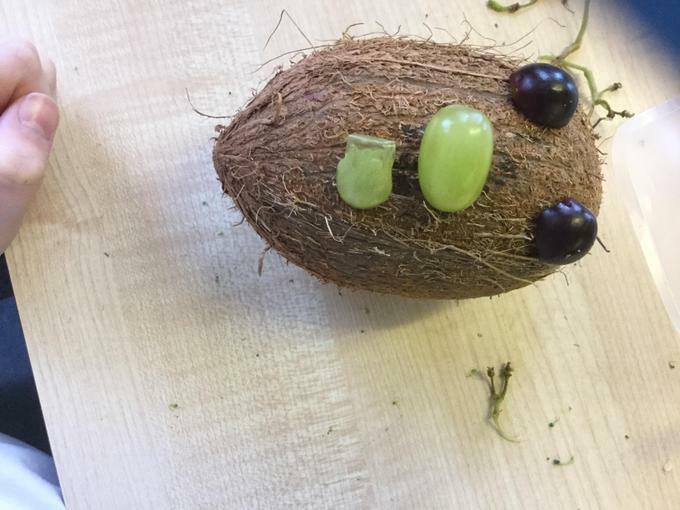 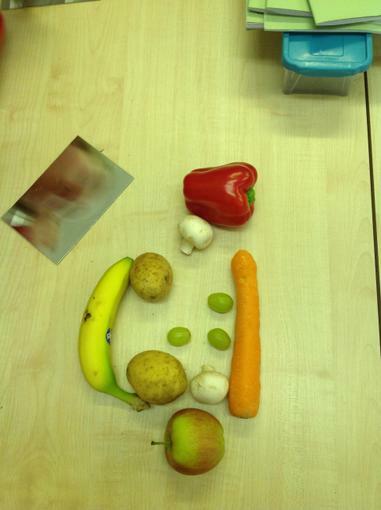 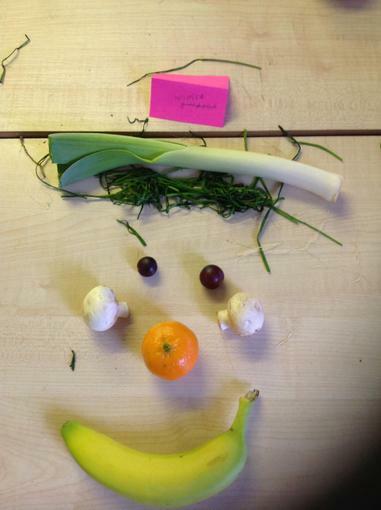 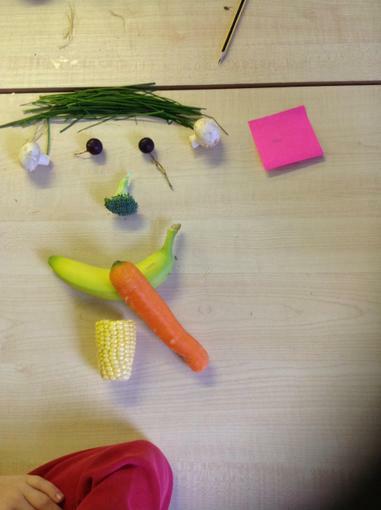 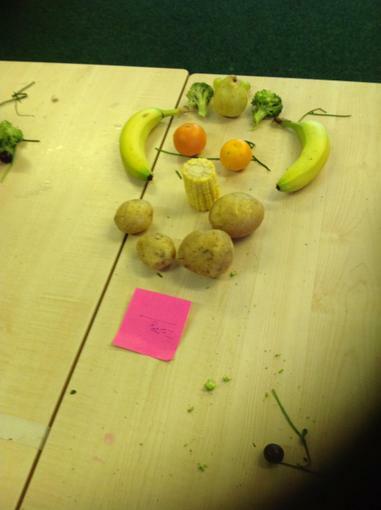 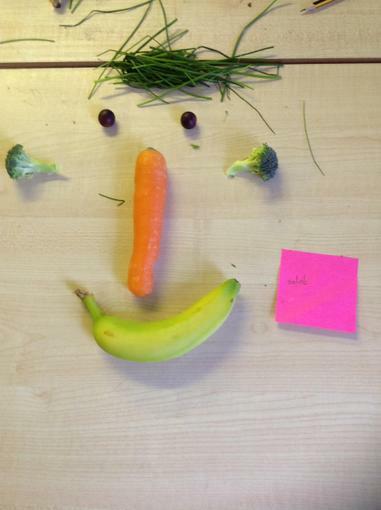 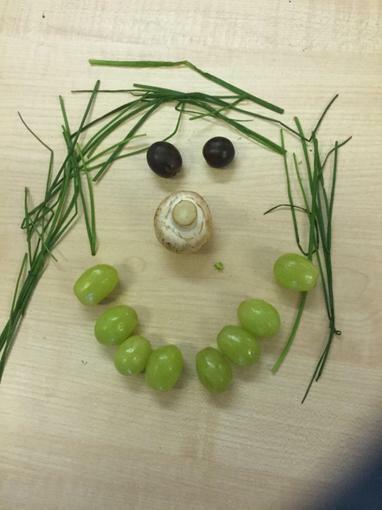 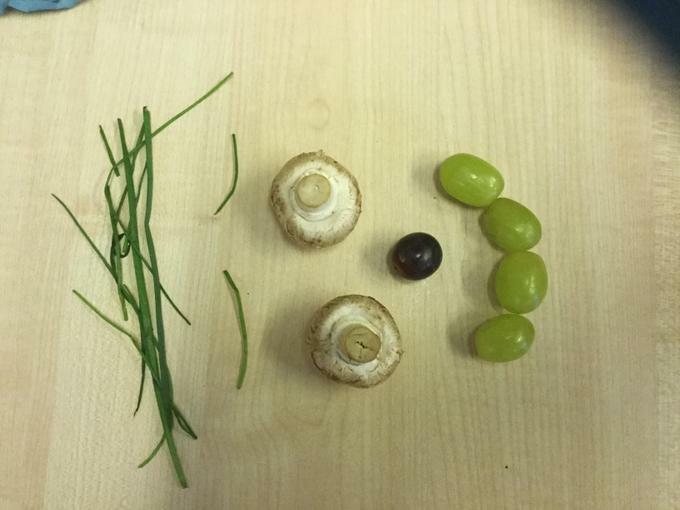 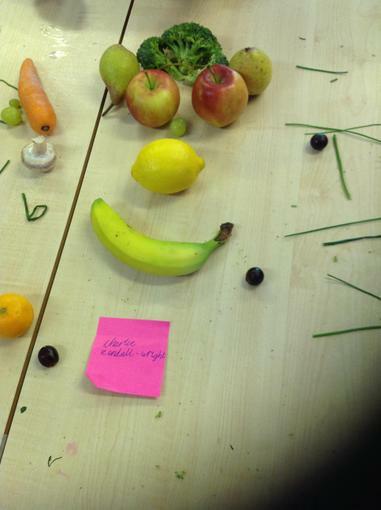 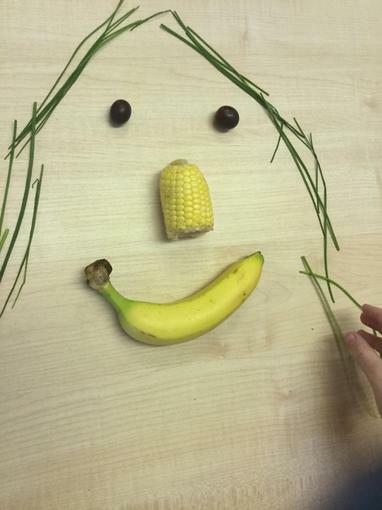 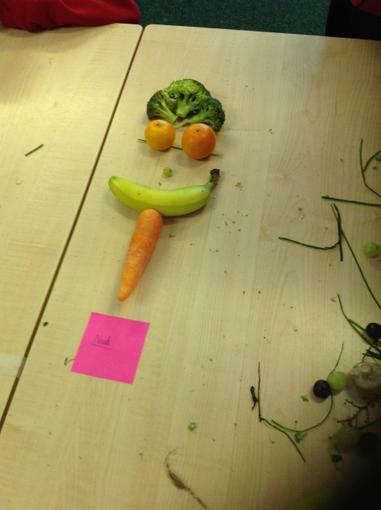 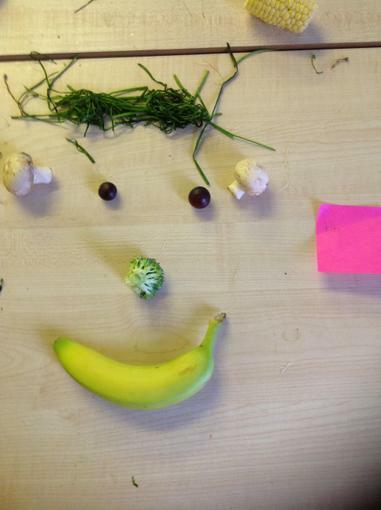 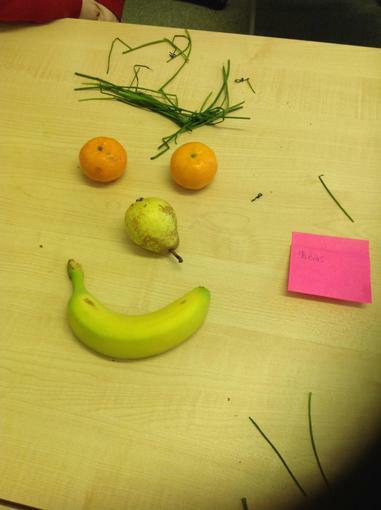 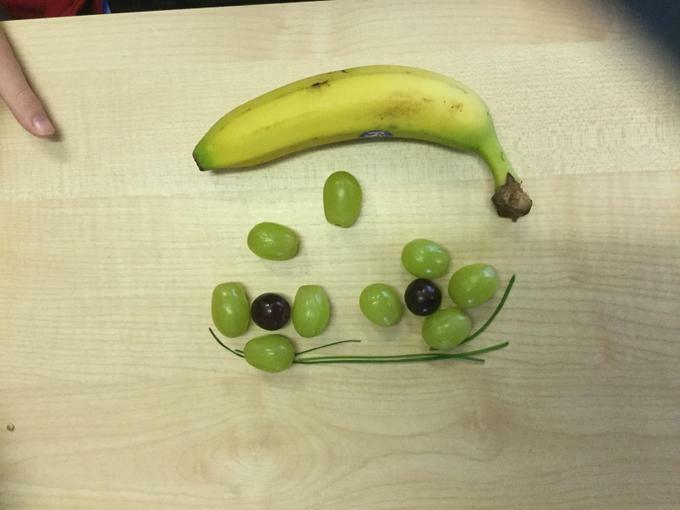 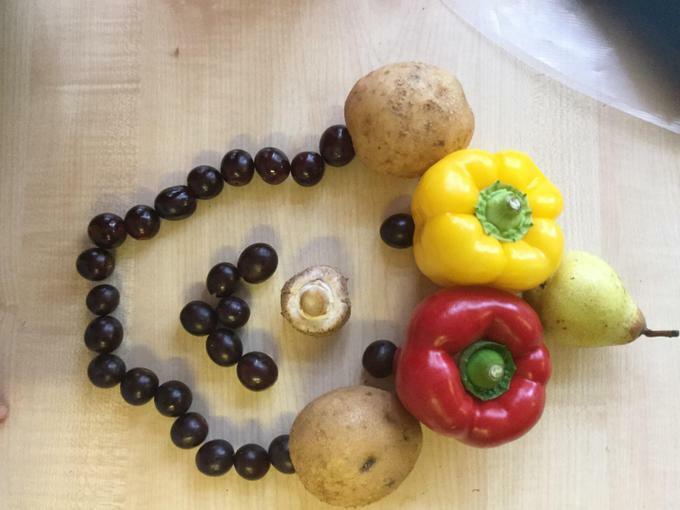 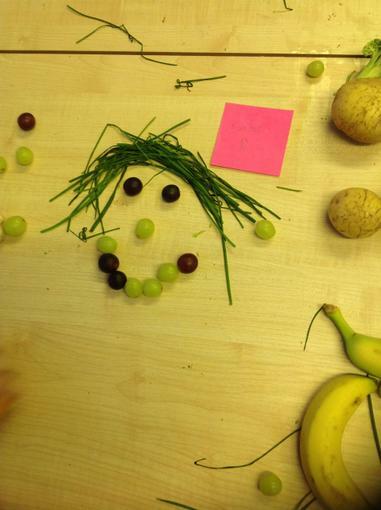 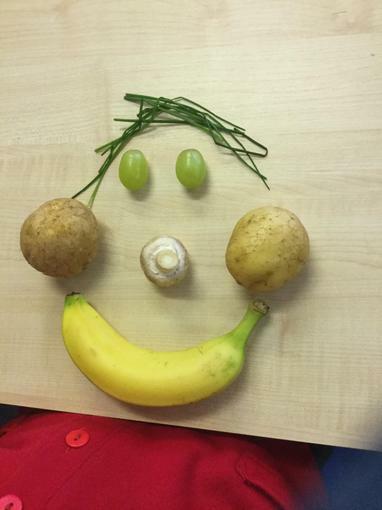 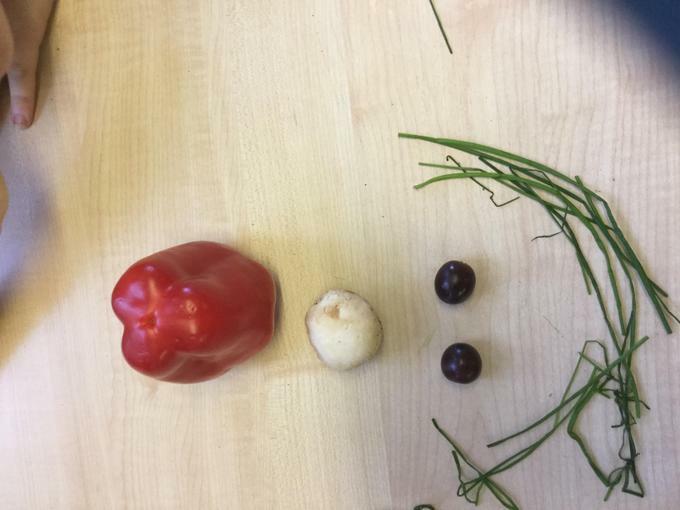 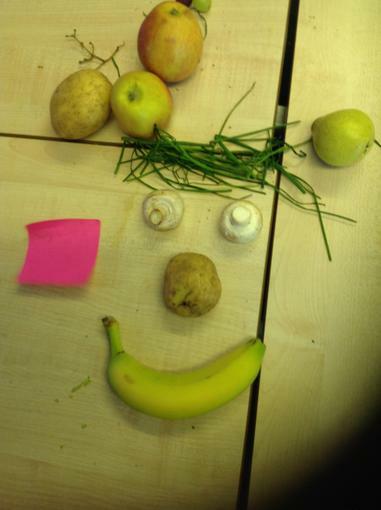 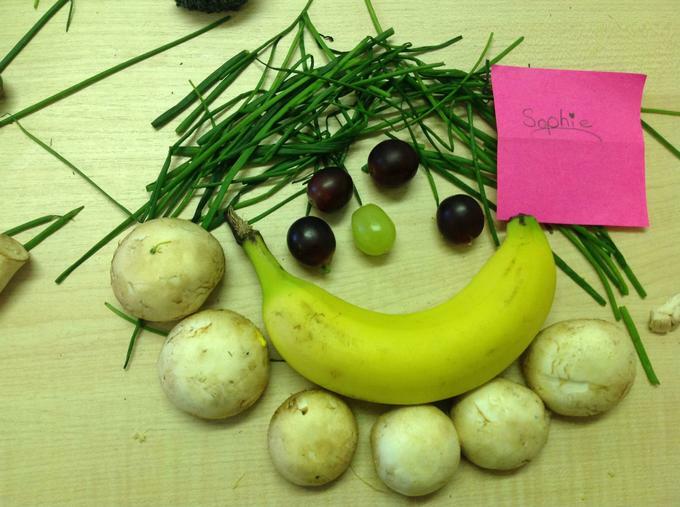 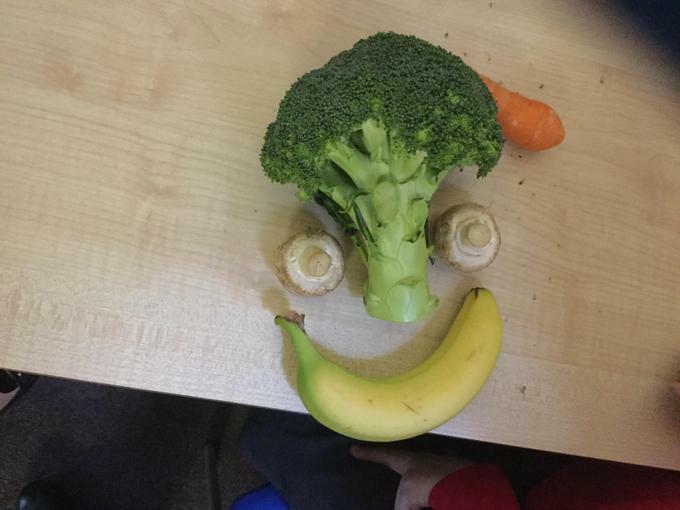 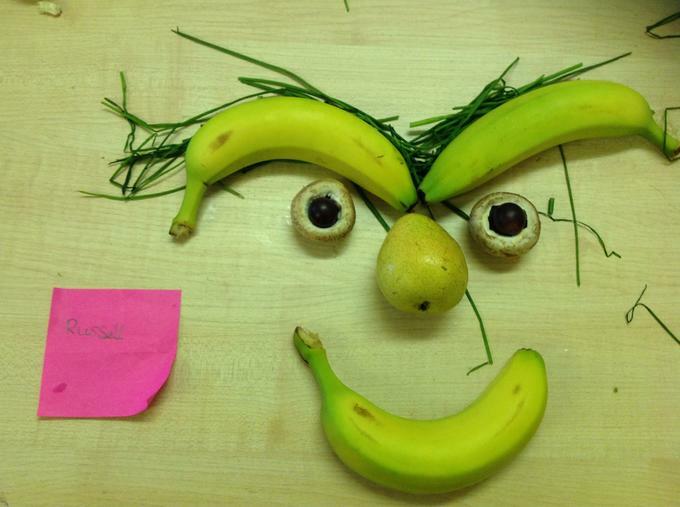 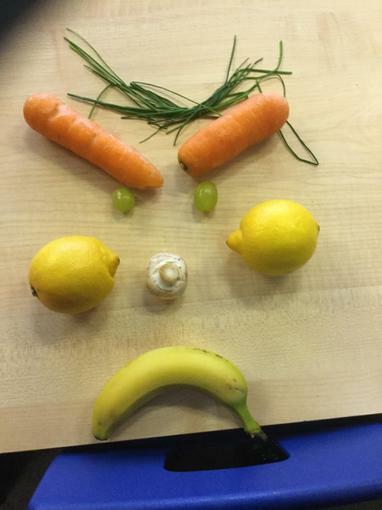 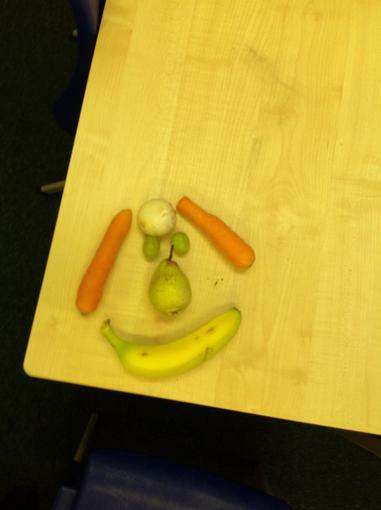 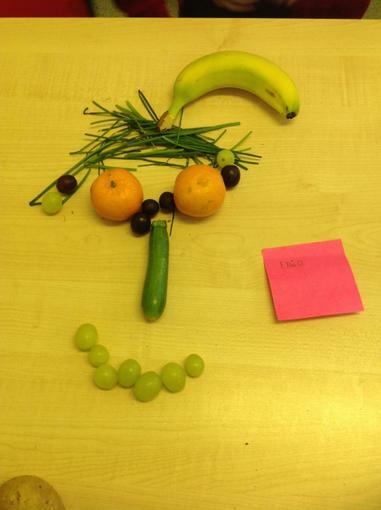 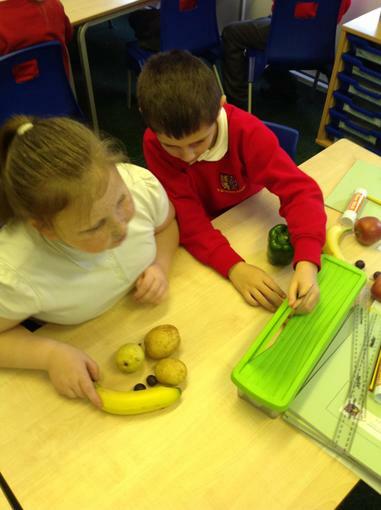 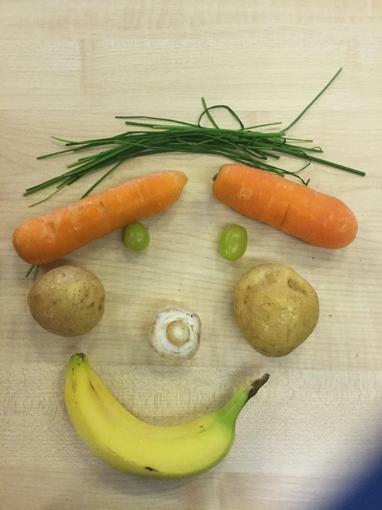 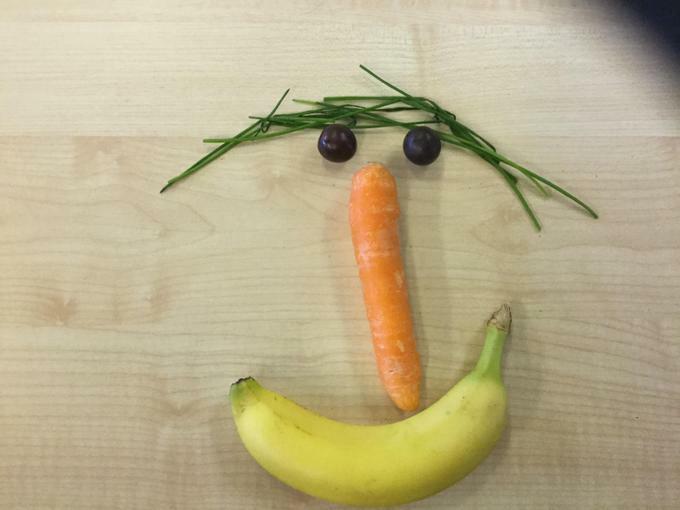 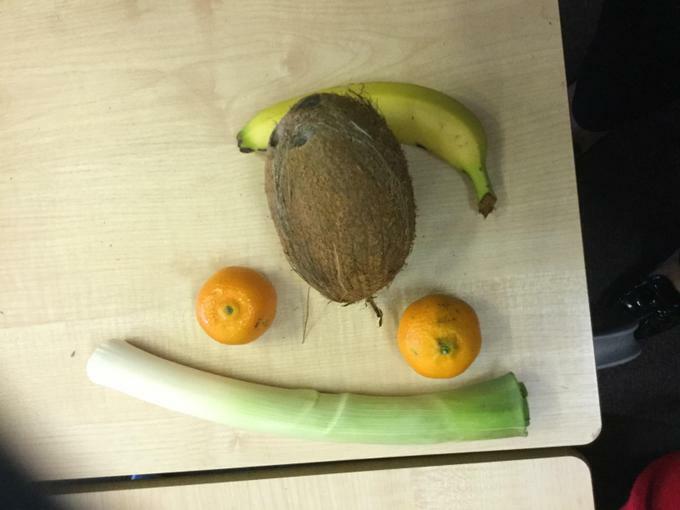 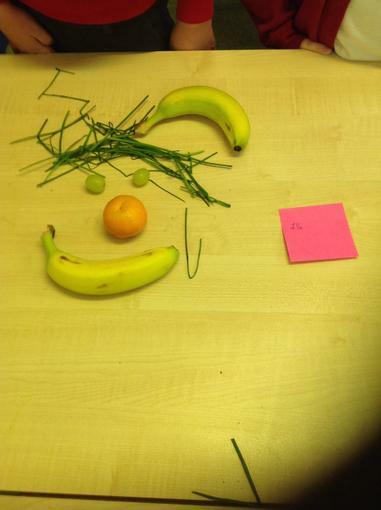 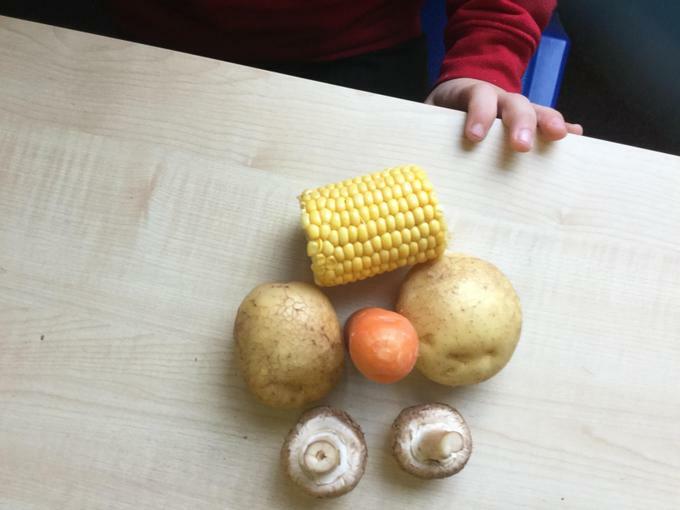 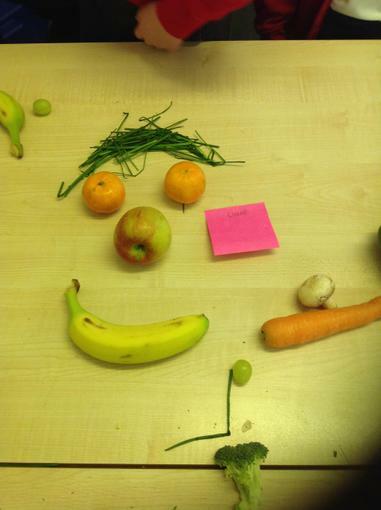 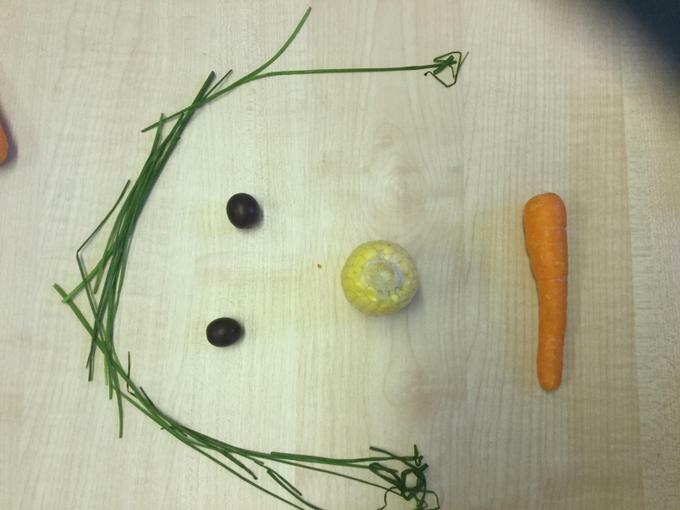 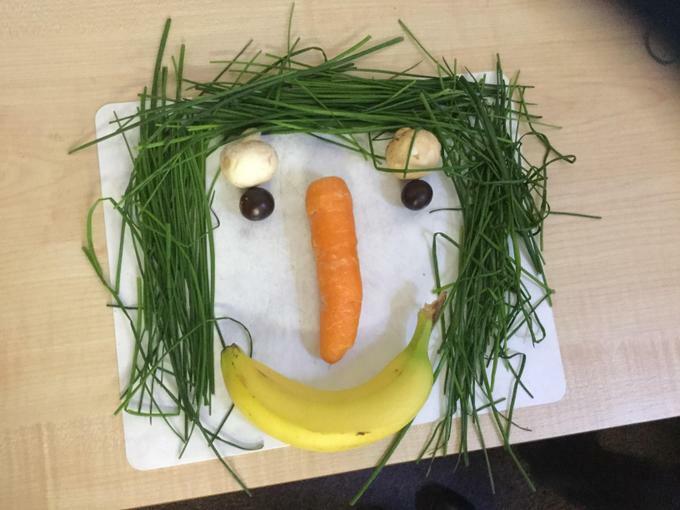 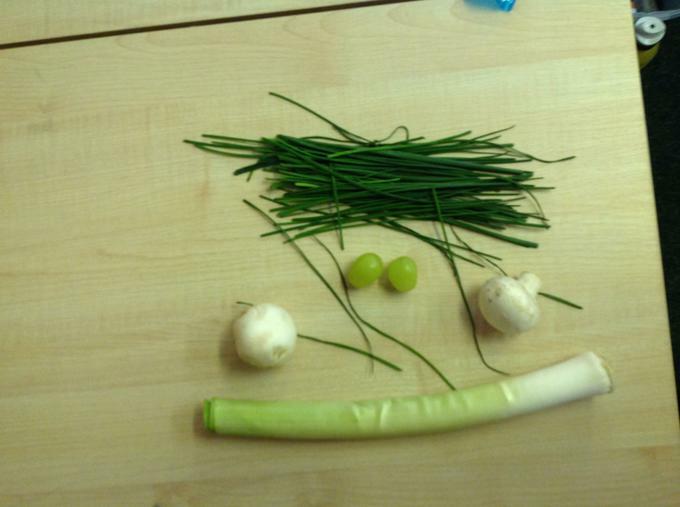 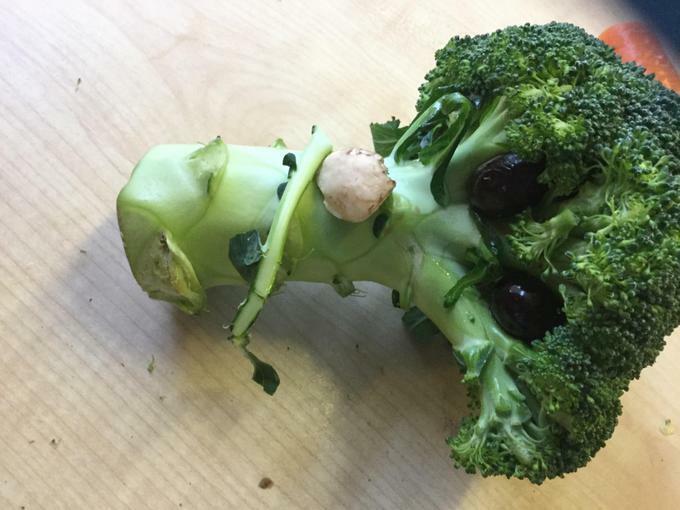 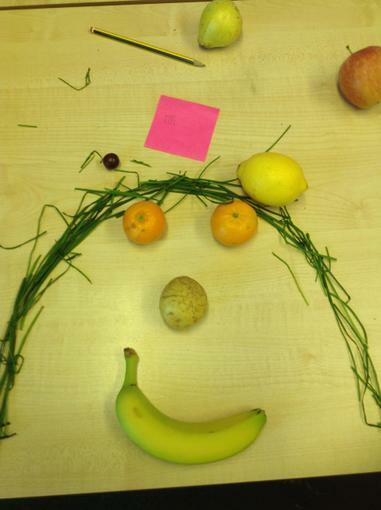 We had a go at constructing our own portraits from fruits and vegetables.